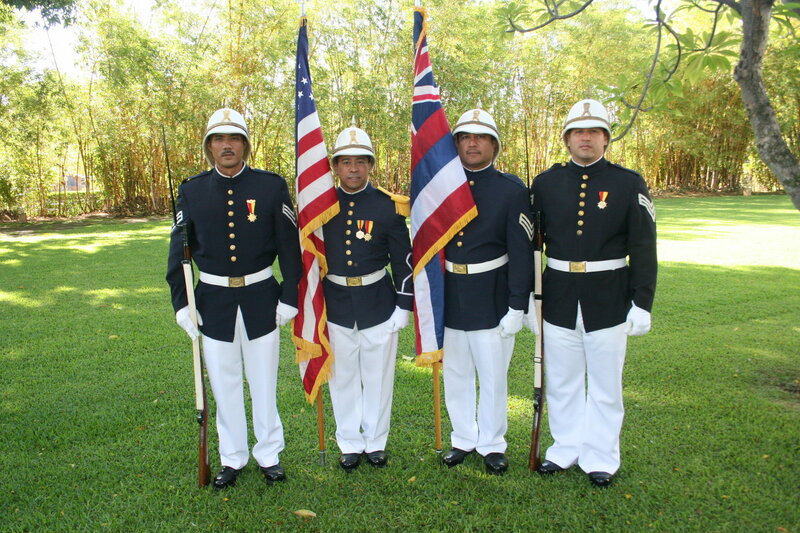 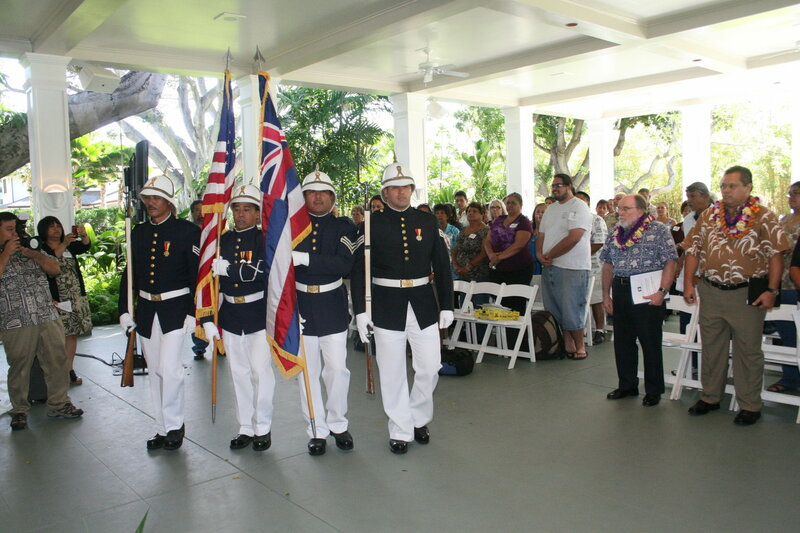 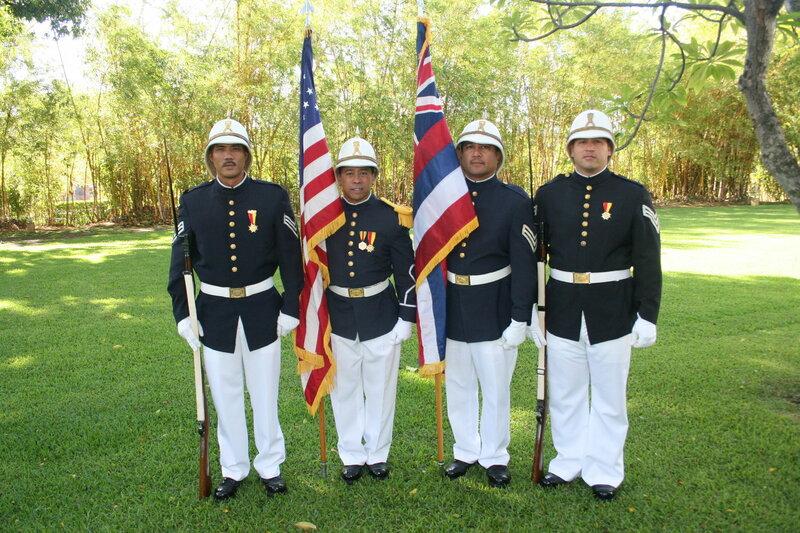 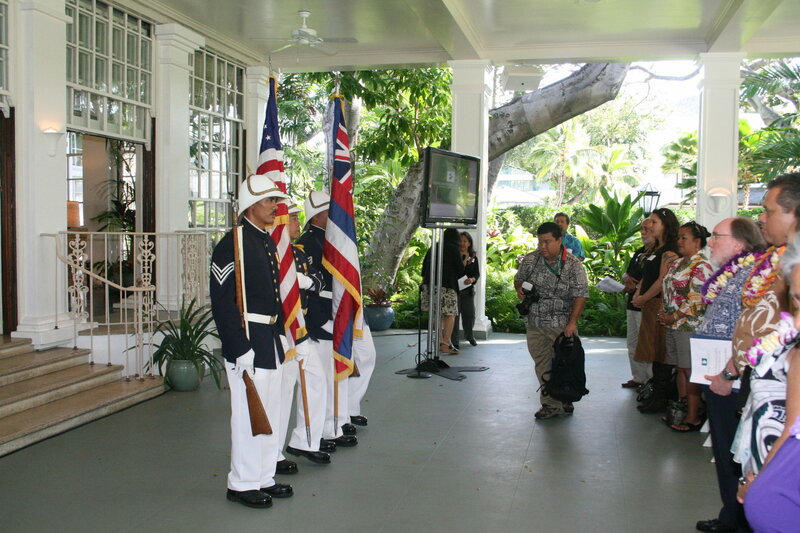 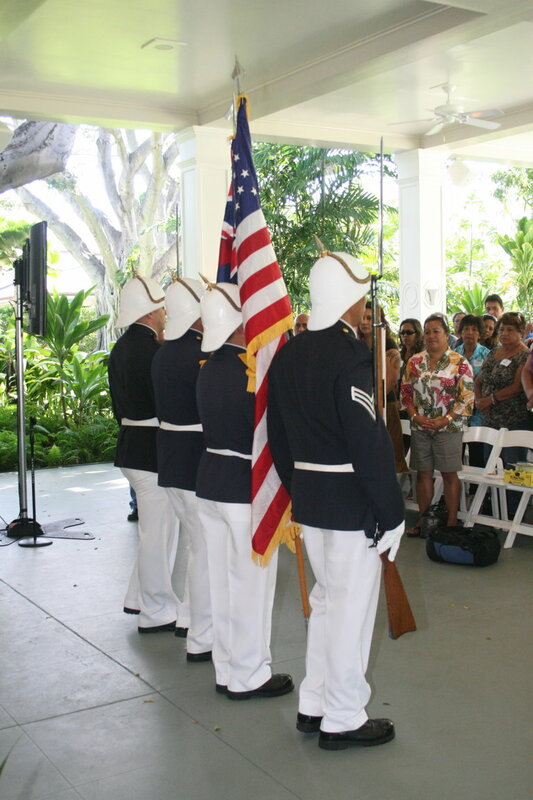 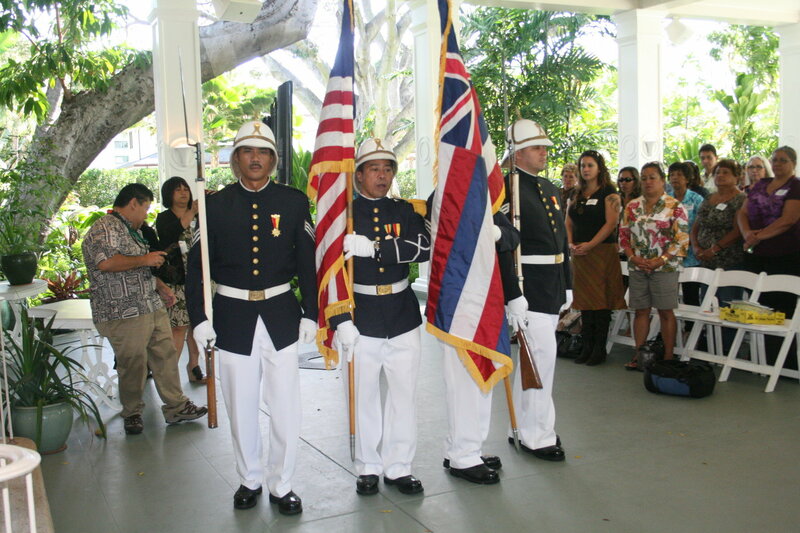 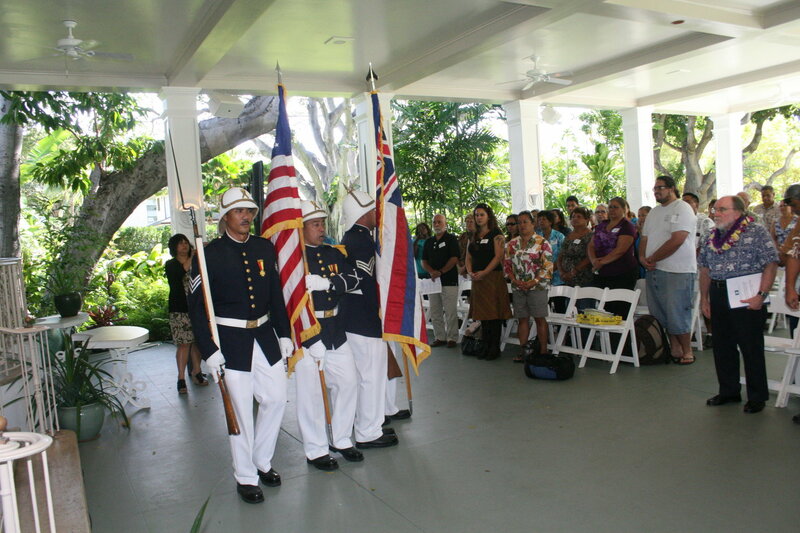 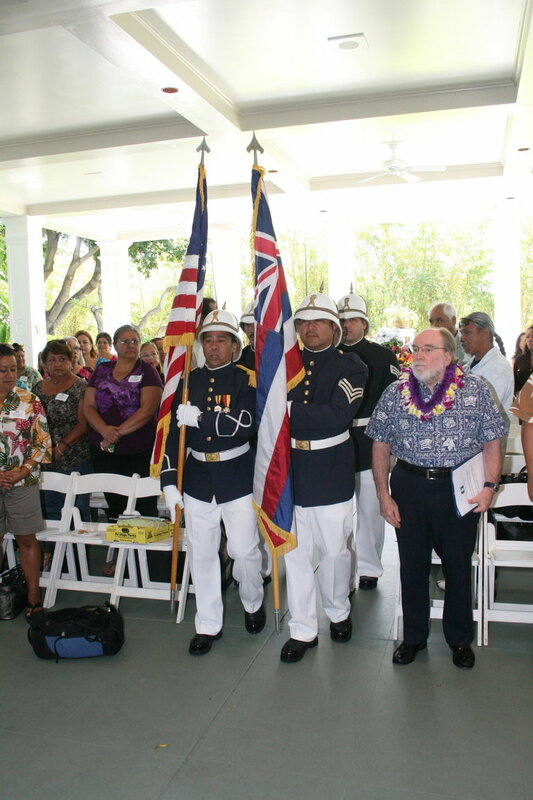 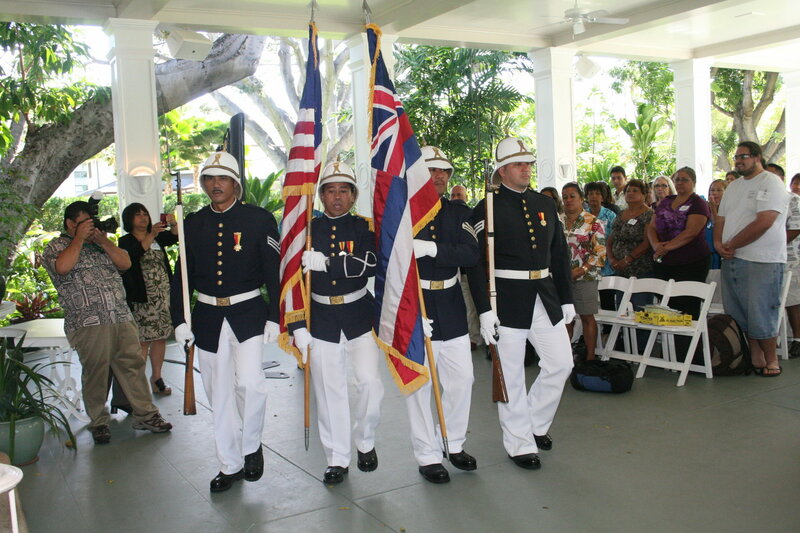 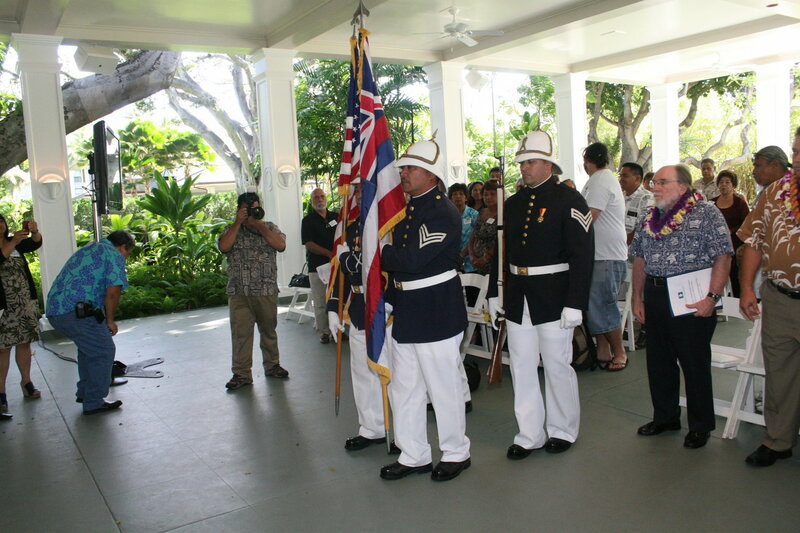 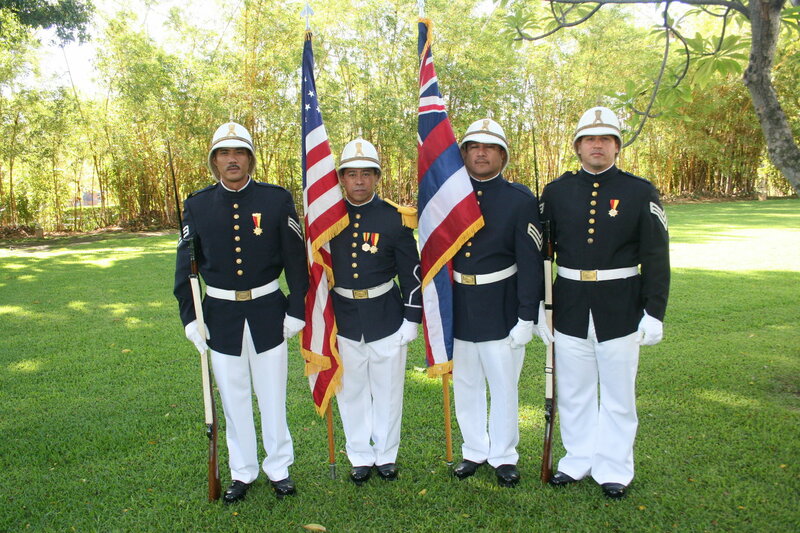 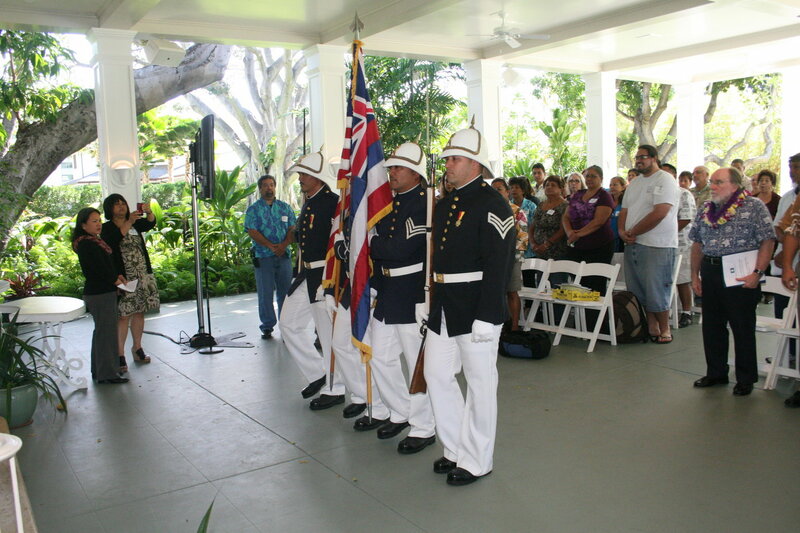 The Hawai‘i Royal Guard presents the colors at Washington Place. 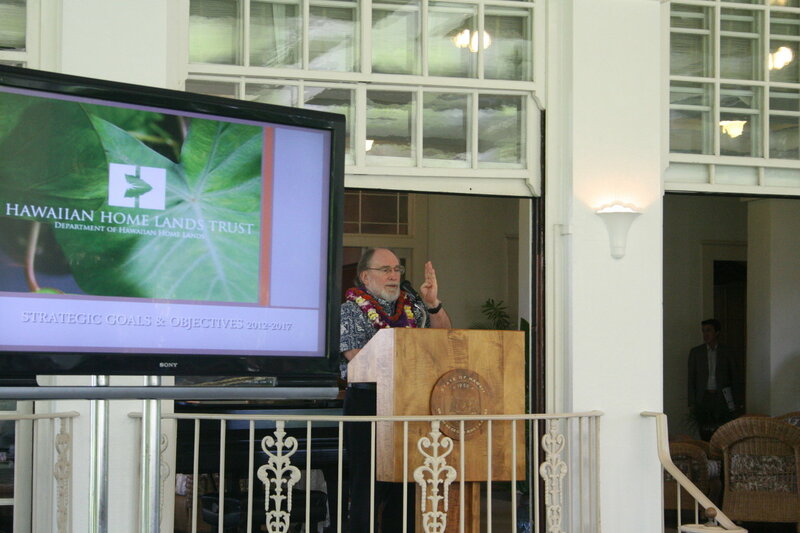 Homestead leaders from across the state gathered at Washington Place Fri. morning, Nov. 8, 2011, where they met with Gov. 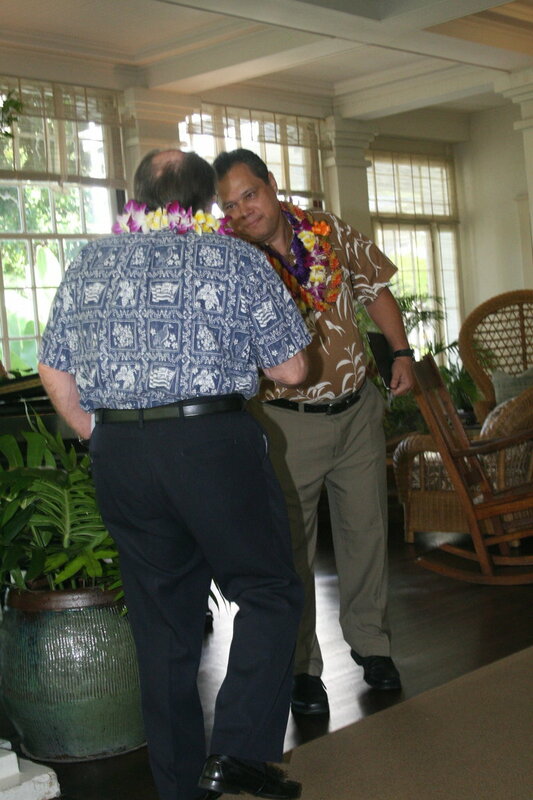 Abercrombie and Chairman Nahale-a. 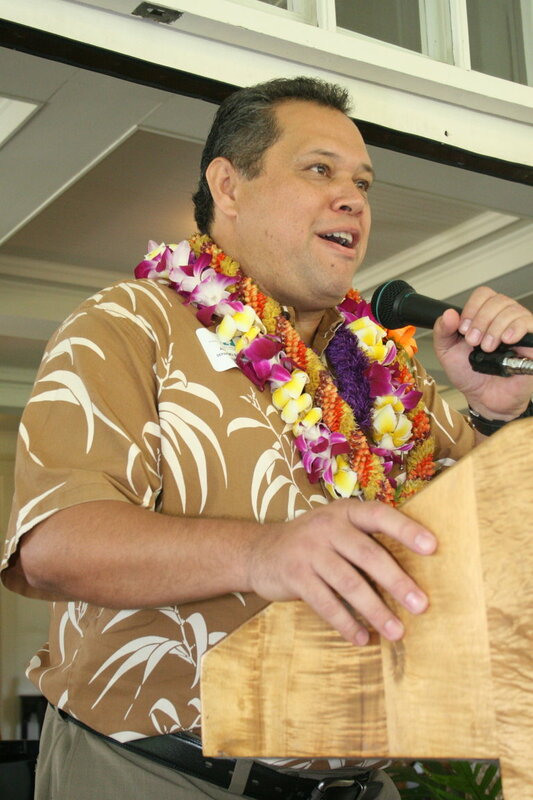 The Gov. 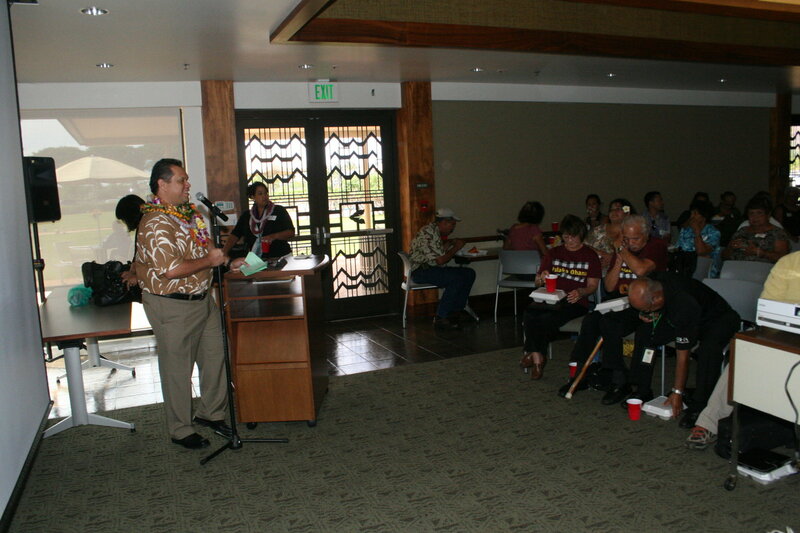 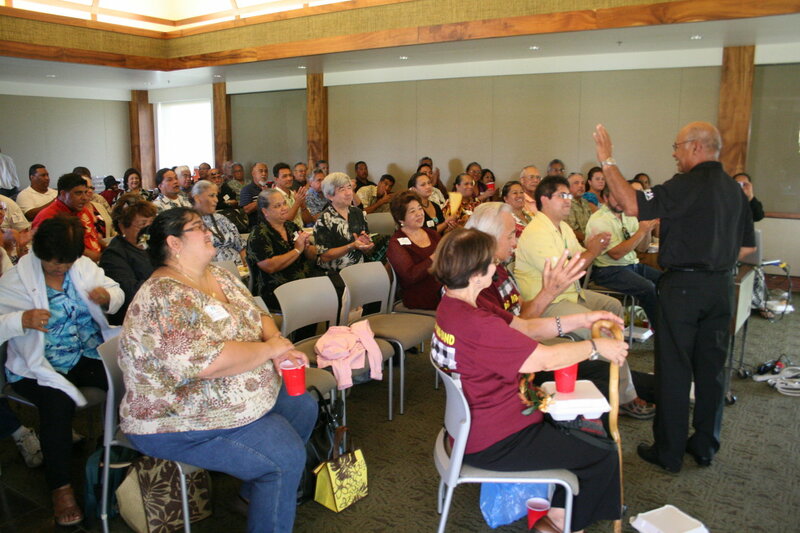 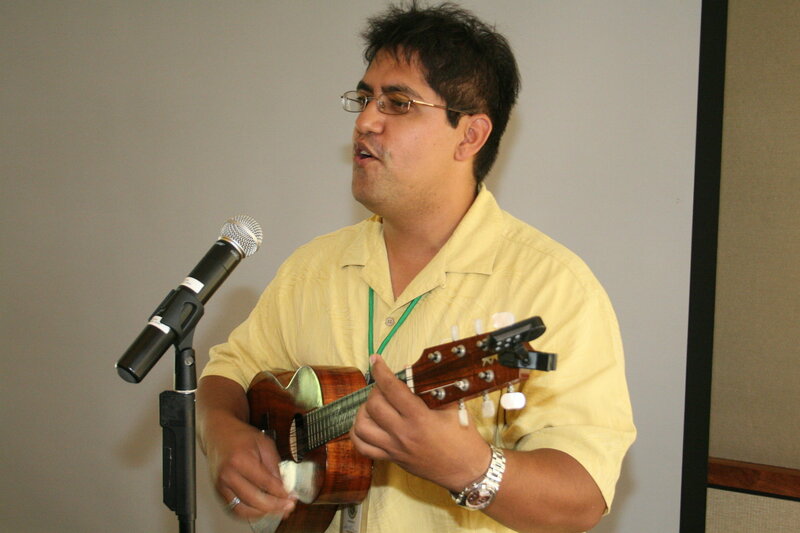 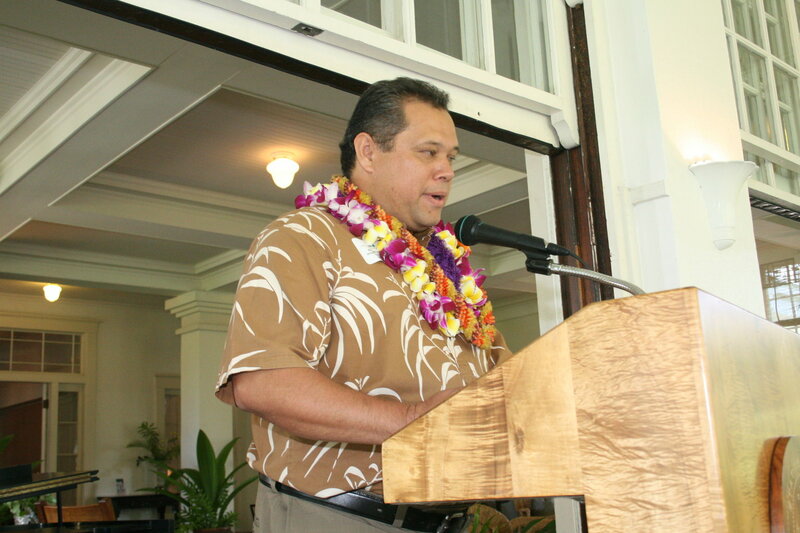 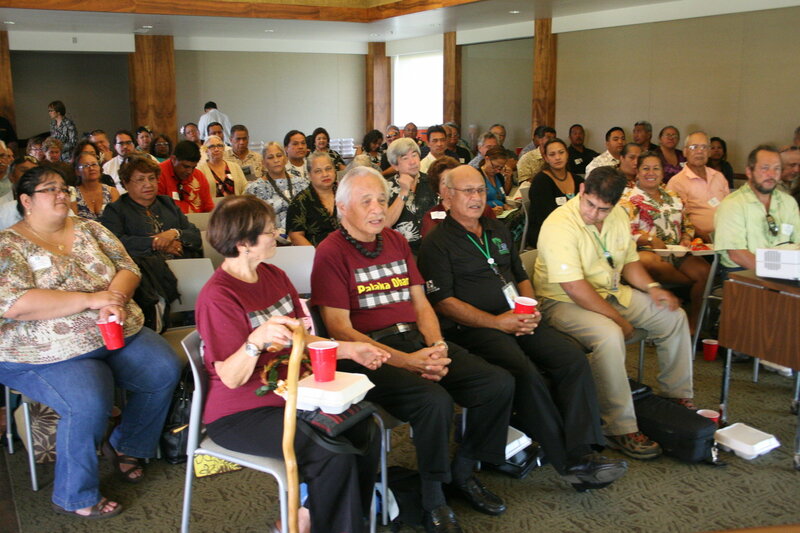 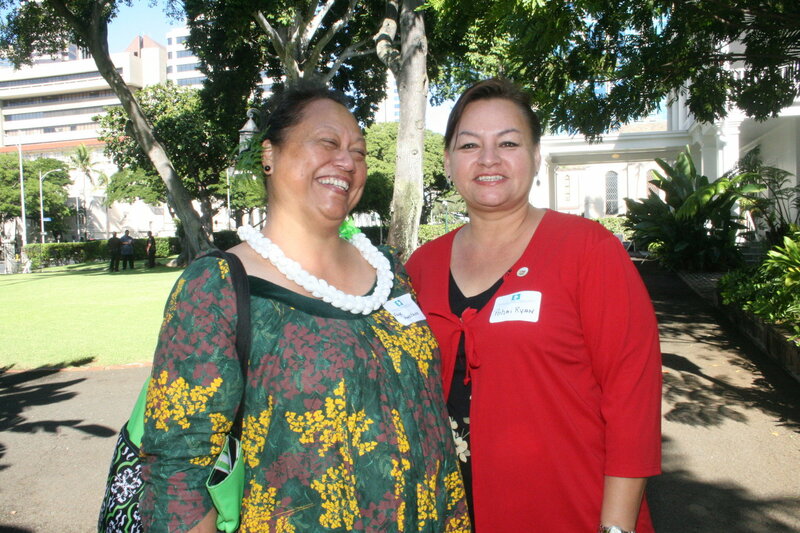 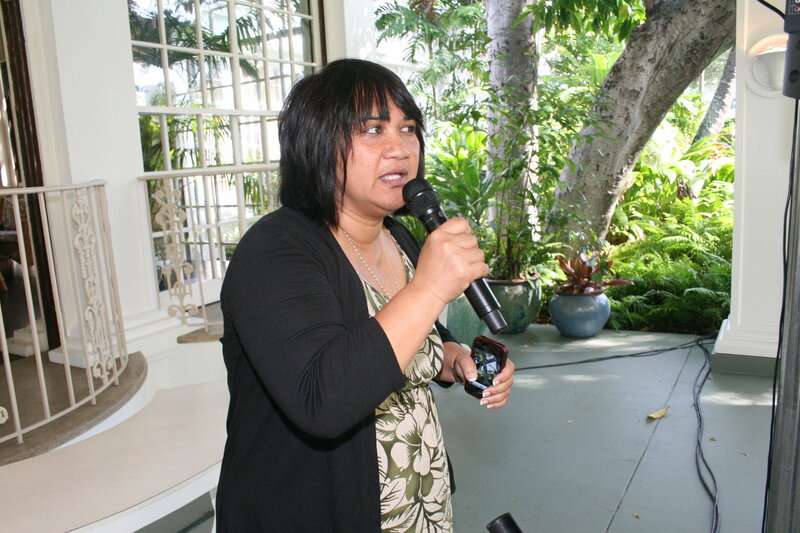 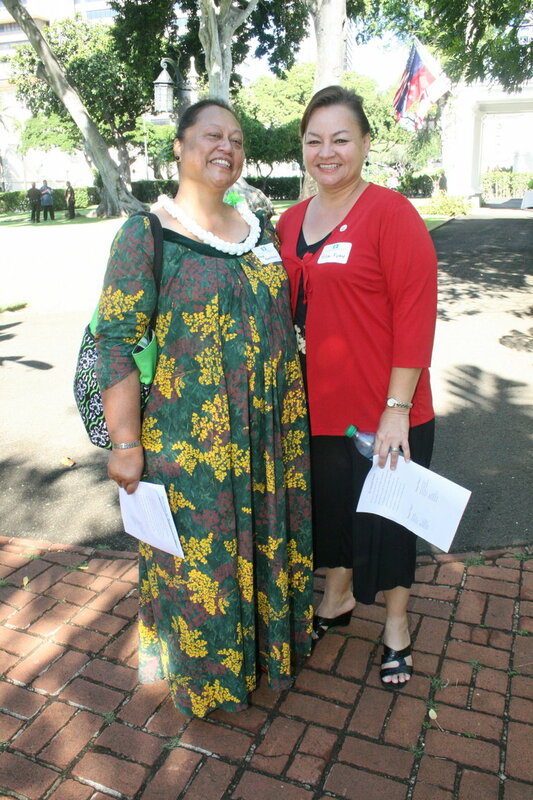 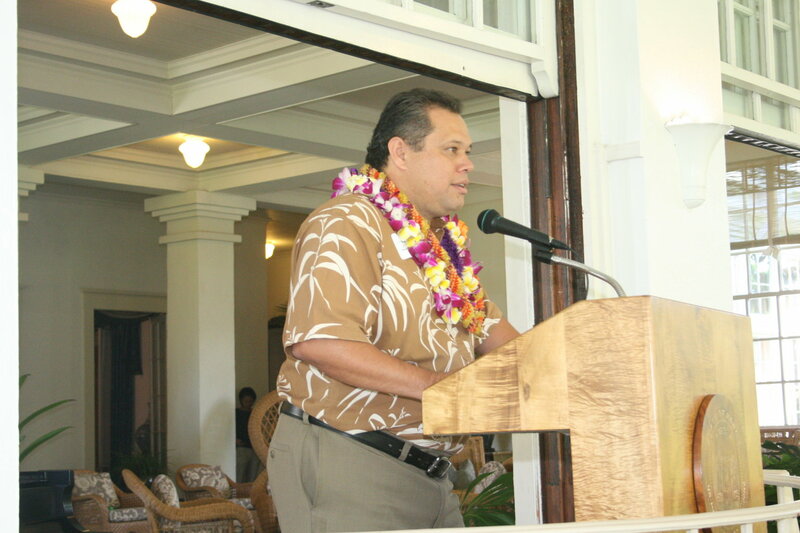 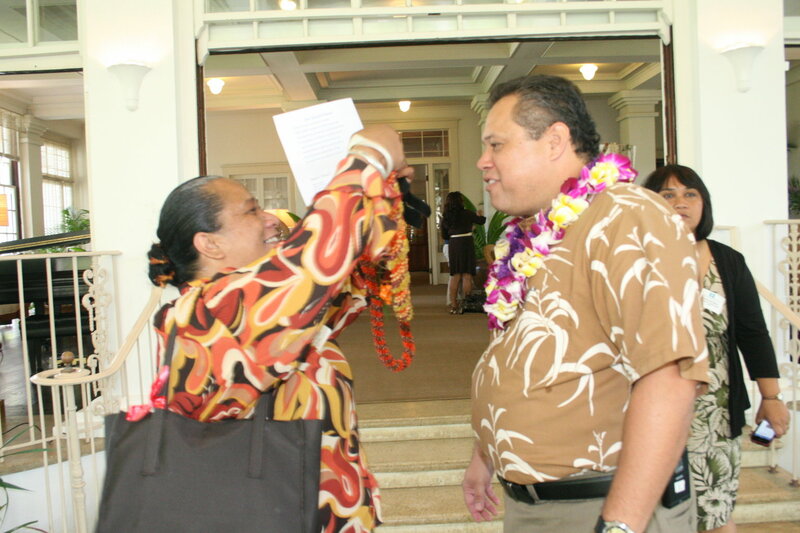 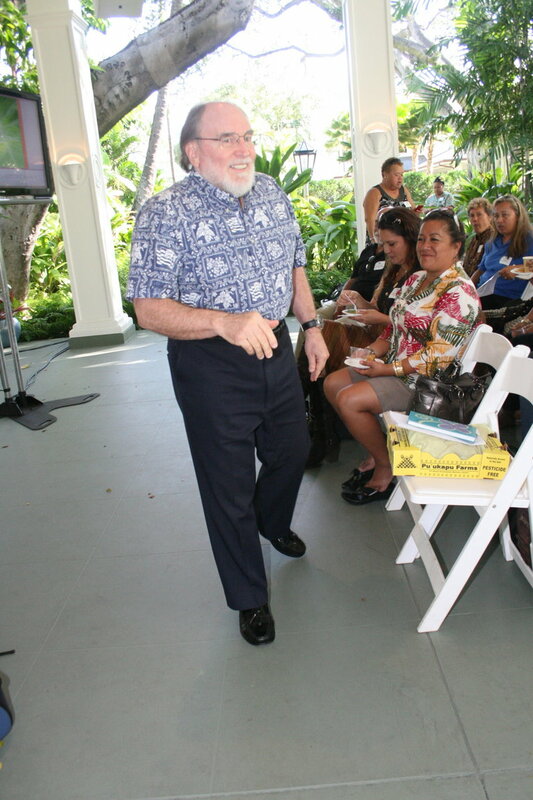 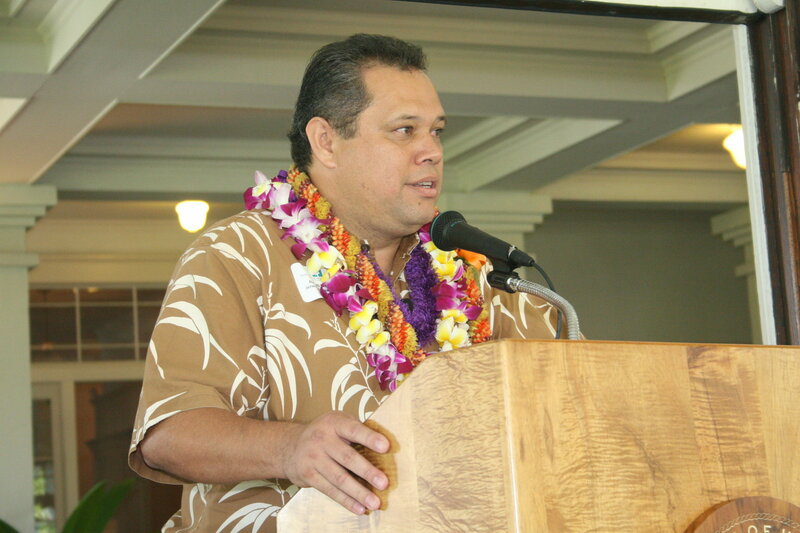 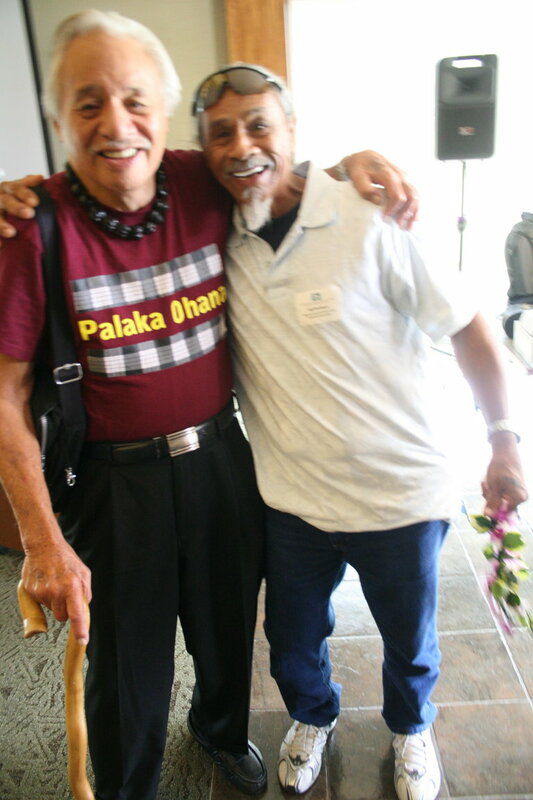 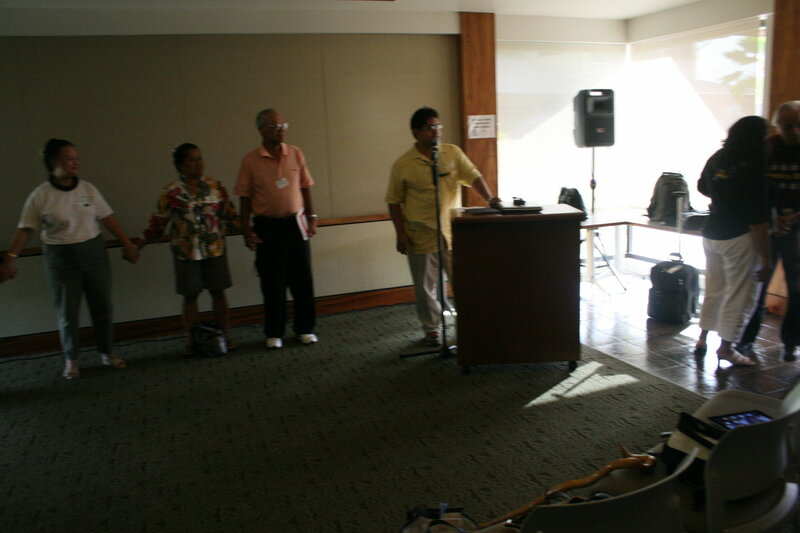 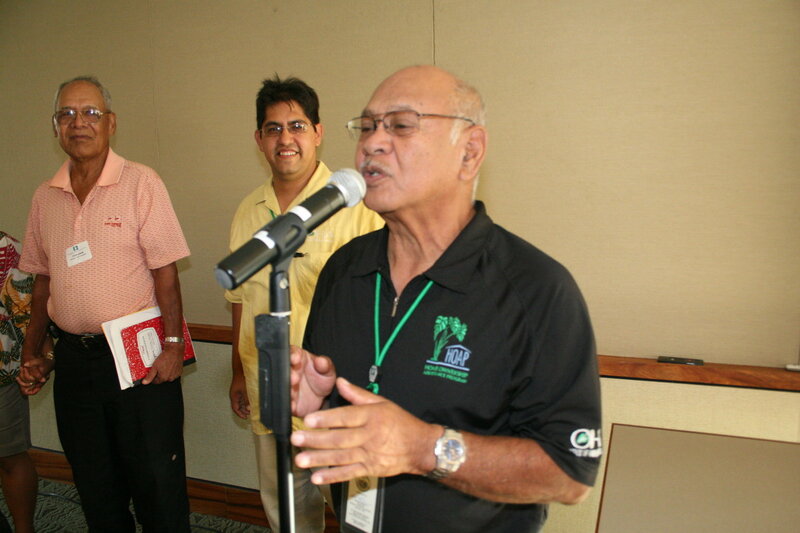 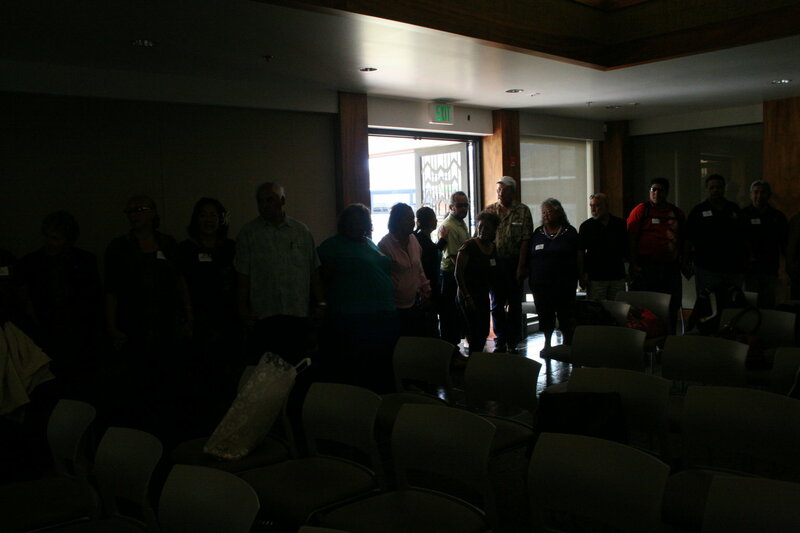 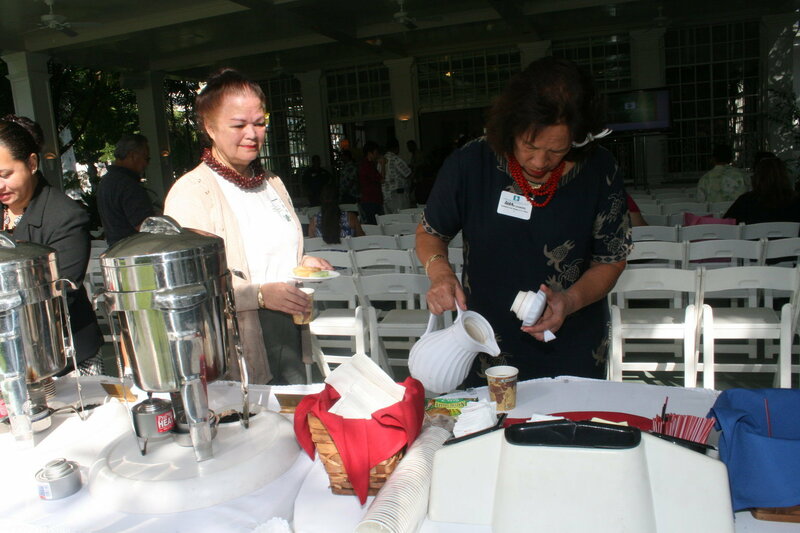 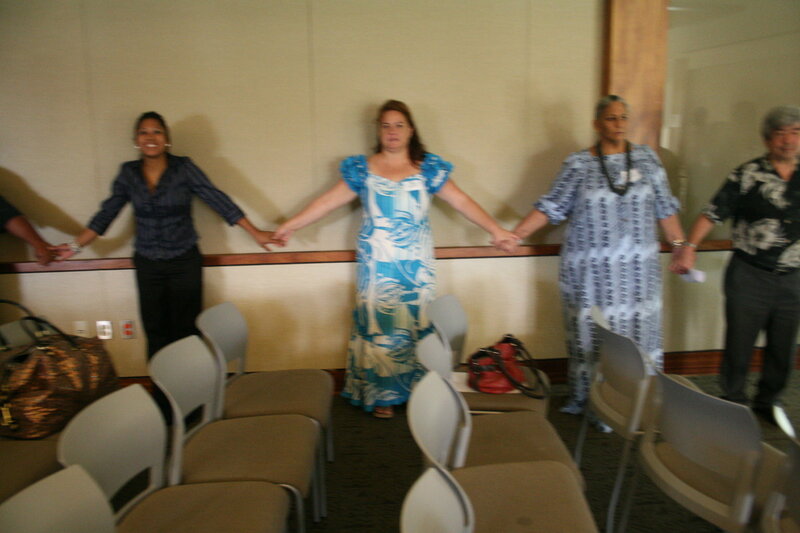 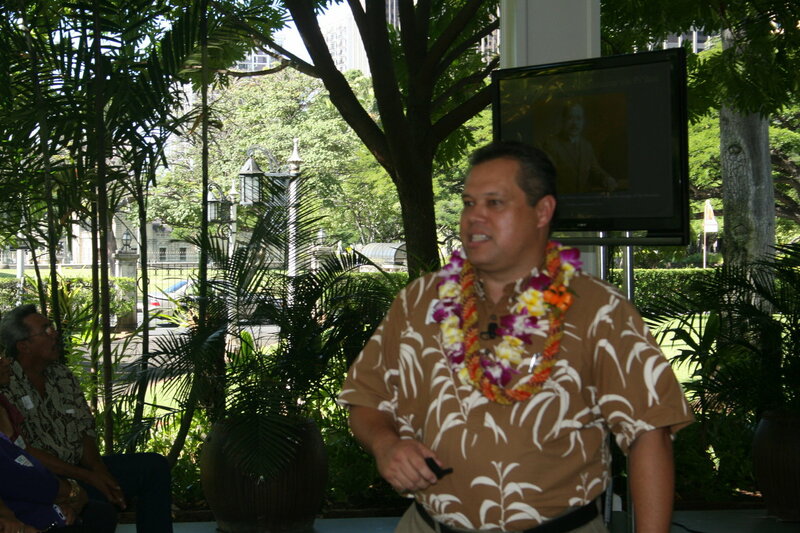 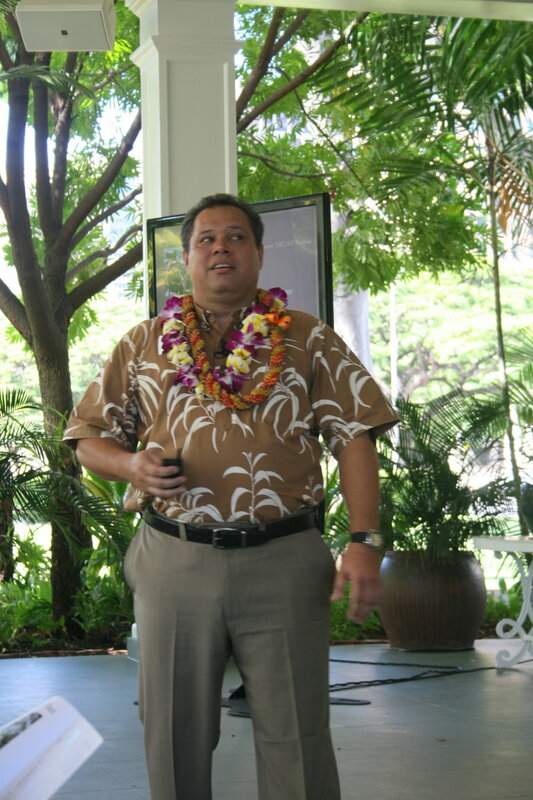 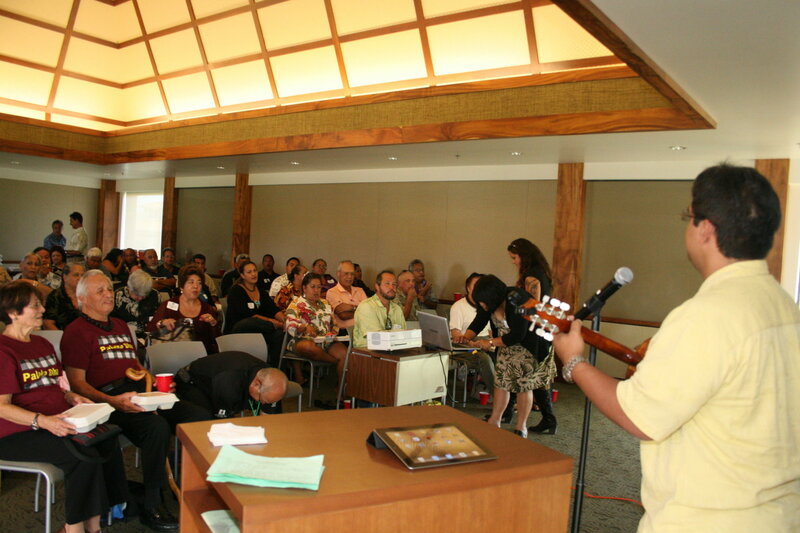 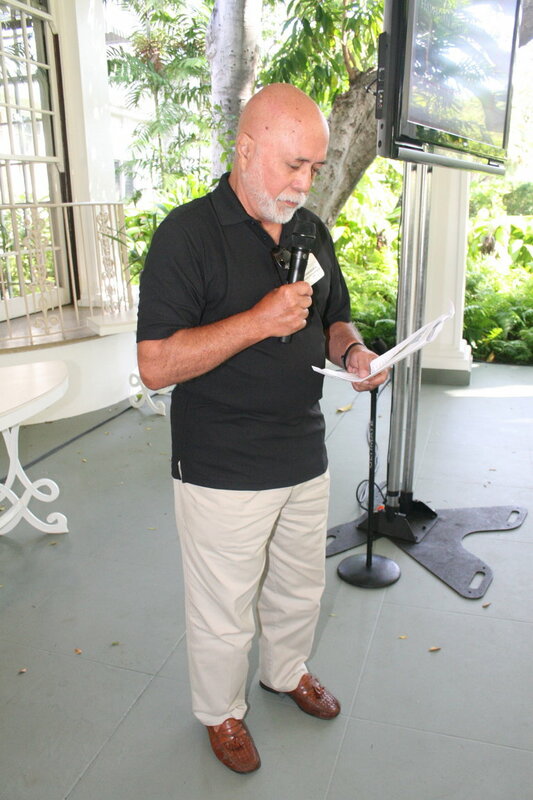 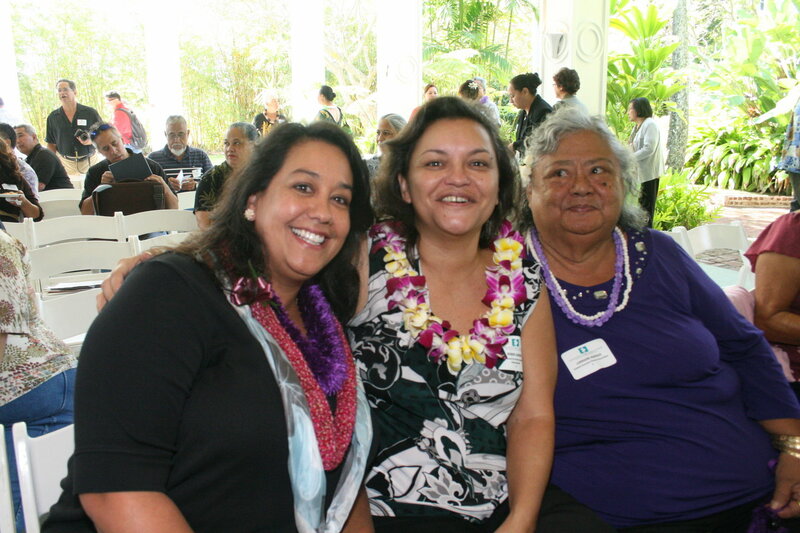 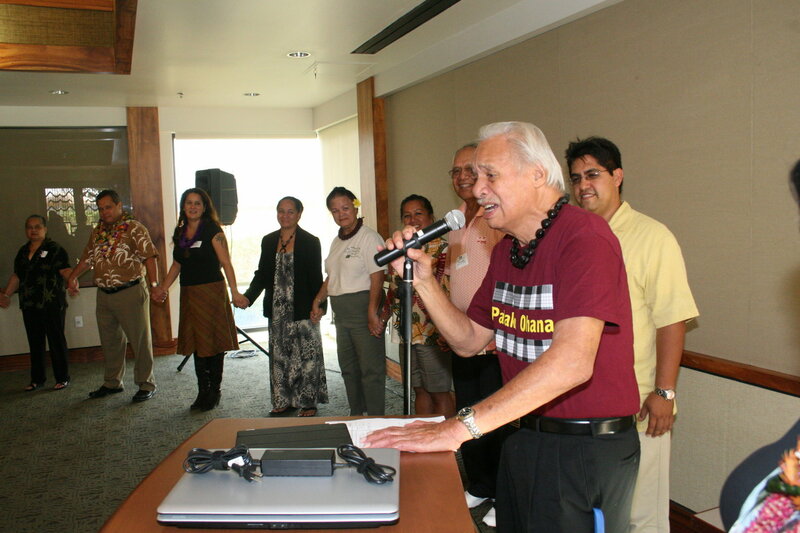 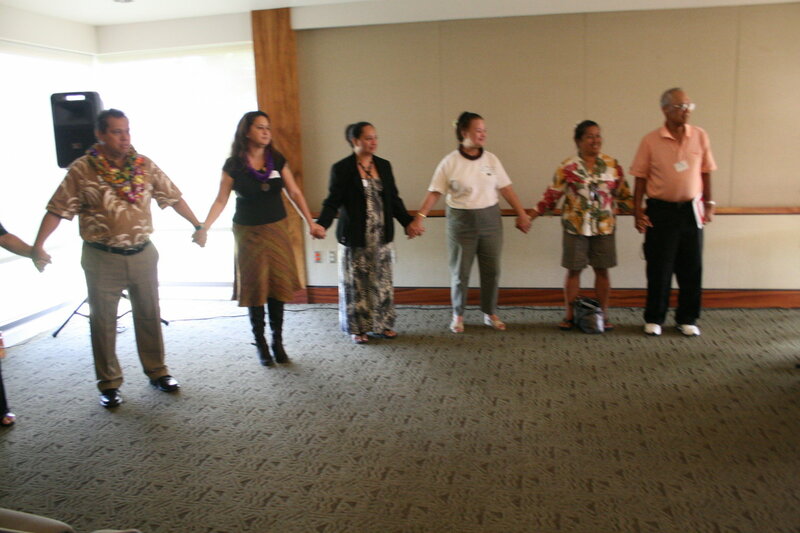 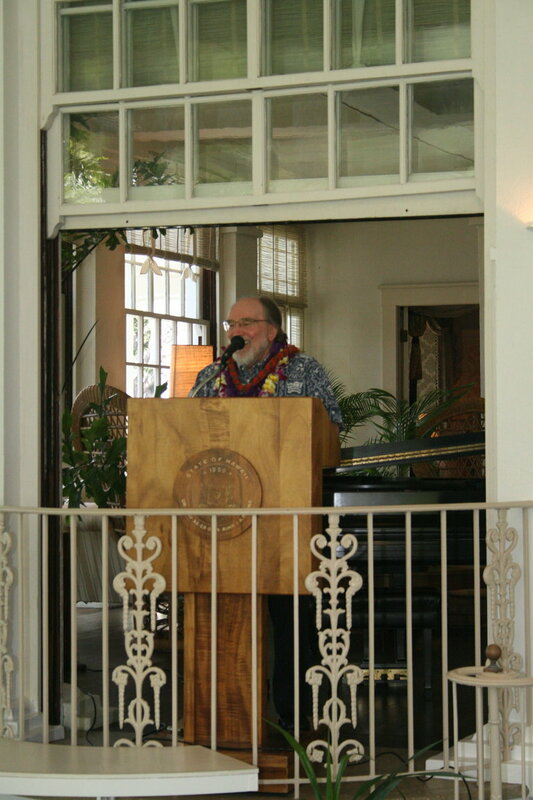 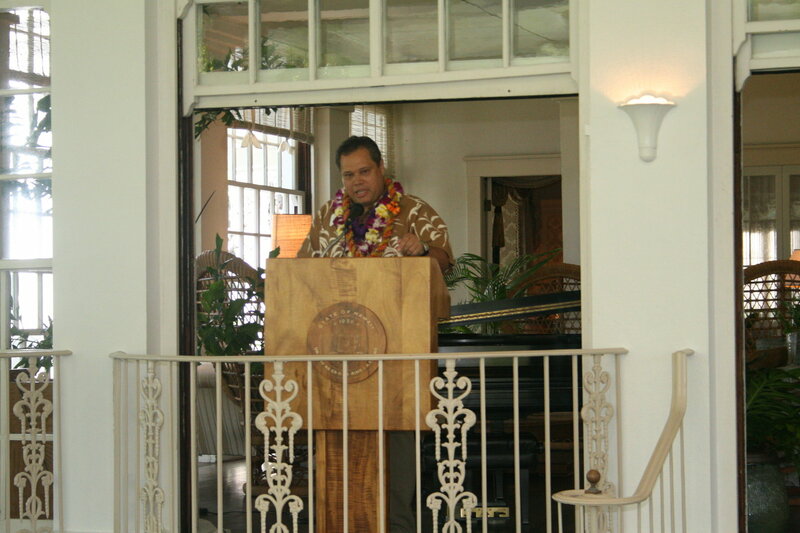 spoke on the future of Hawaiian recognition and exhorted the group to seize the moment to further the Hawaiian people. 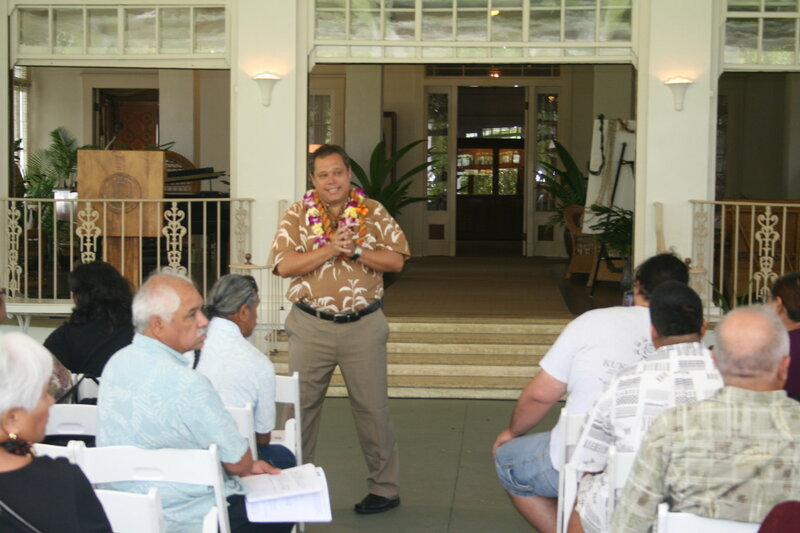 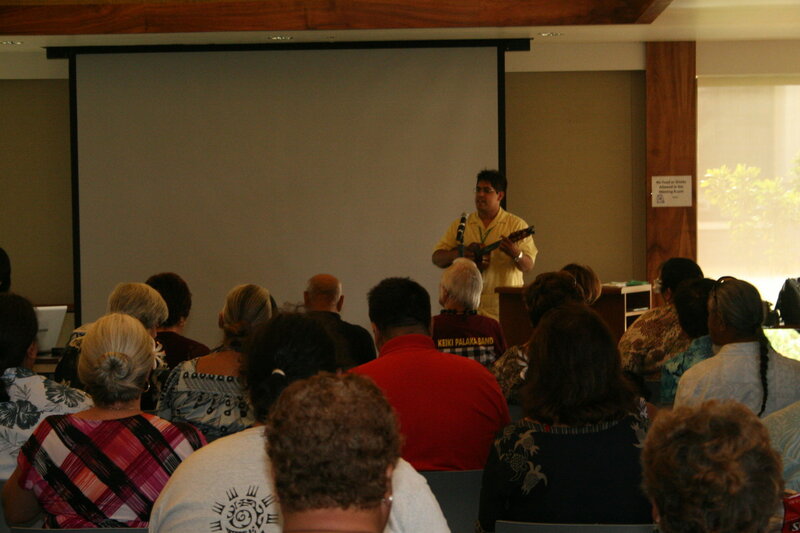 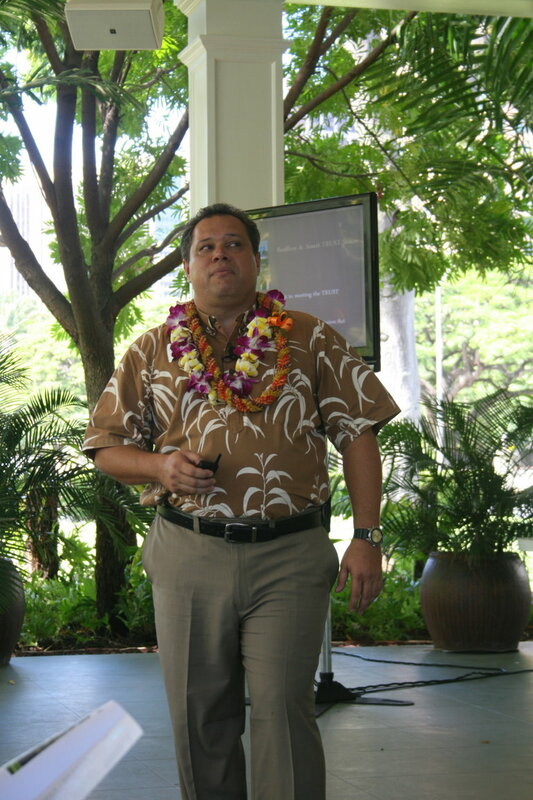 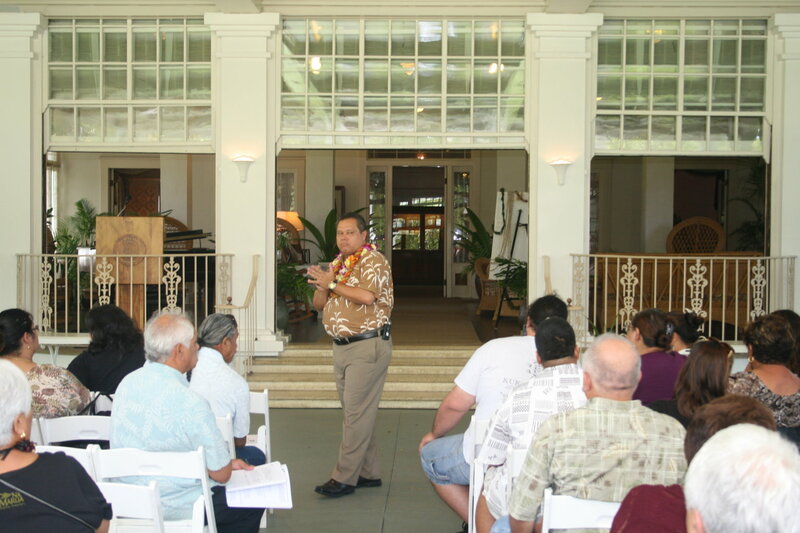 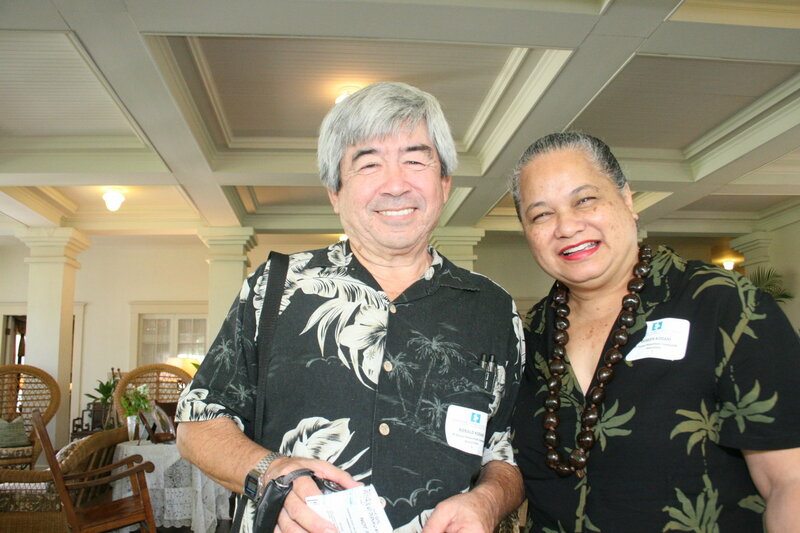 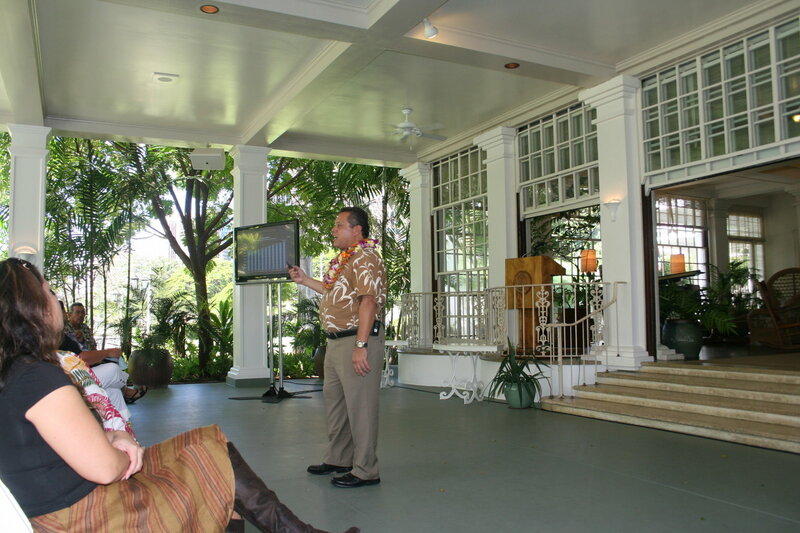 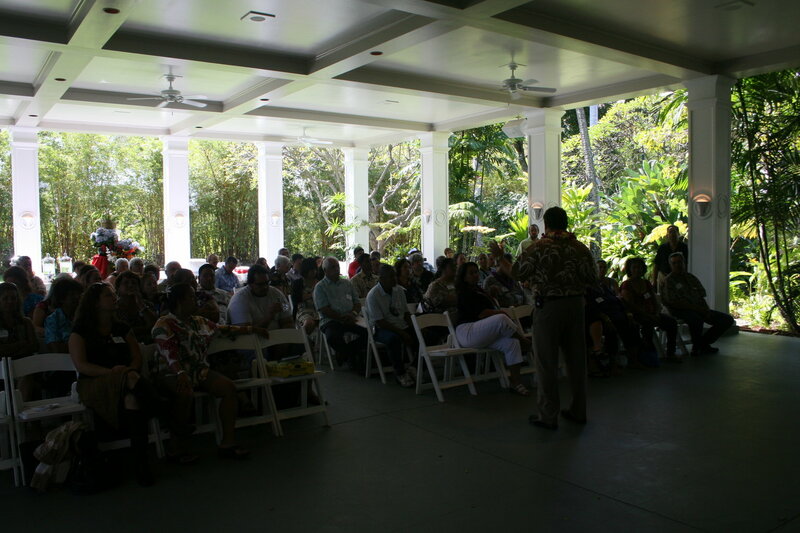 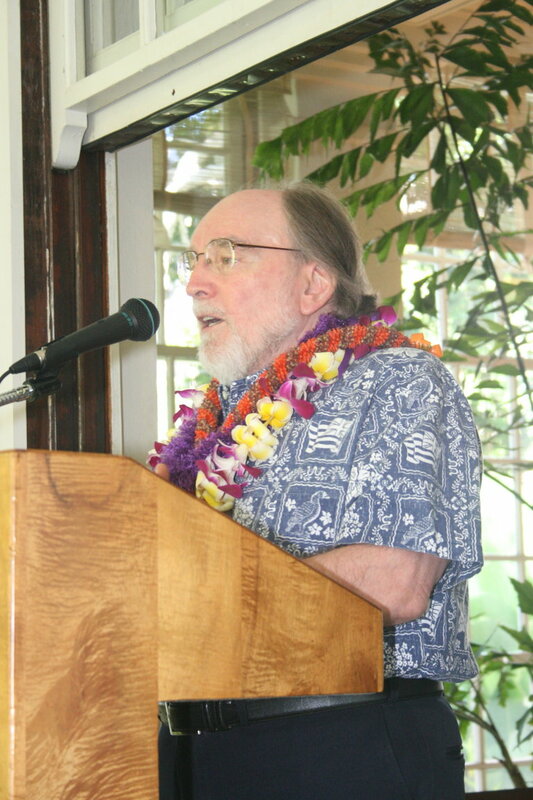 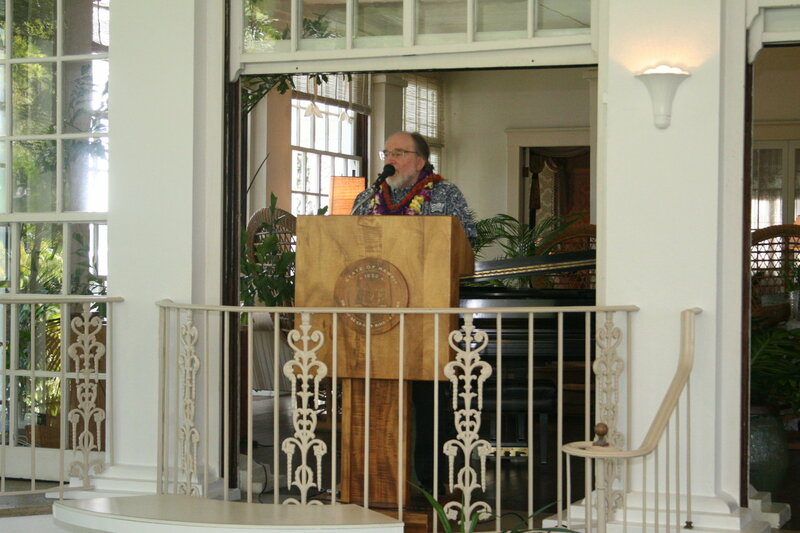 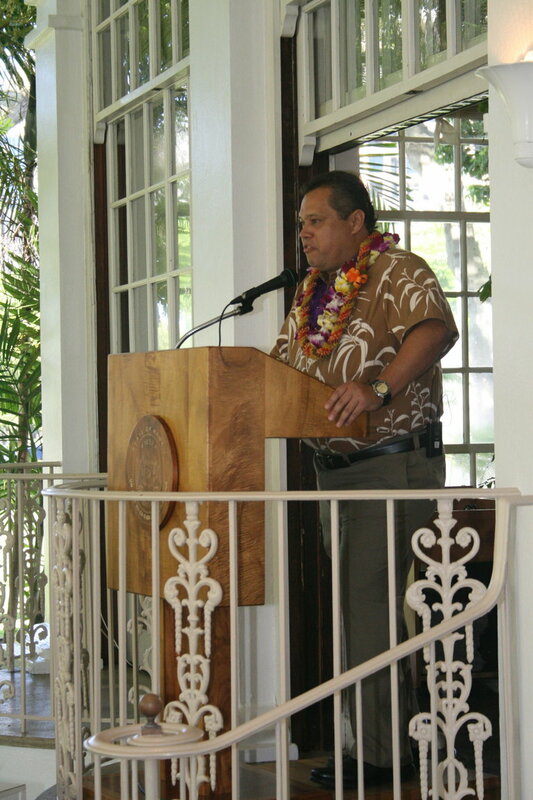 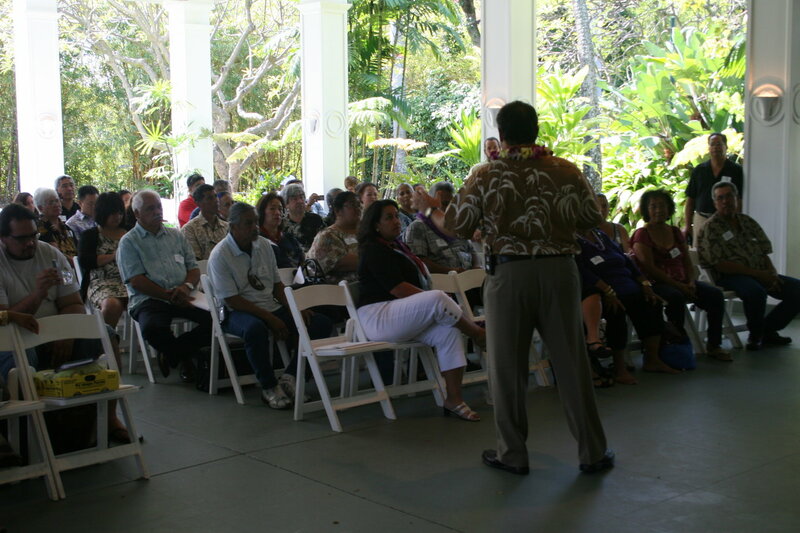 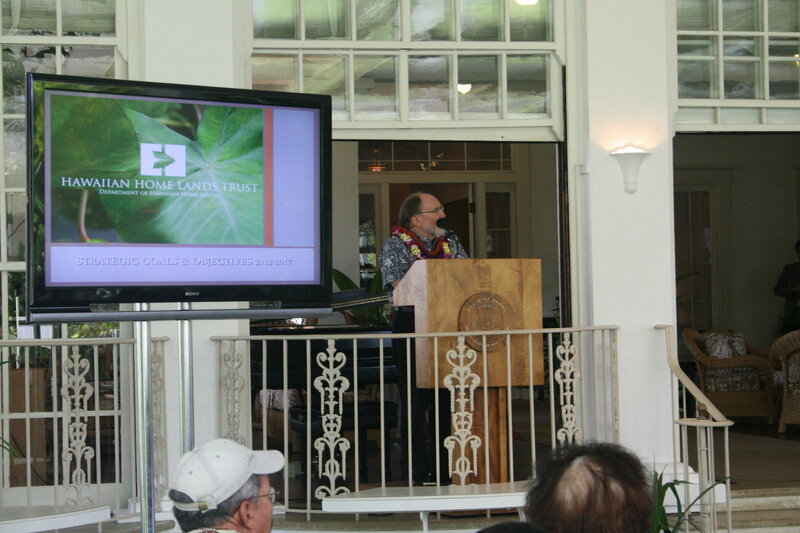 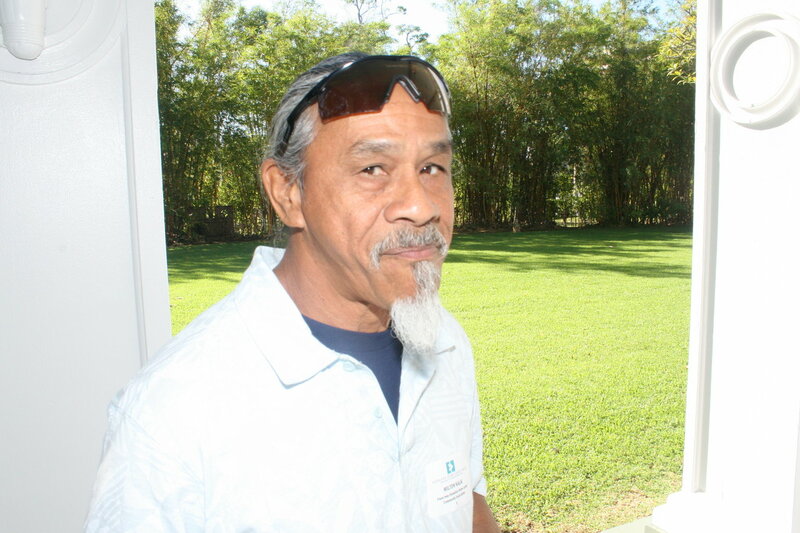 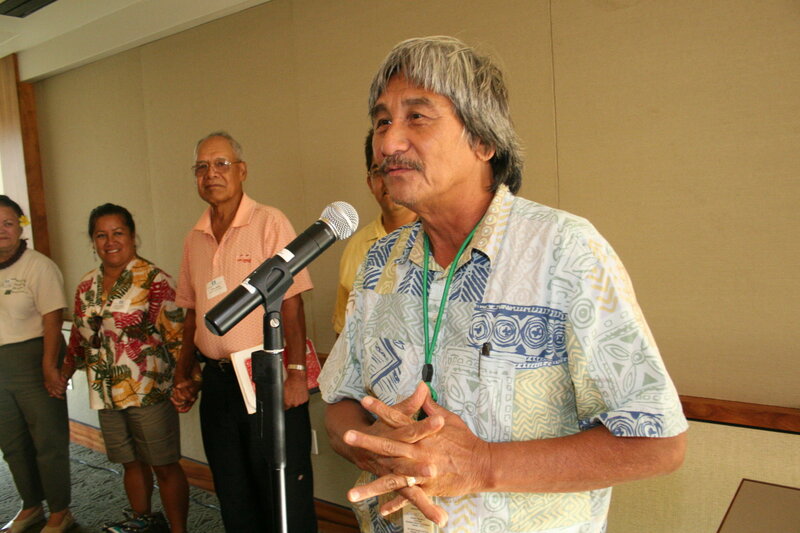 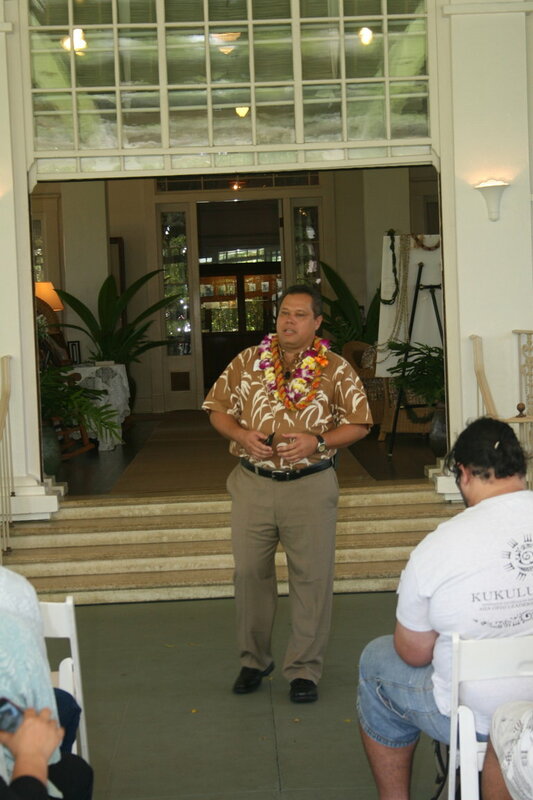 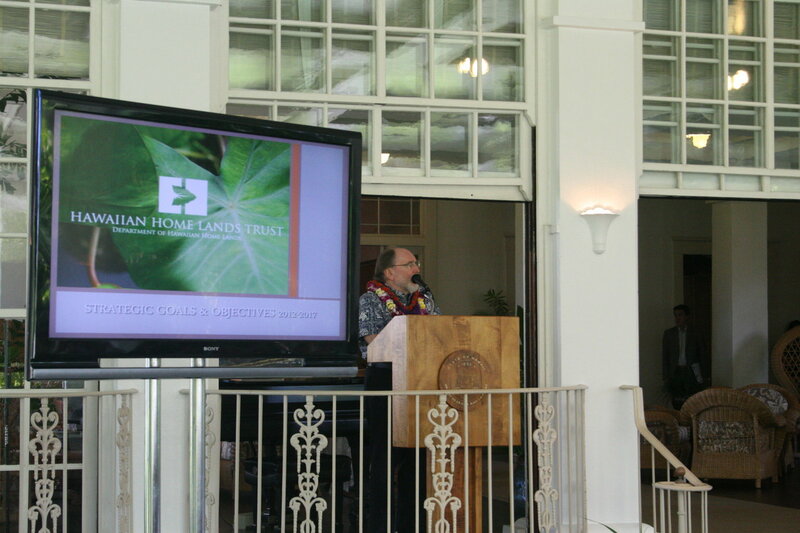 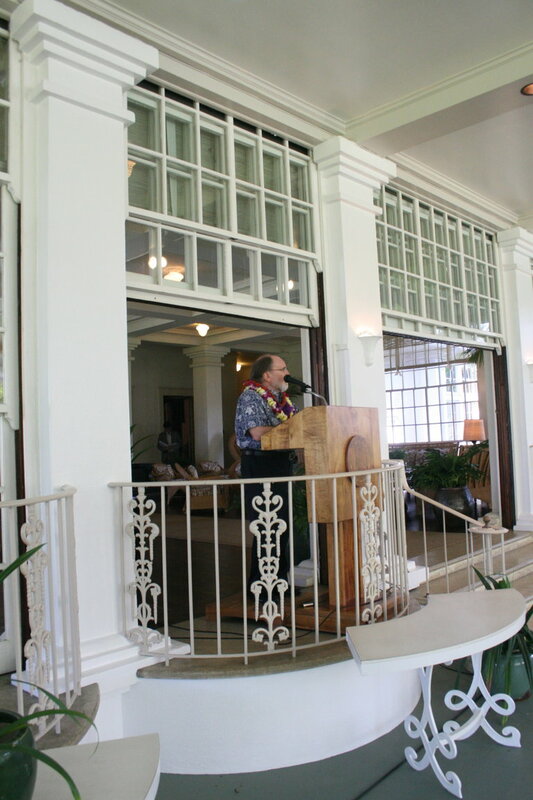 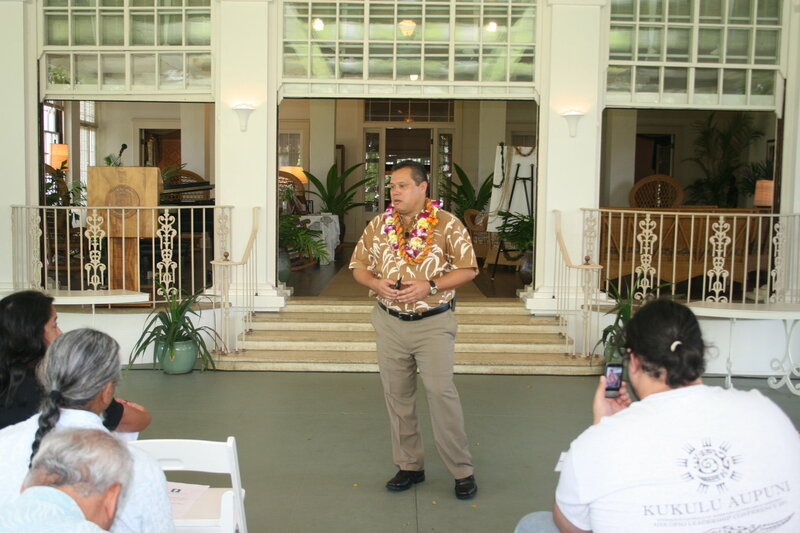 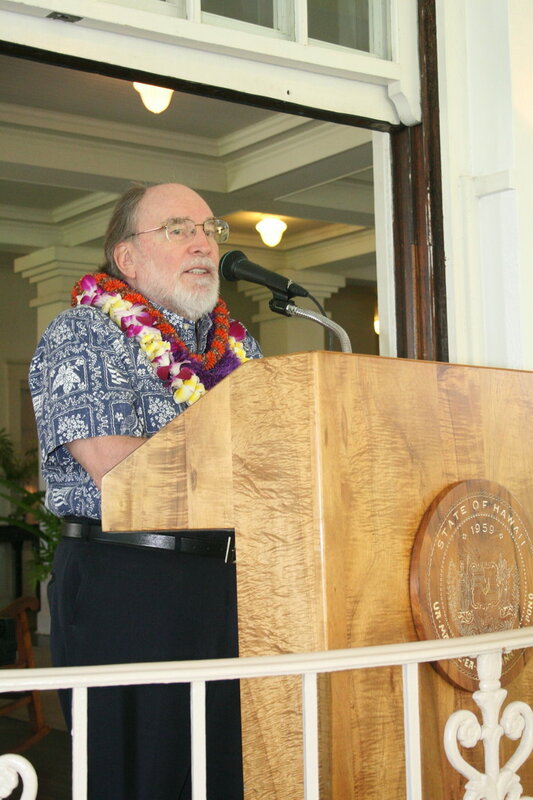 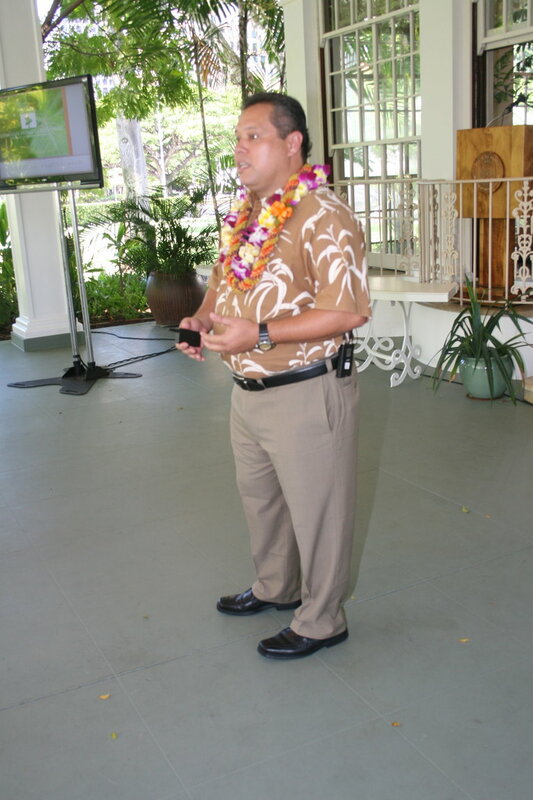 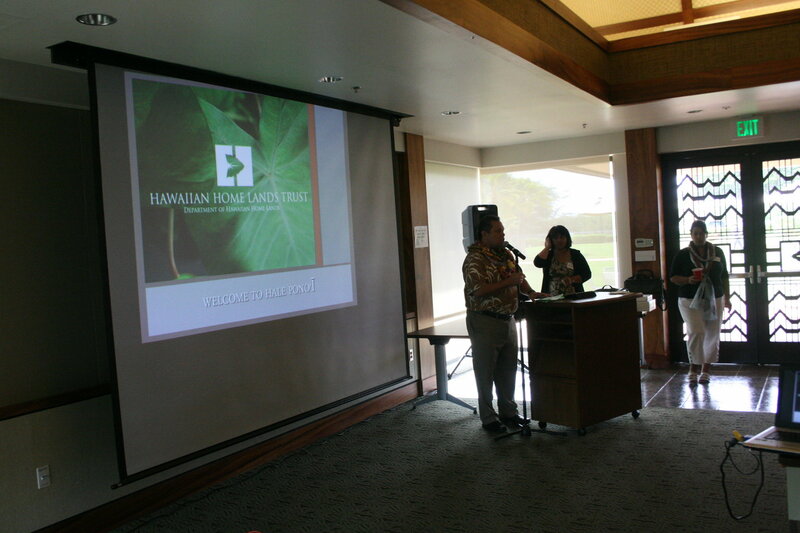 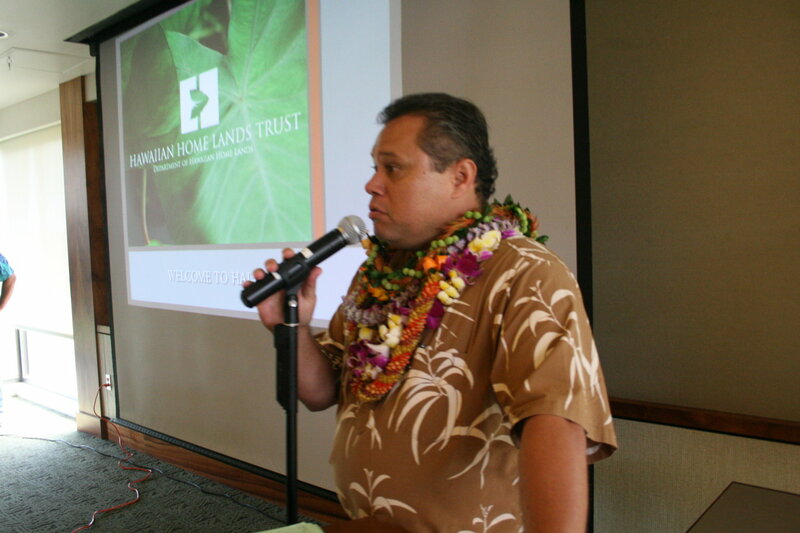 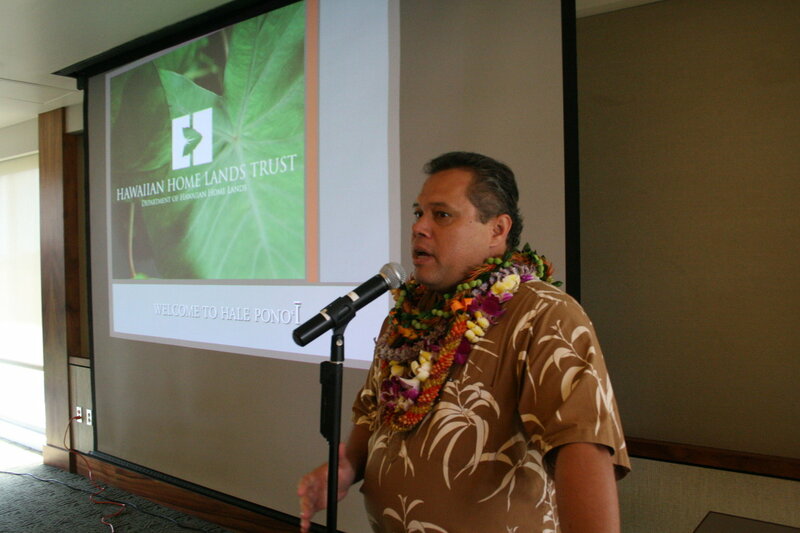 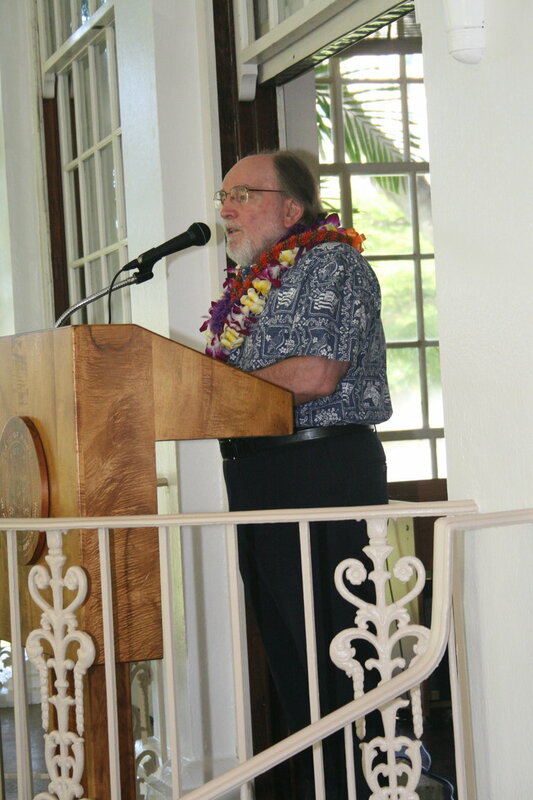 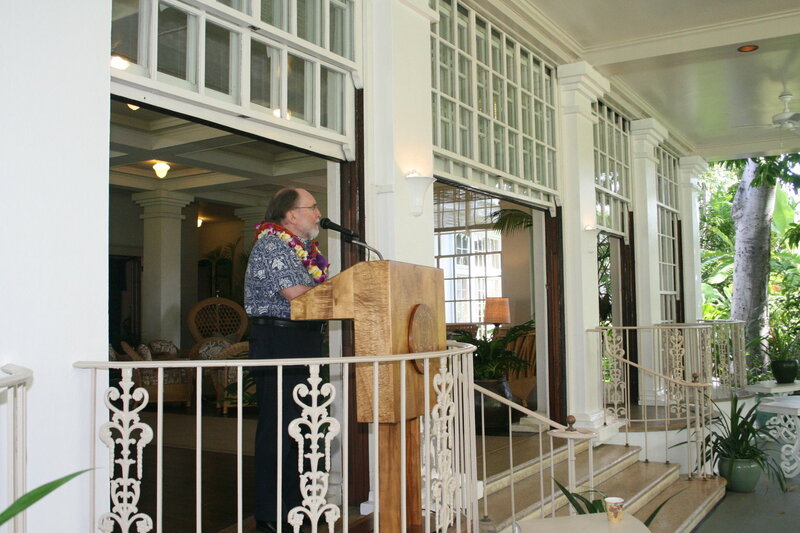 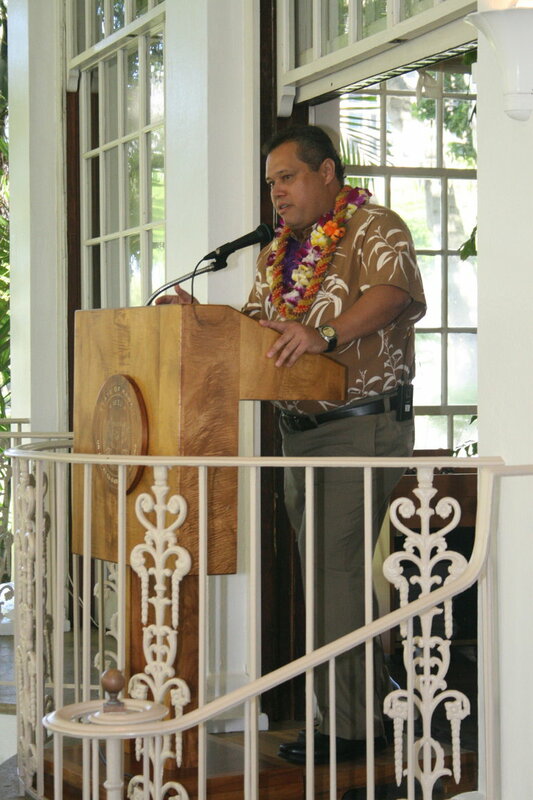 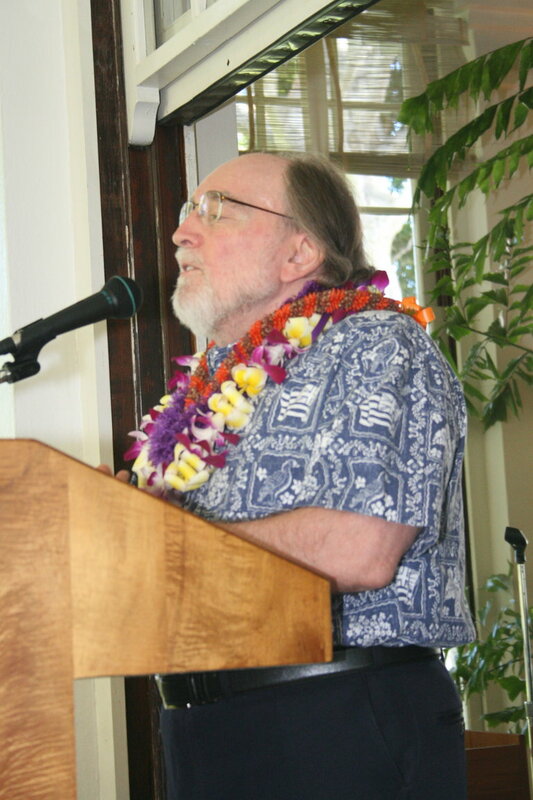 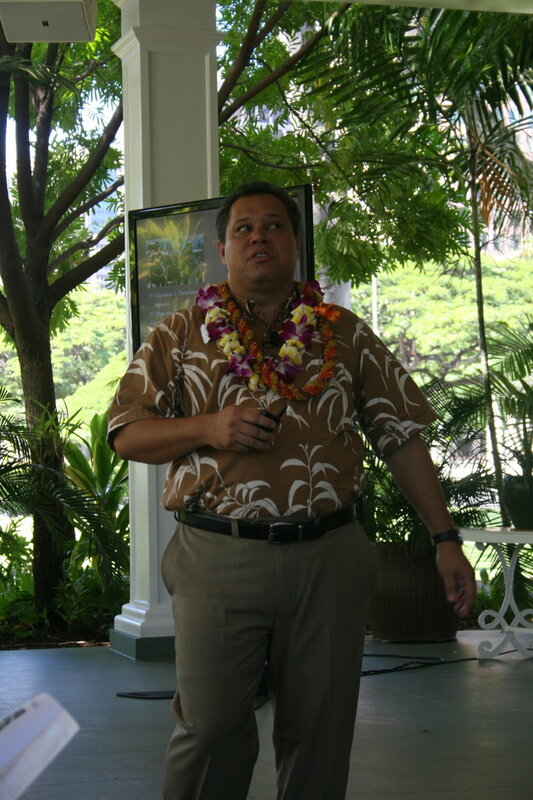 Chairman Nahale-a gave a presentation on the status of the Hawaiian Home Lands Trust, then answered questions from the group. 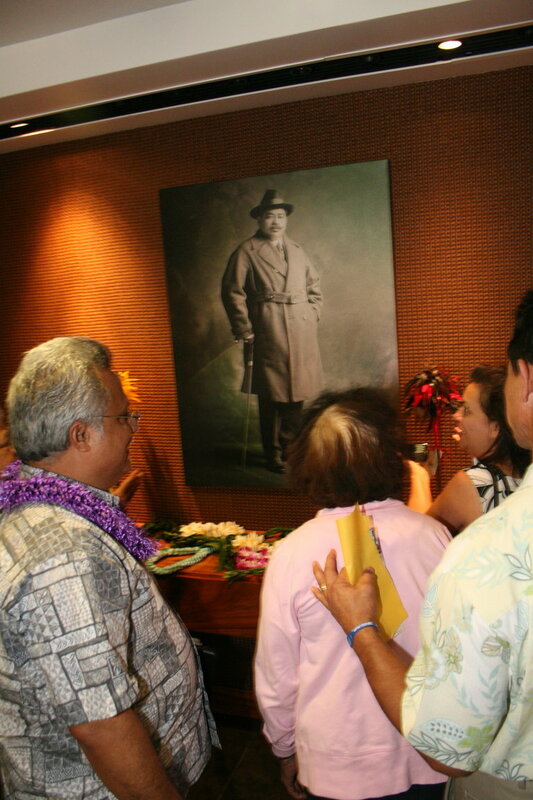 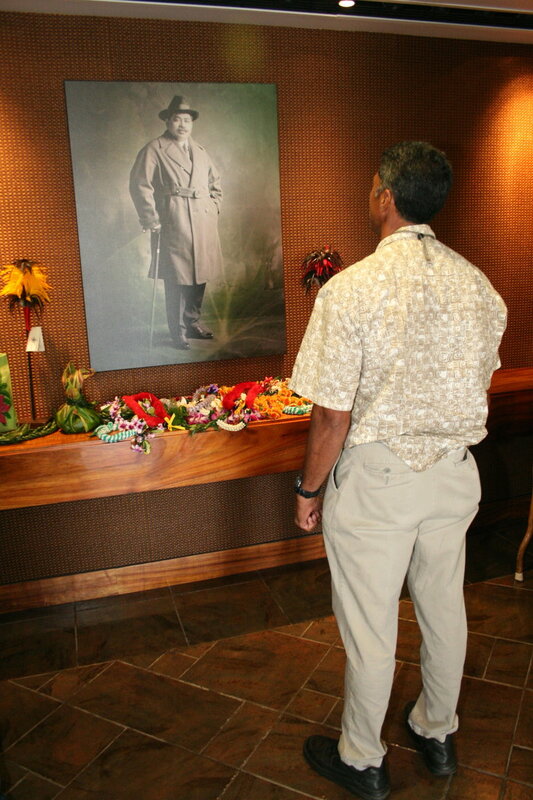 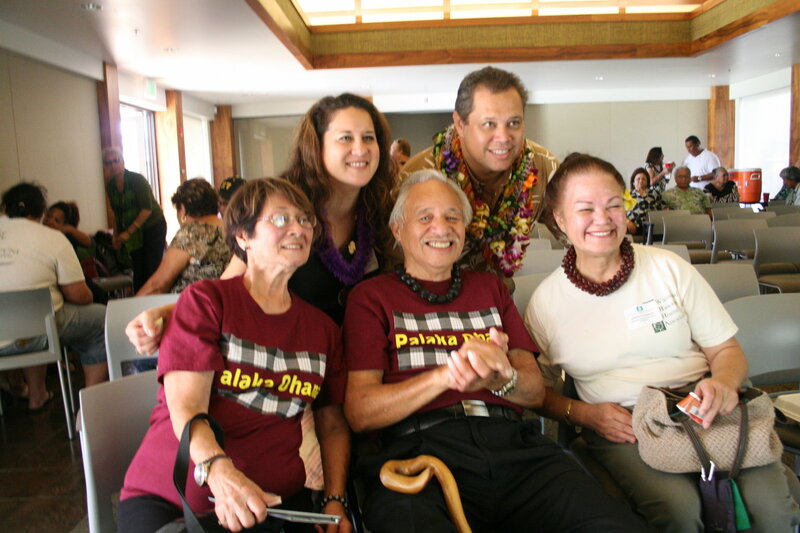 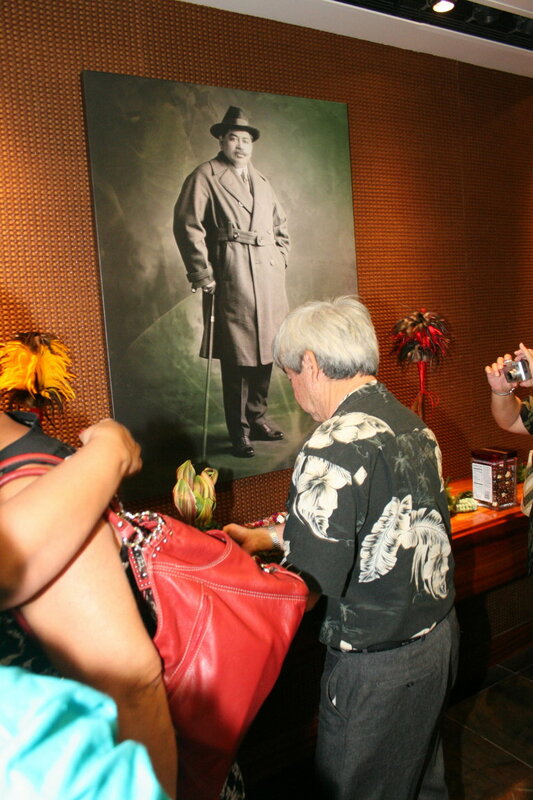 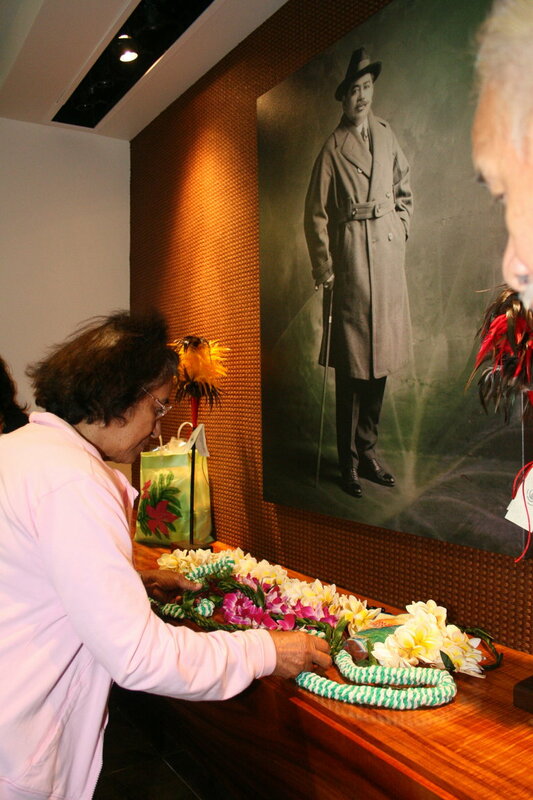 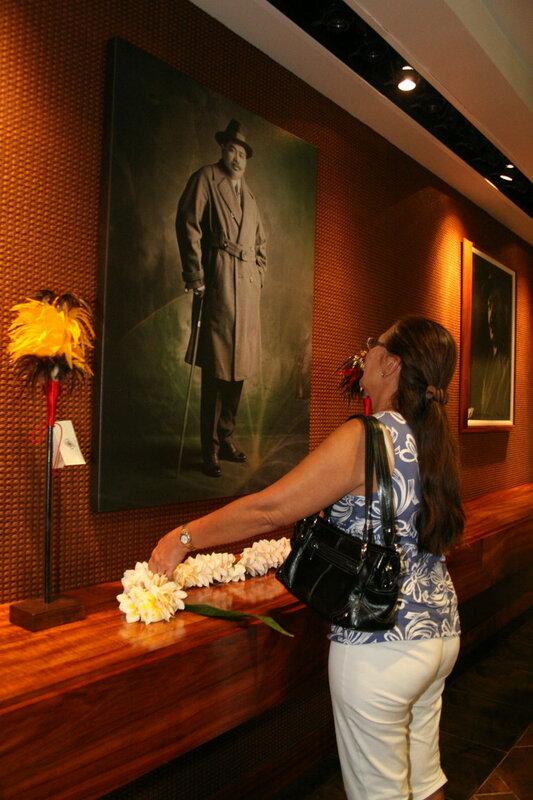 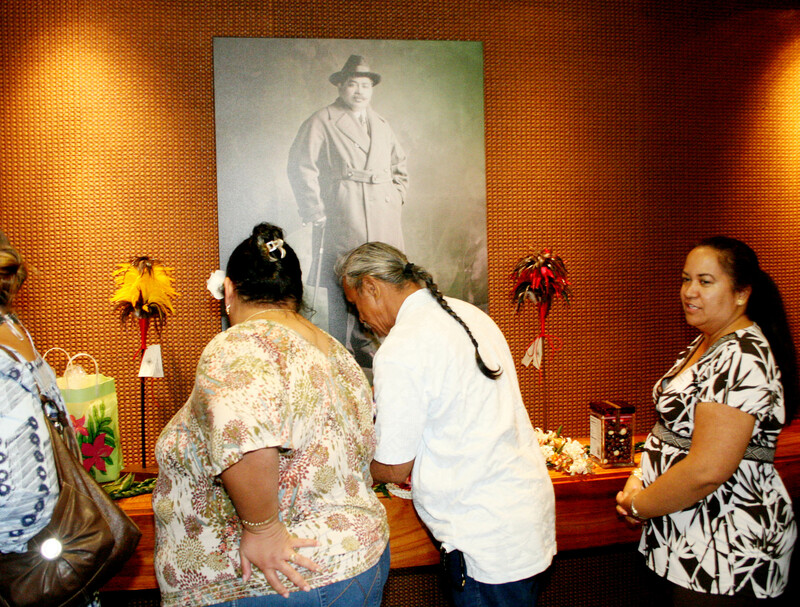 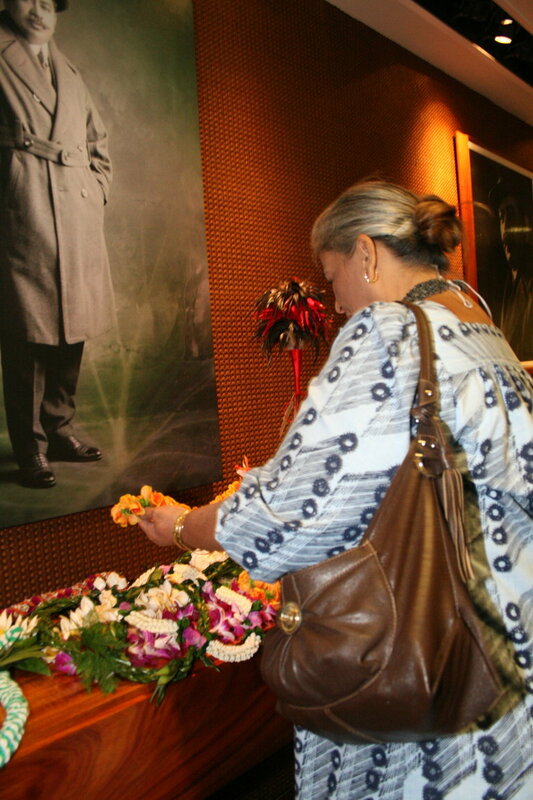 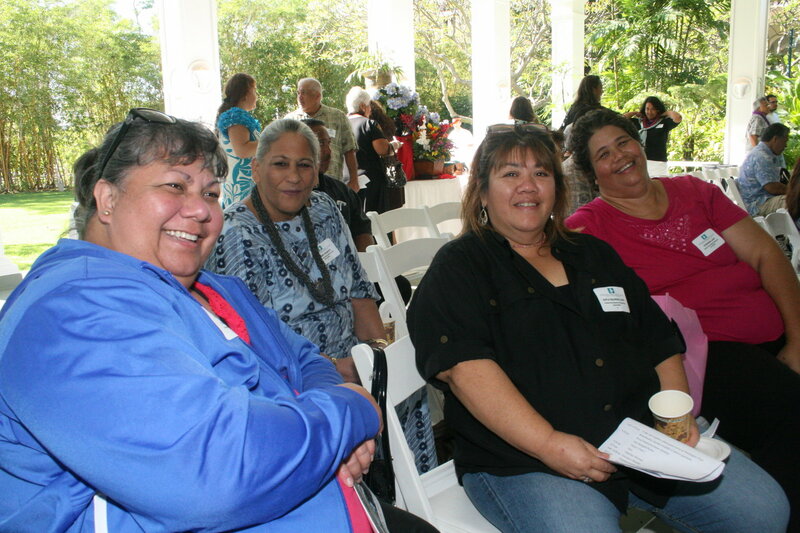 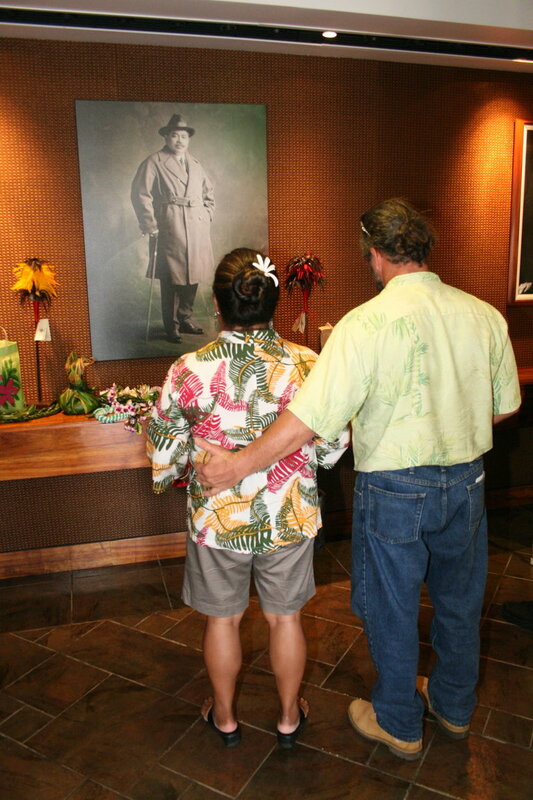 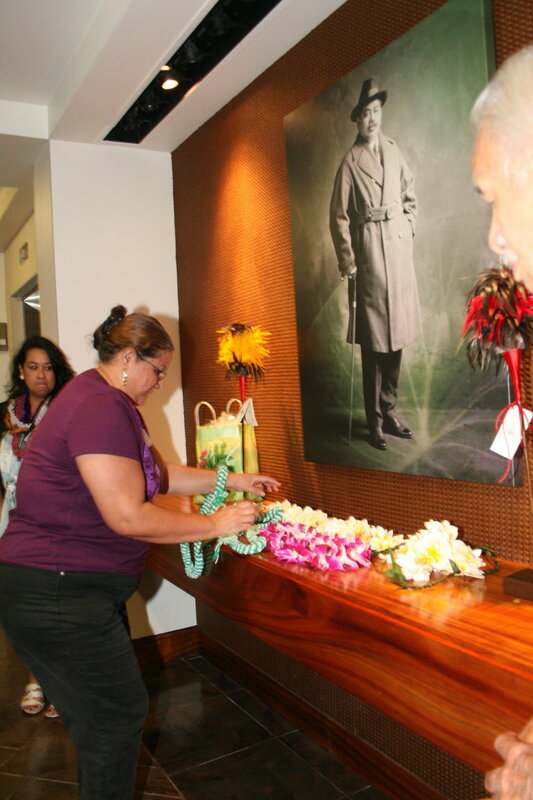 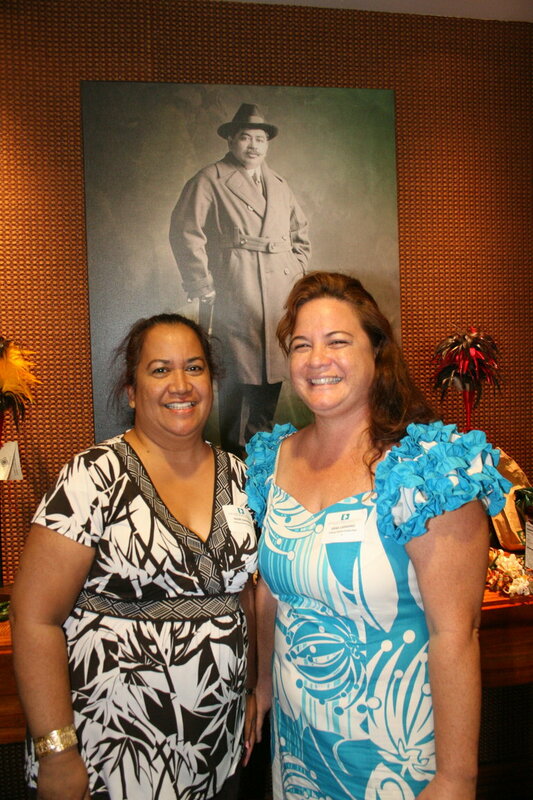 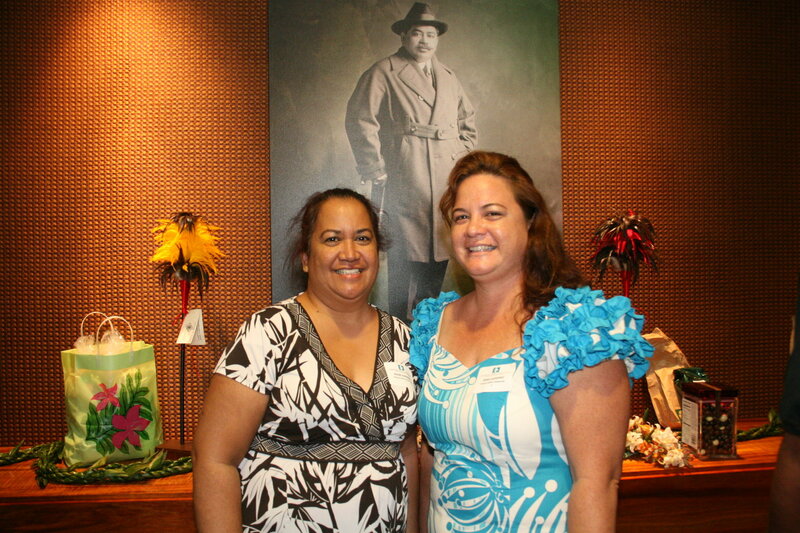 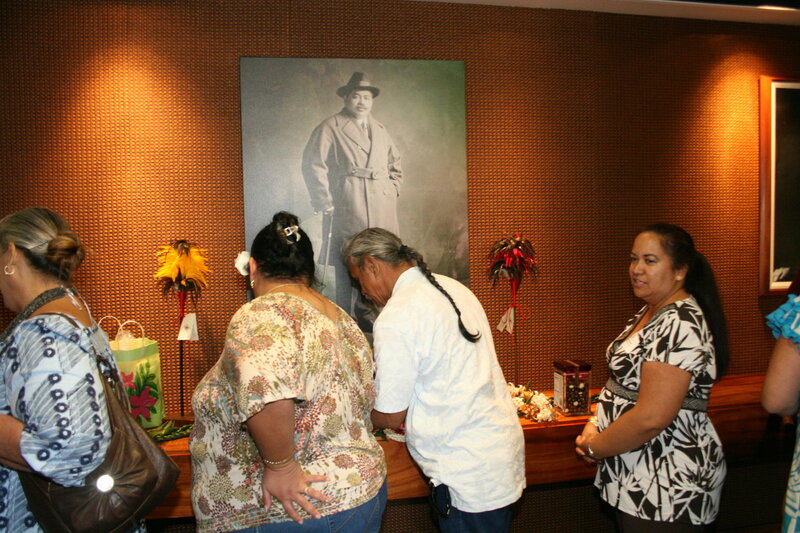 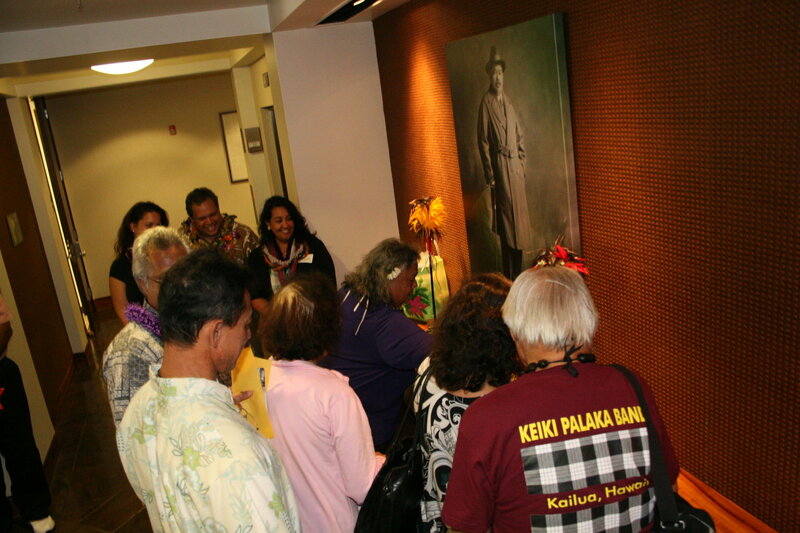 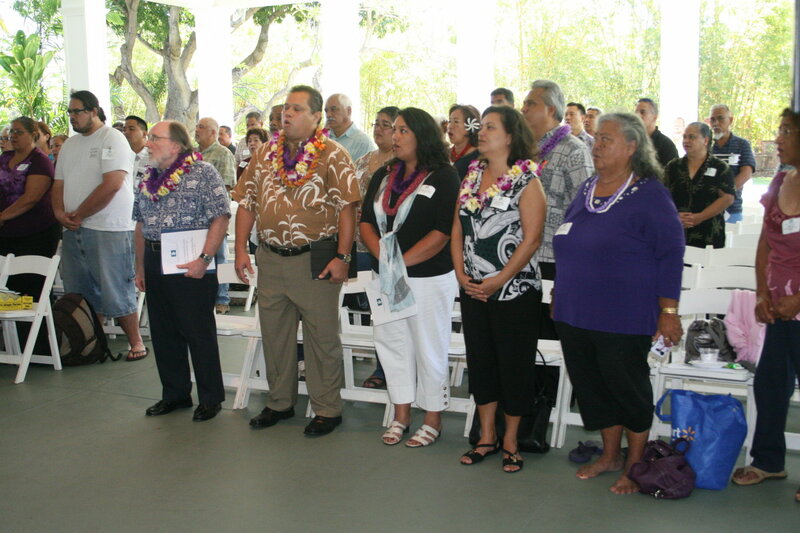 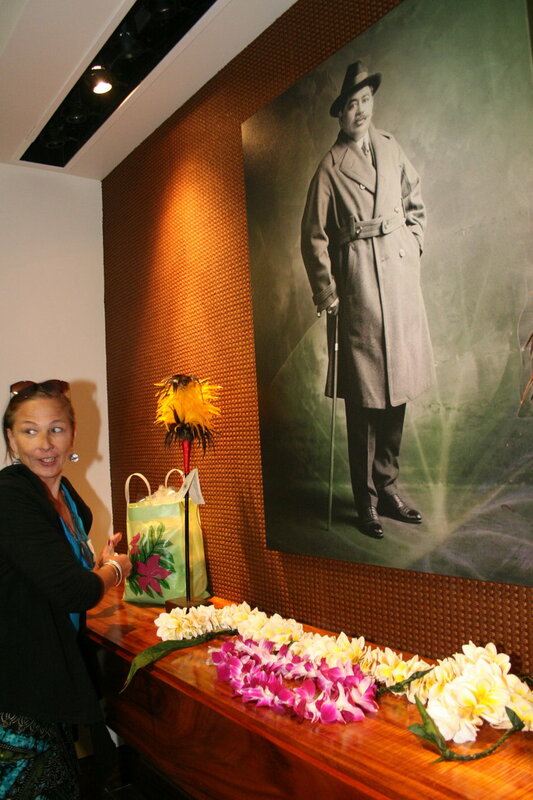 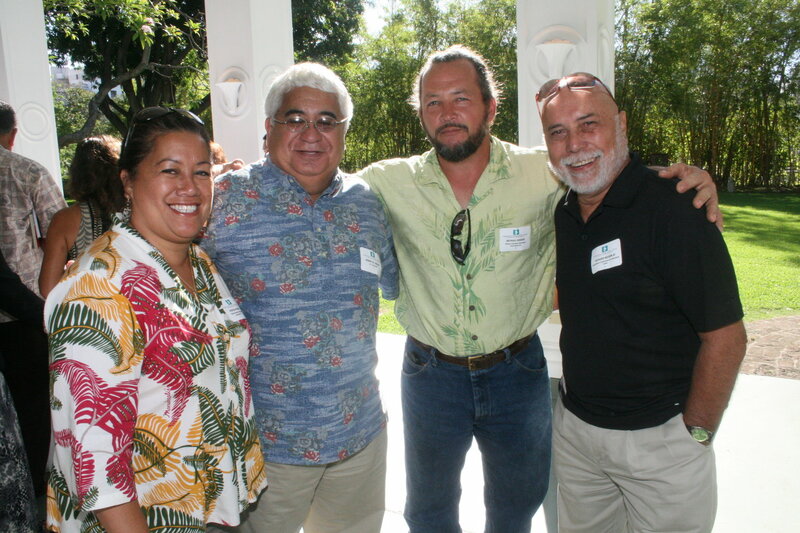 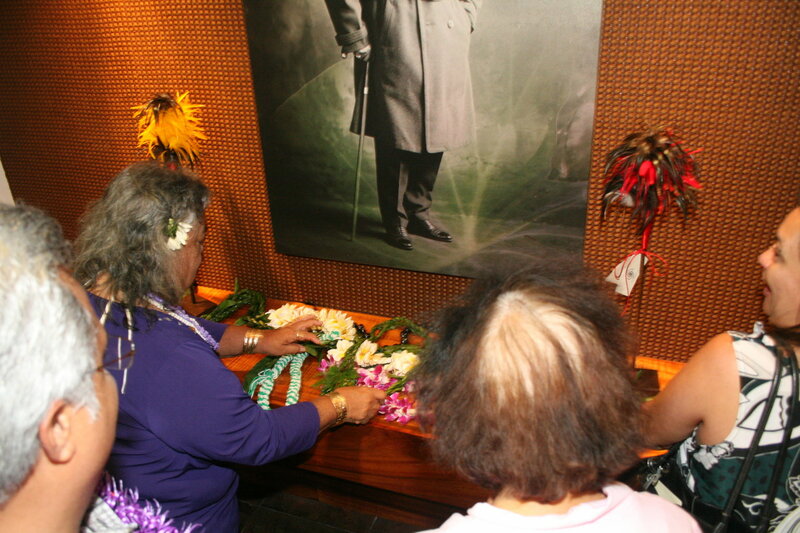 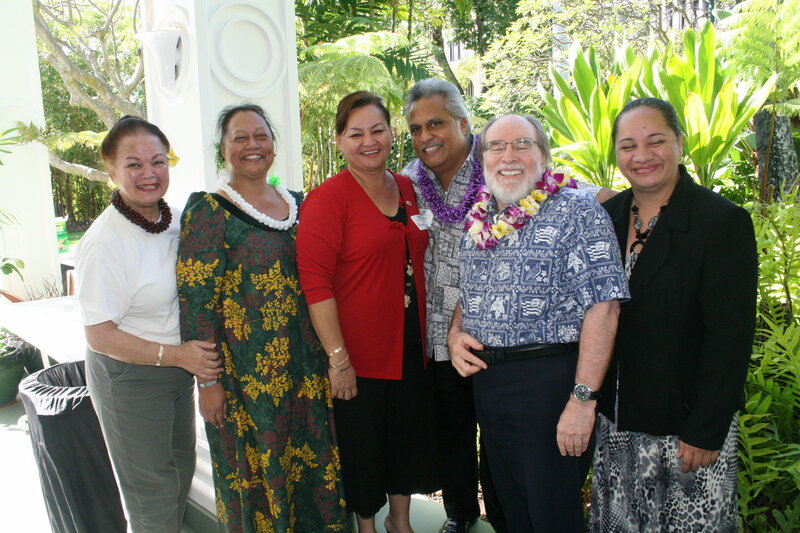 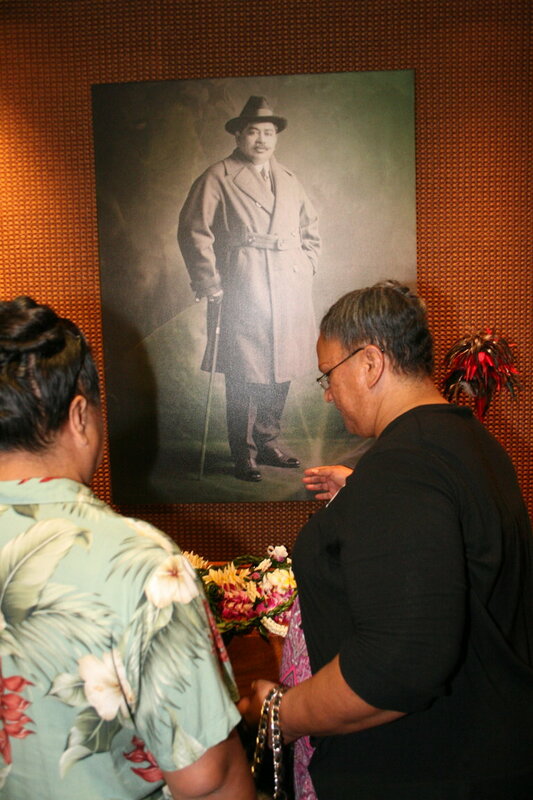 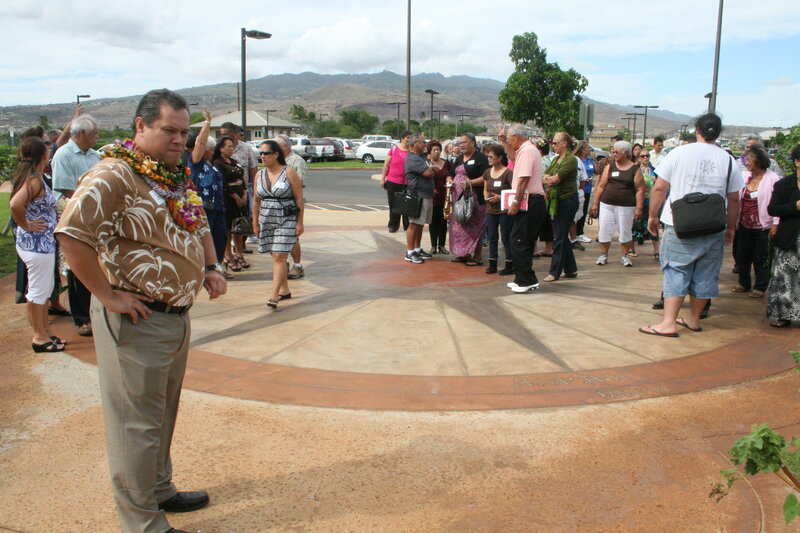 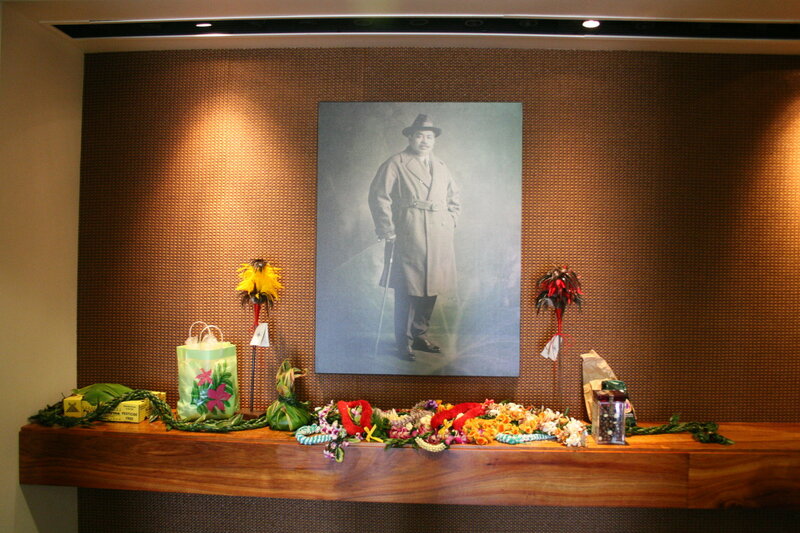 Homestead leaders from across the state visited Hale Kalaniana‘ole and left ho‘okupu at the portrait of Prince Kūhiō. 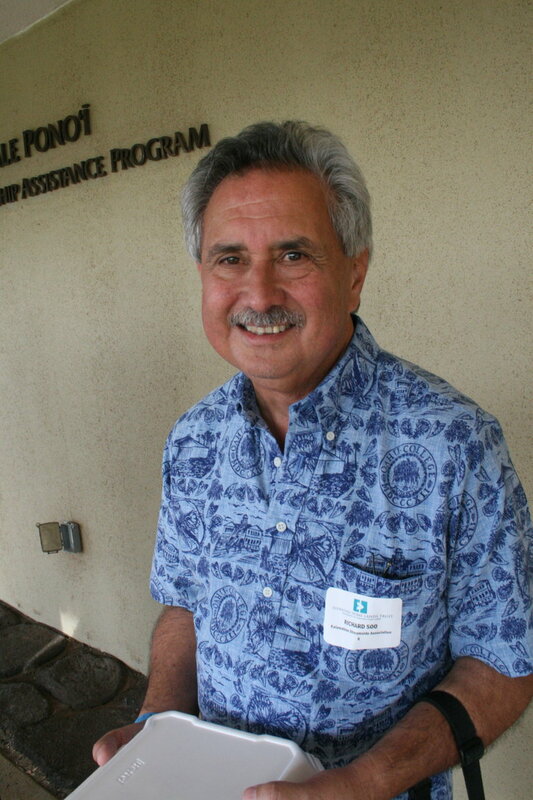 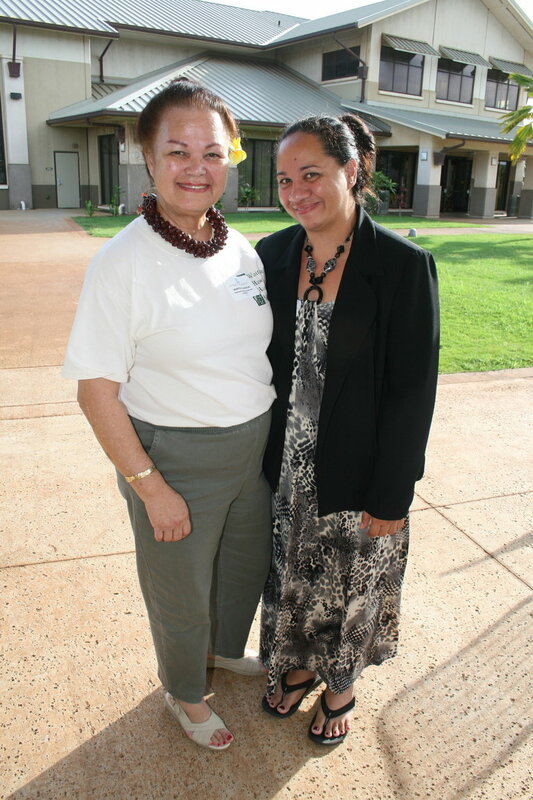 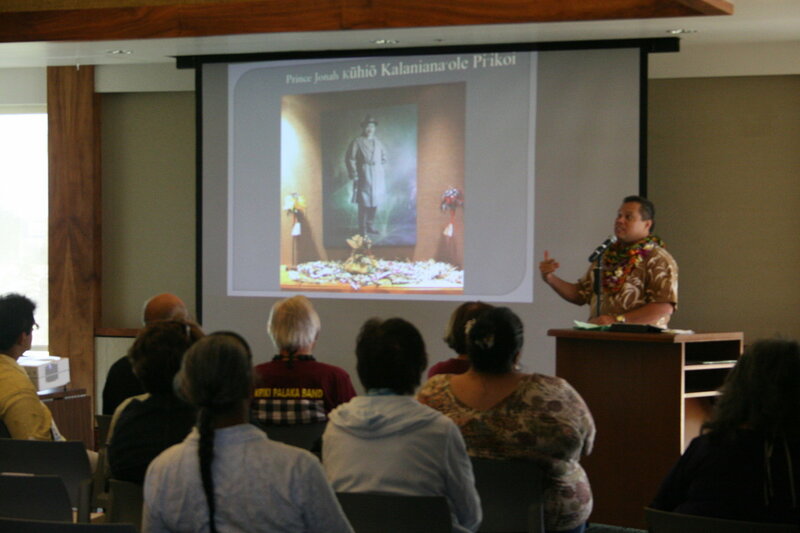 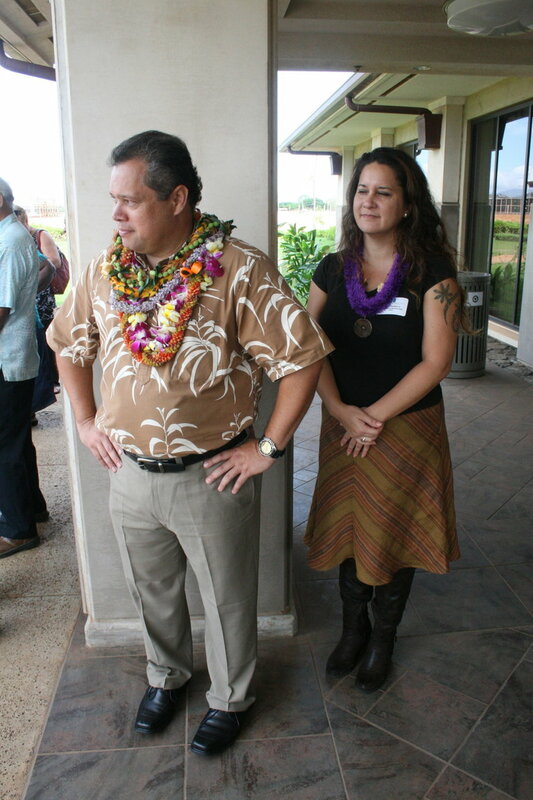 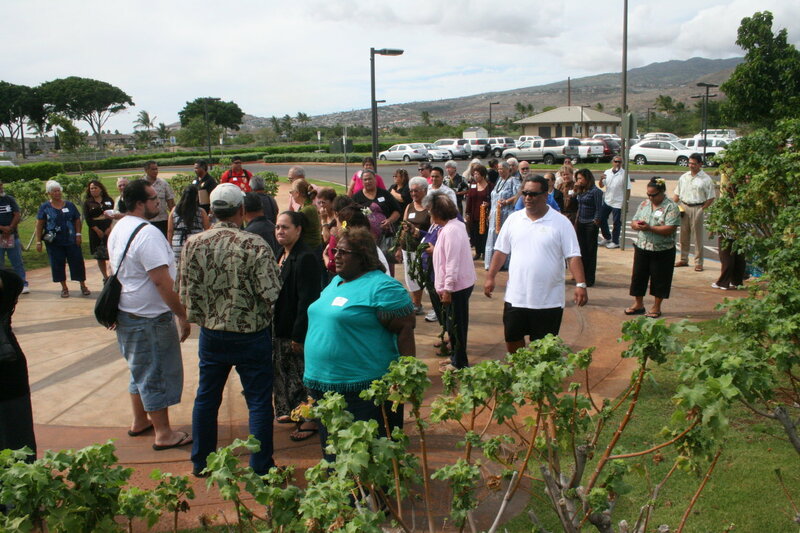 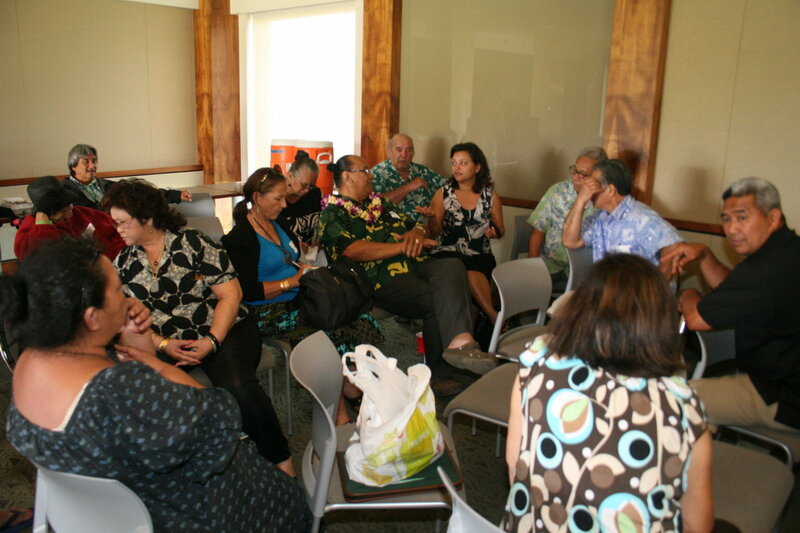 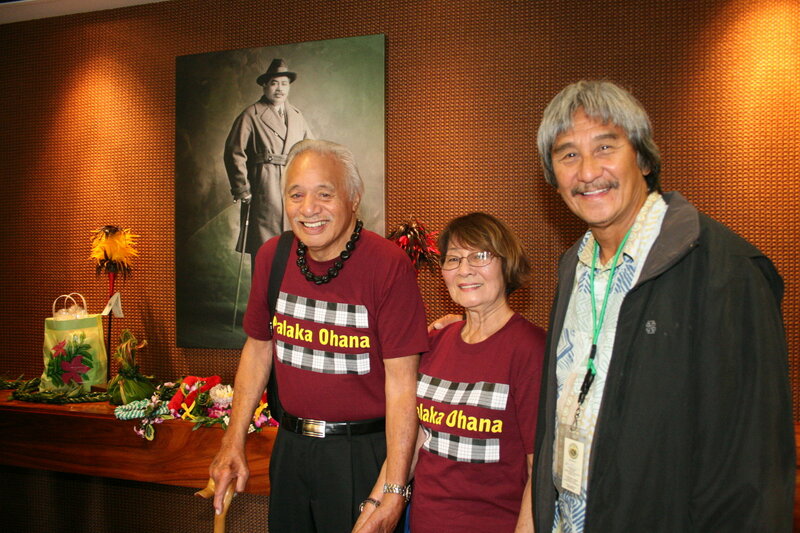 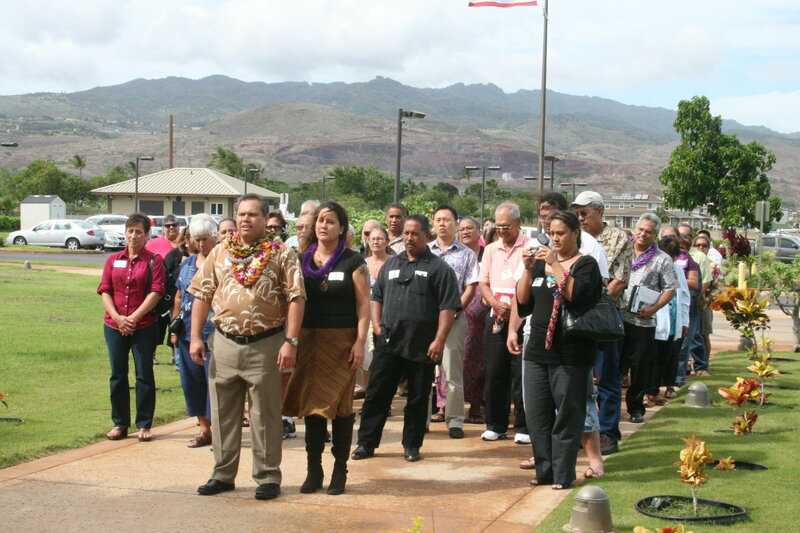 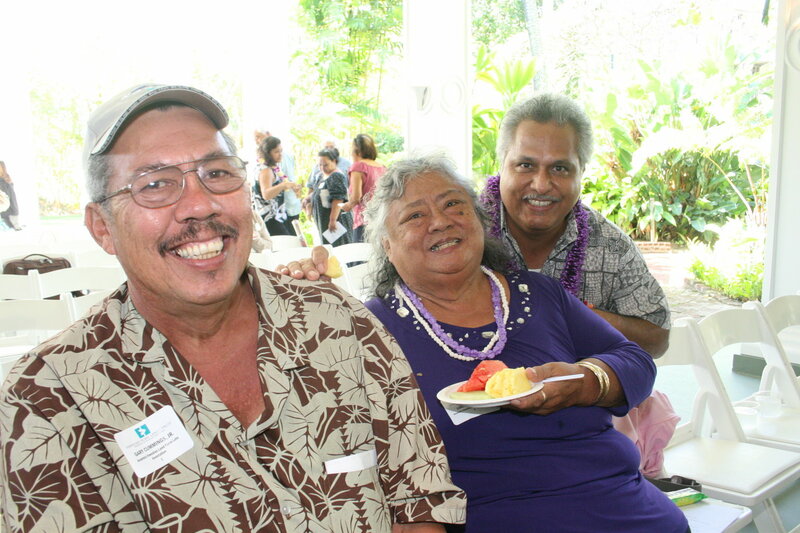 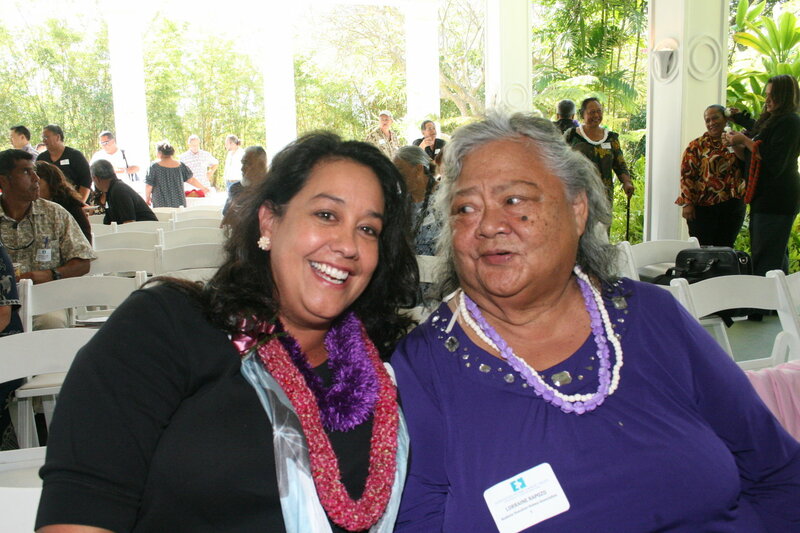 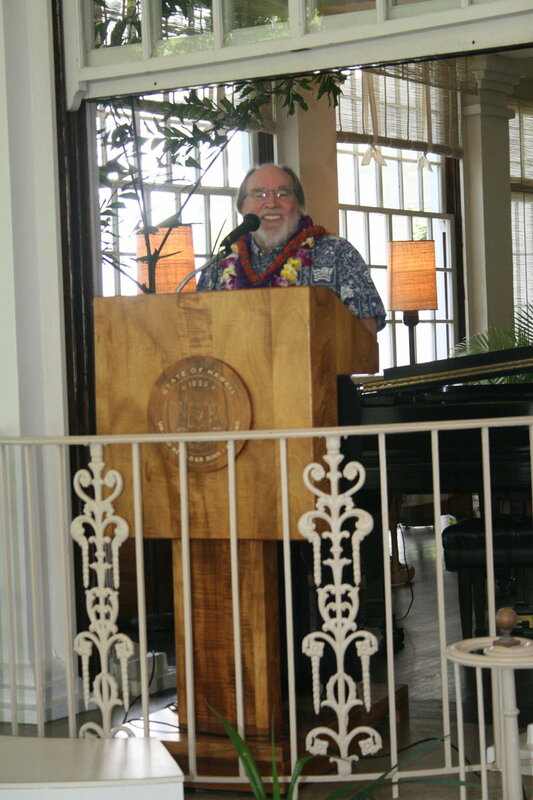 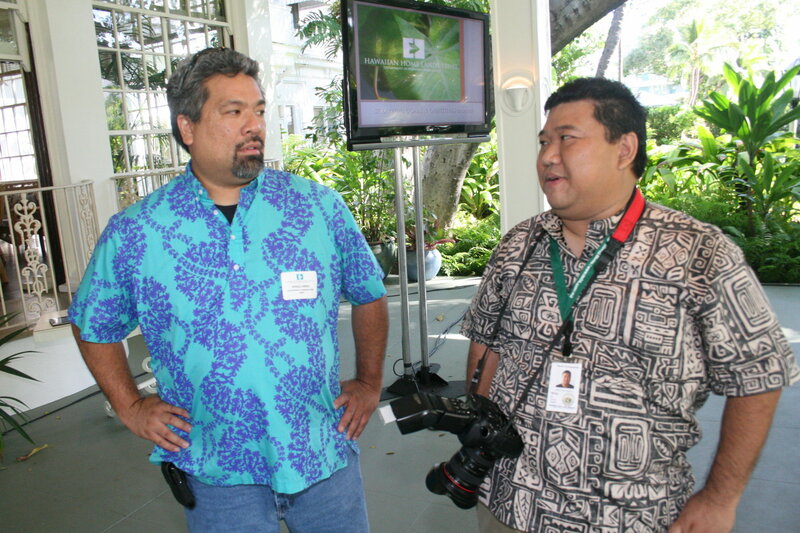 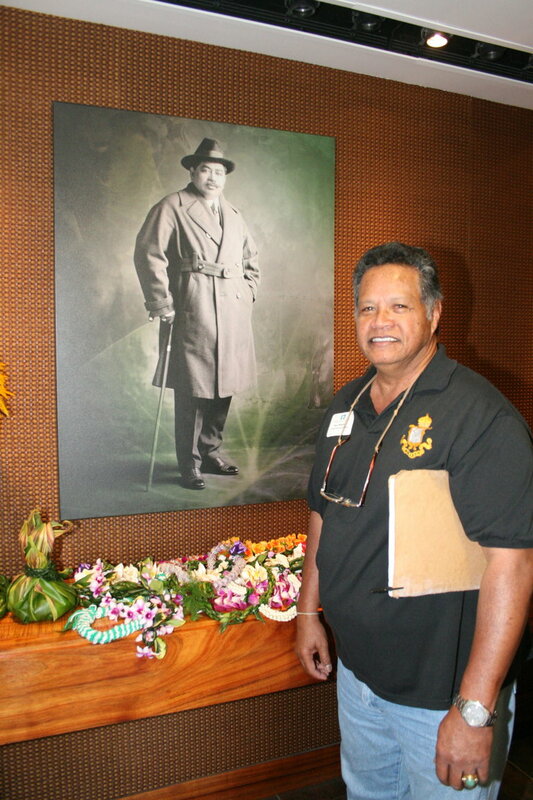 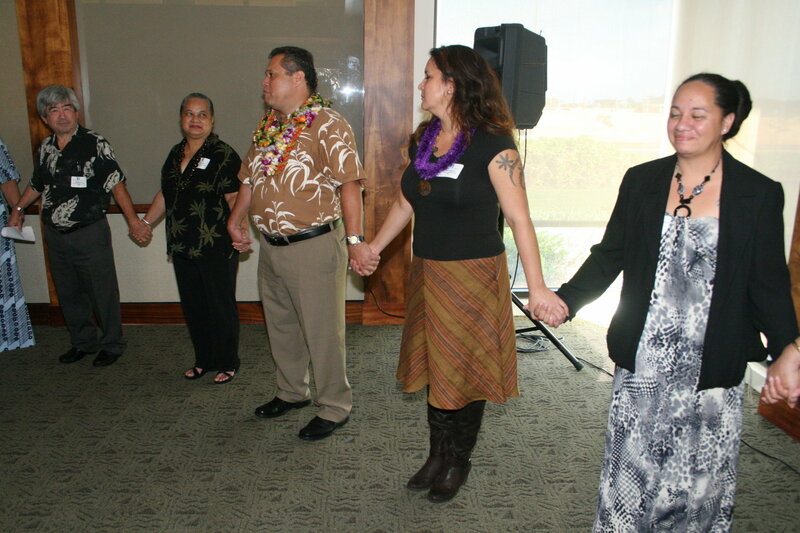 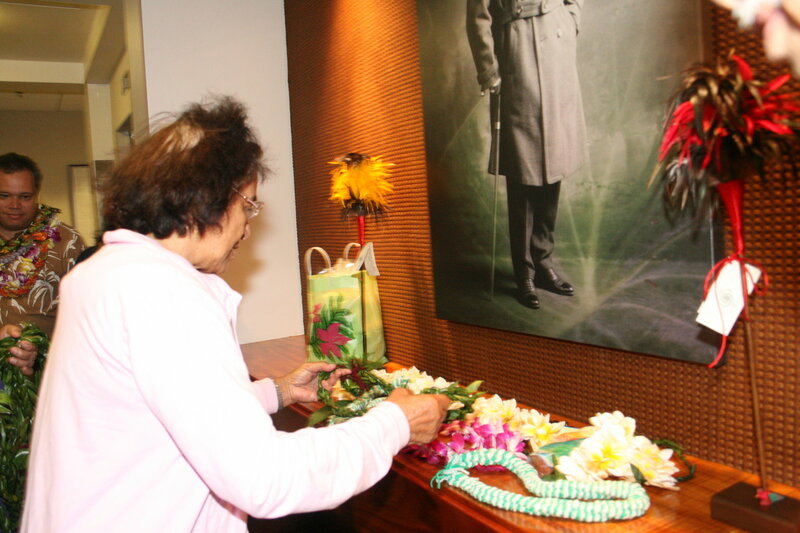 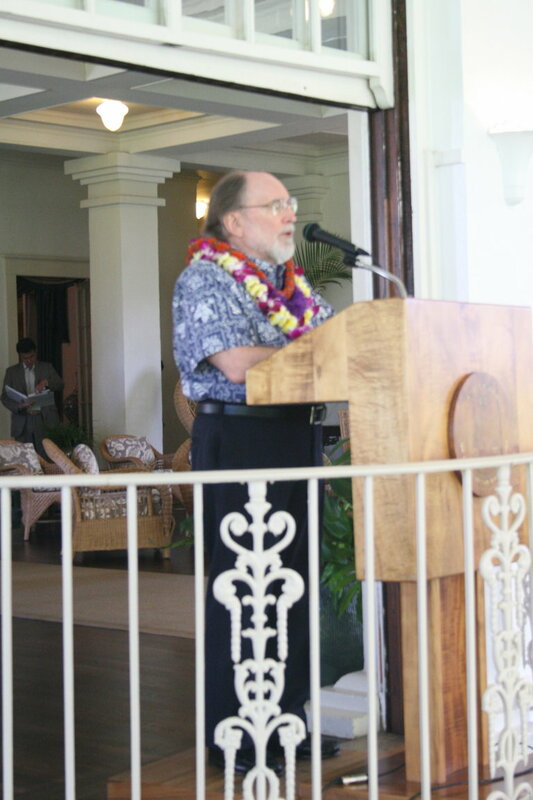 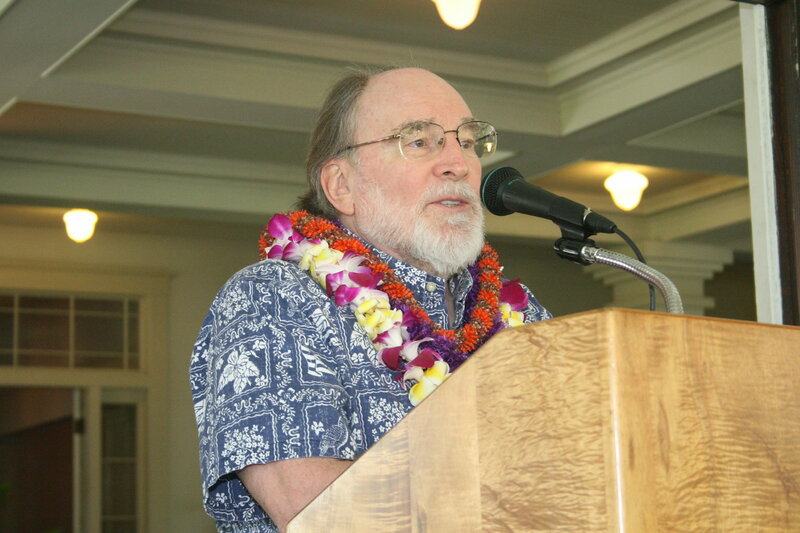 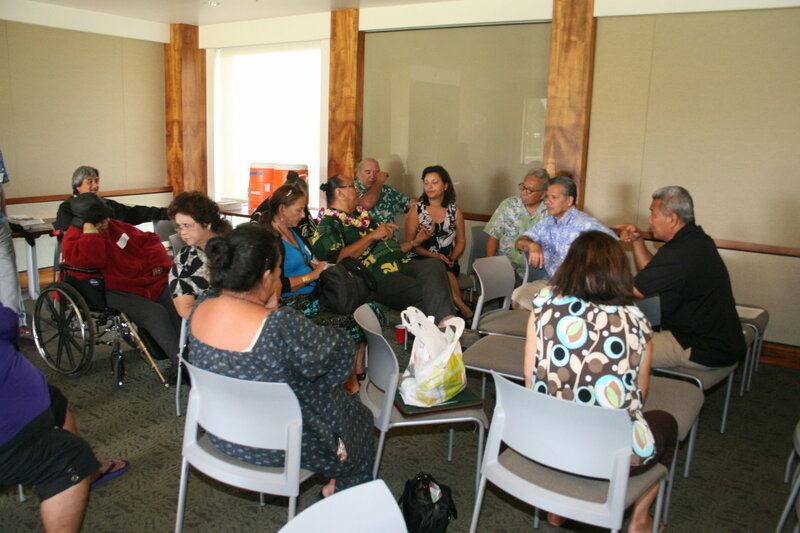 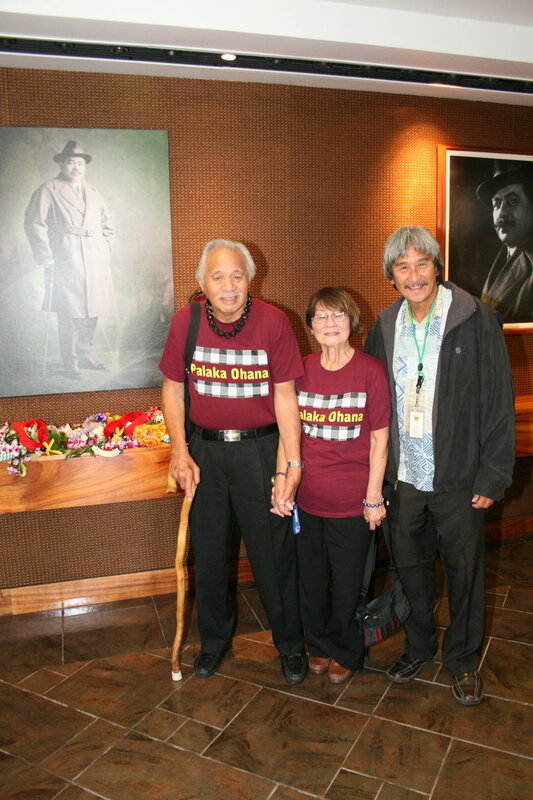 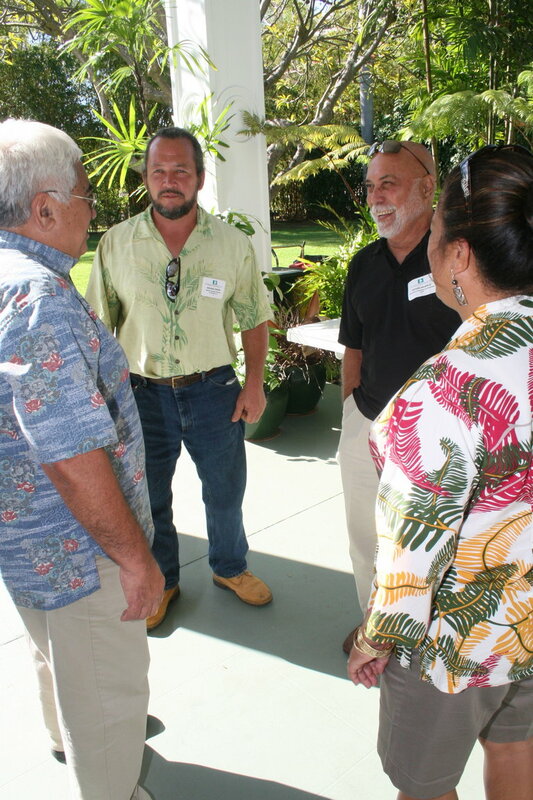 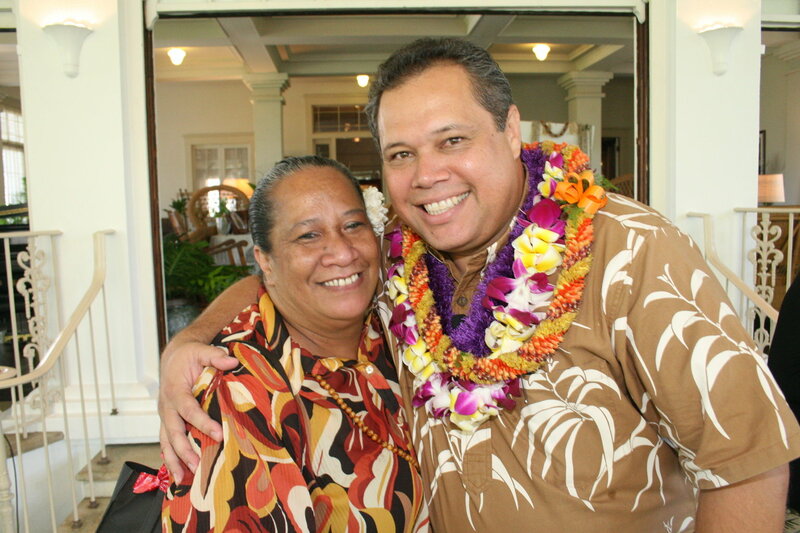 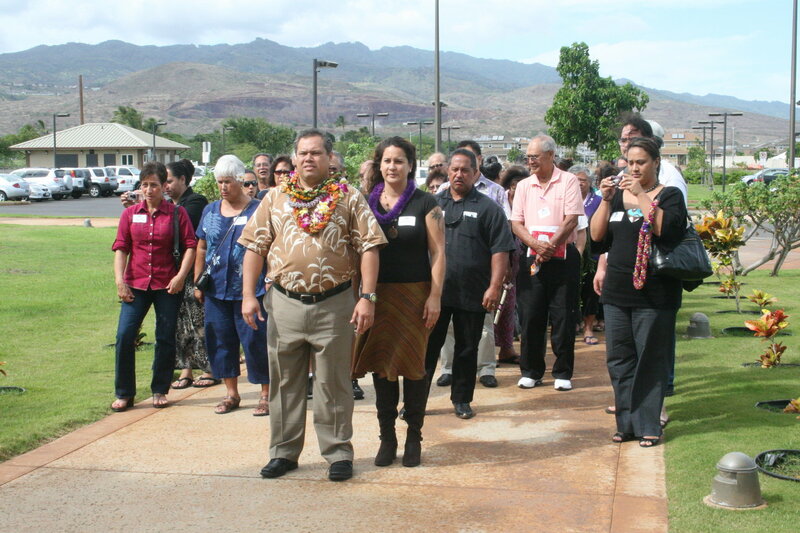 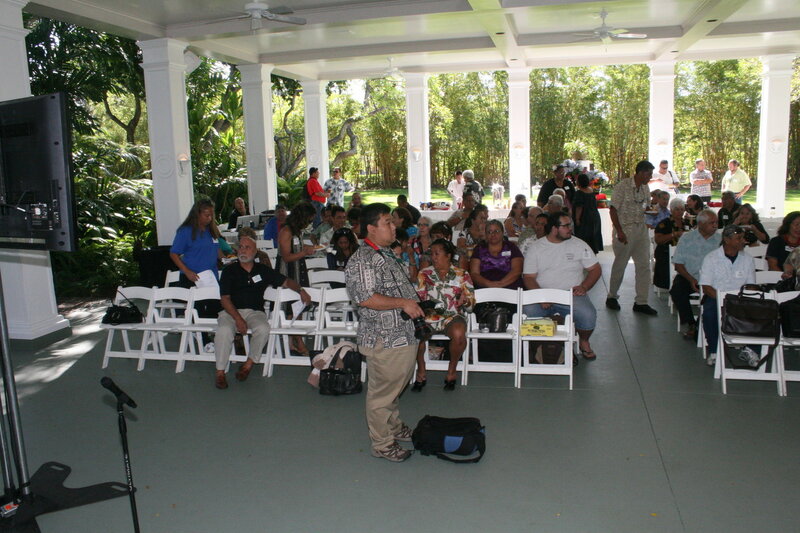 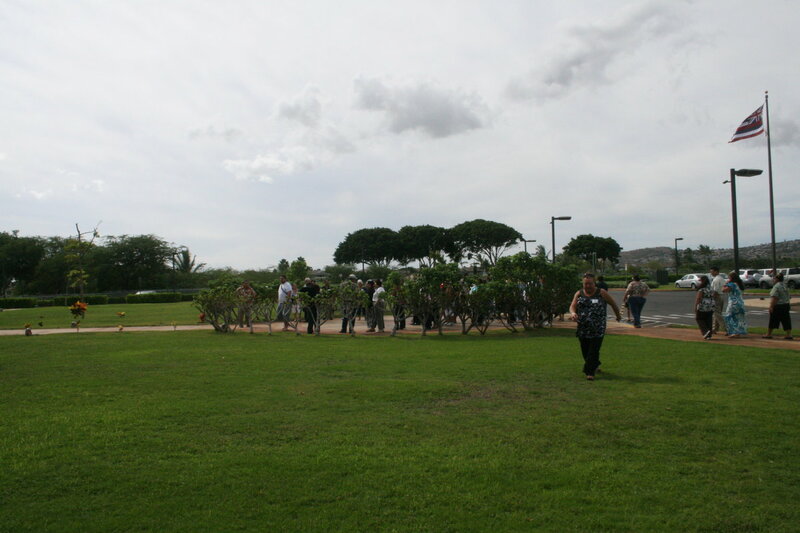 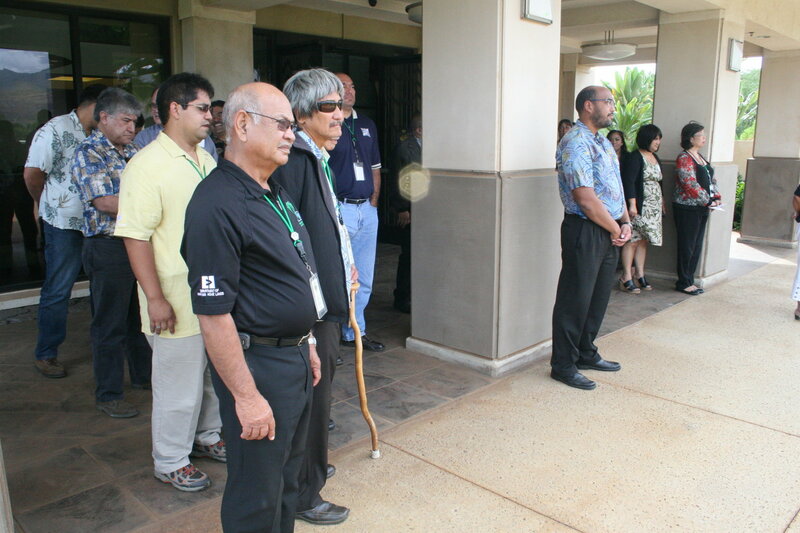 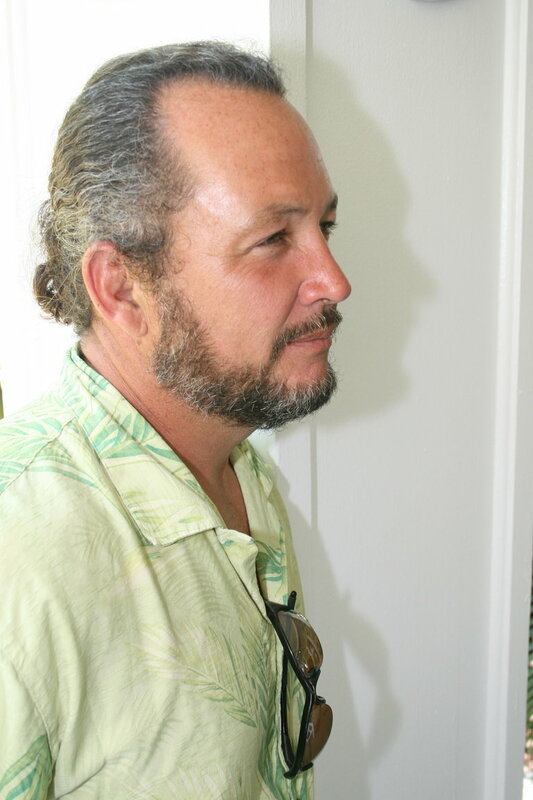 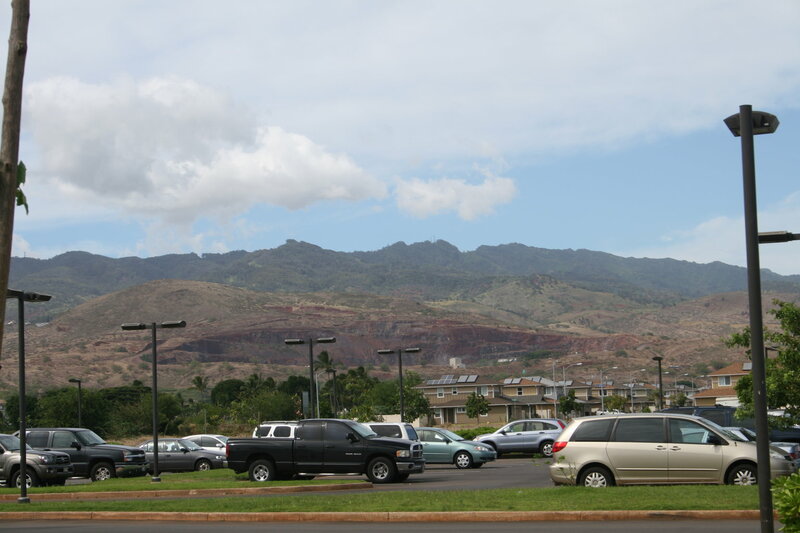 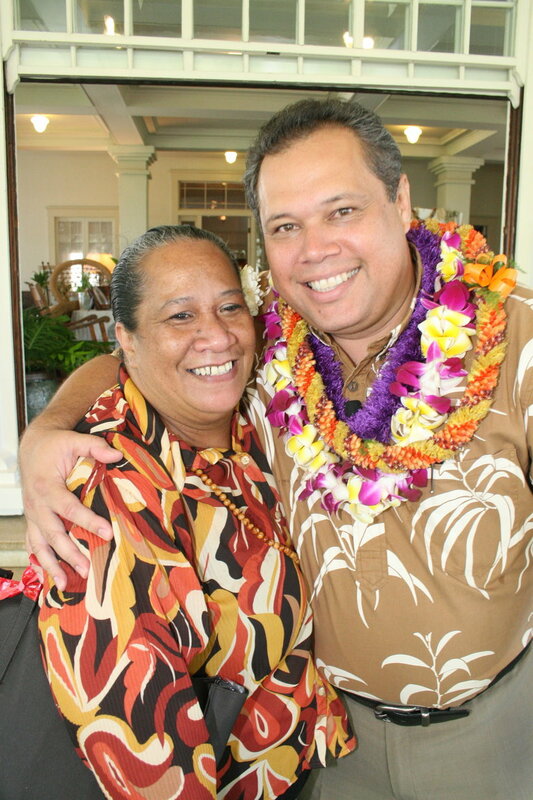 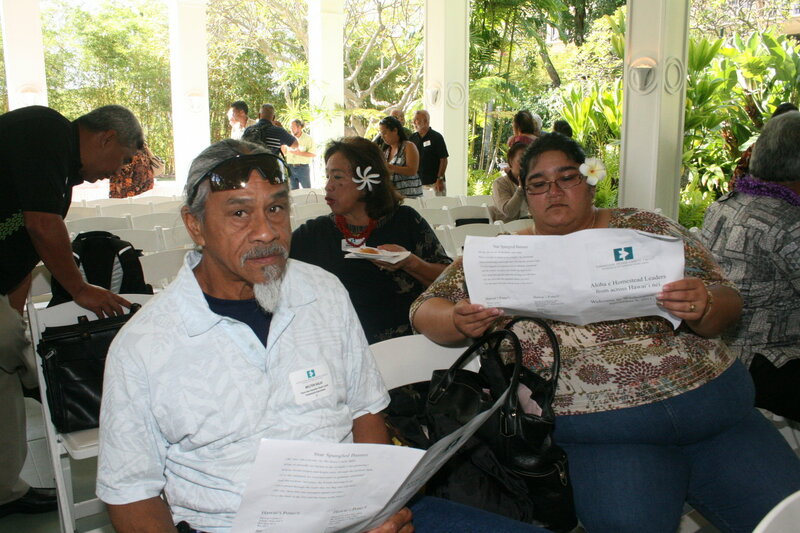 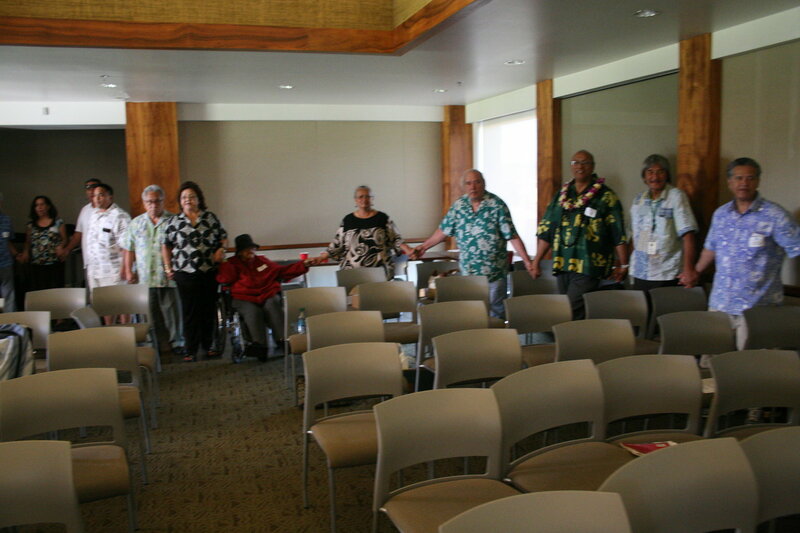 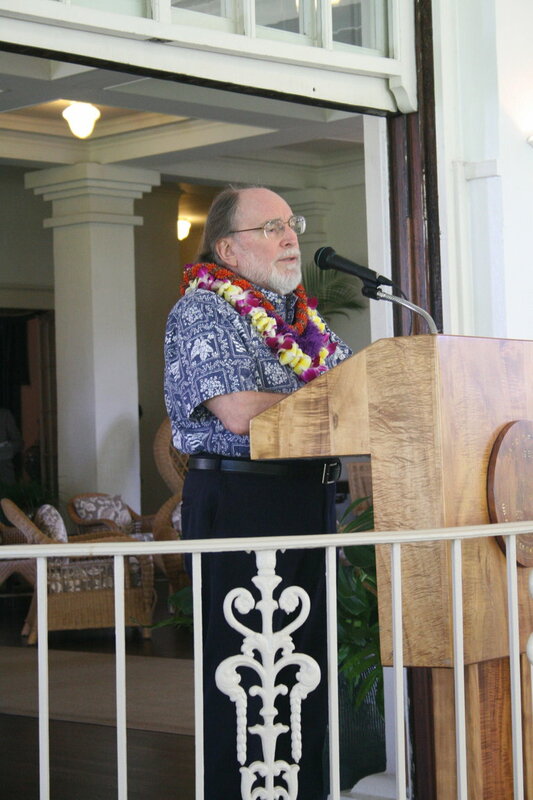 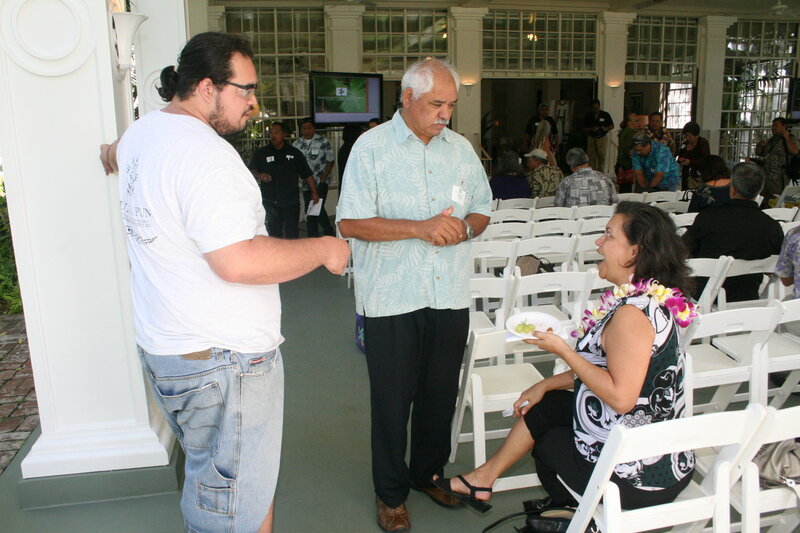 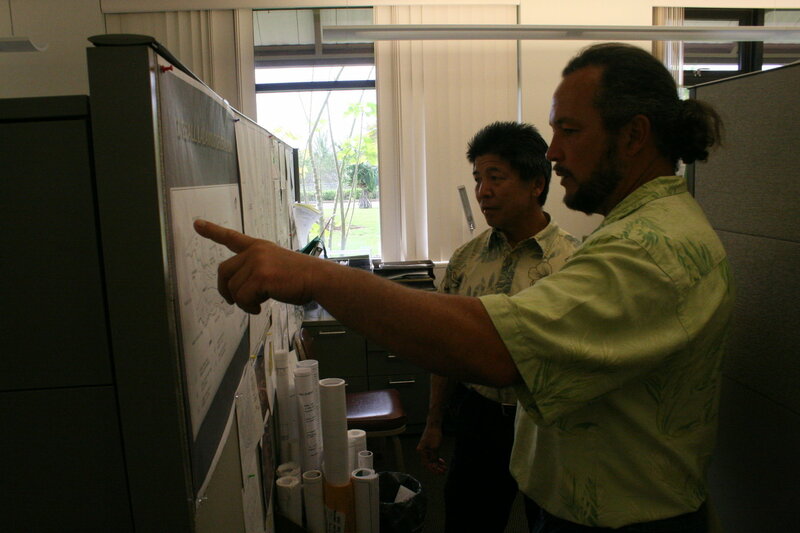 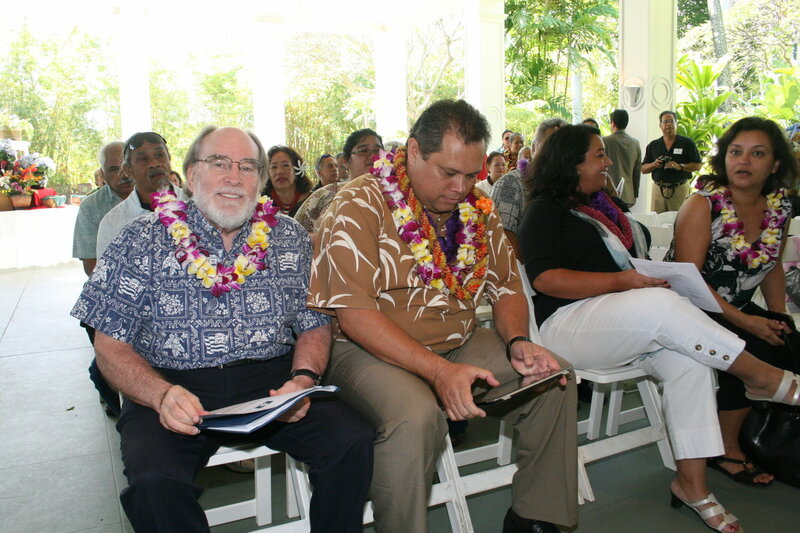 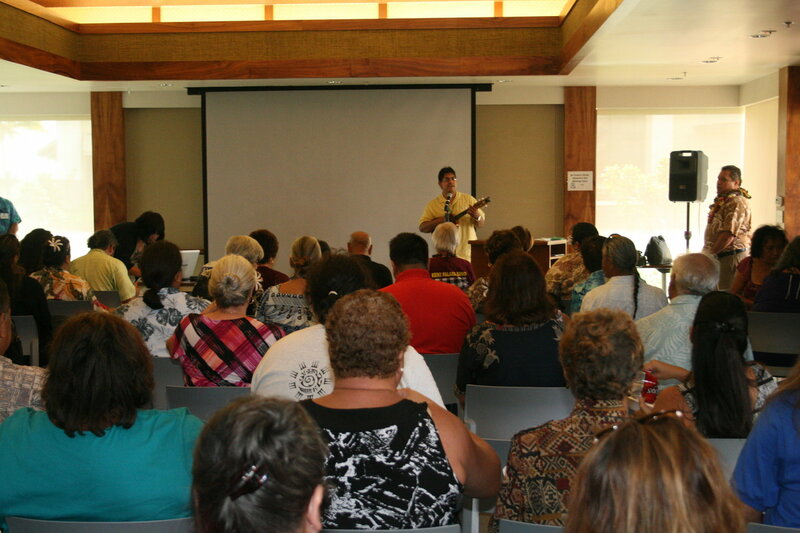 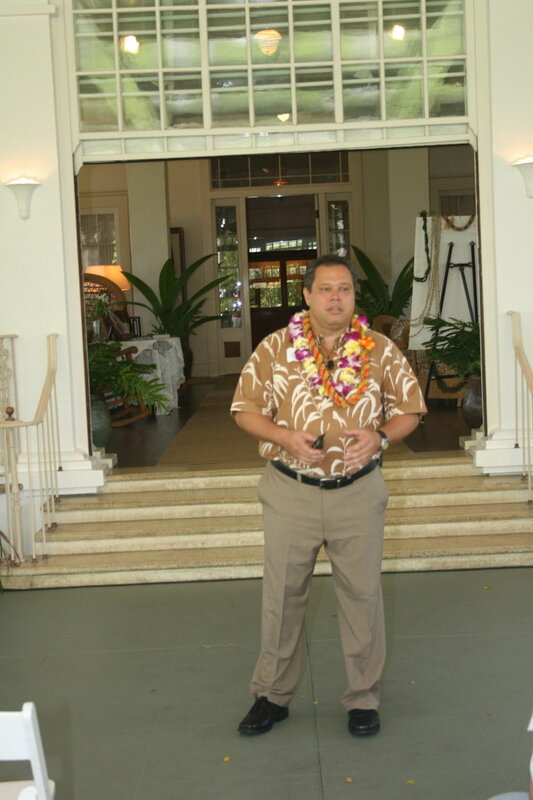 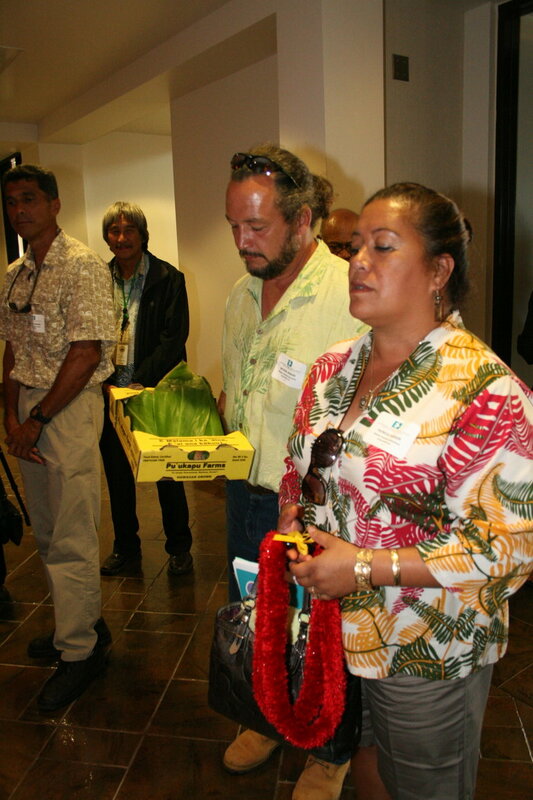 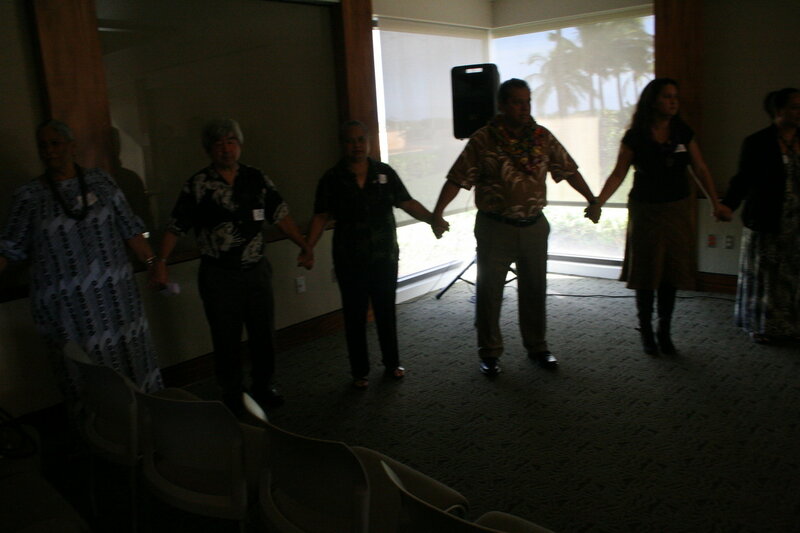 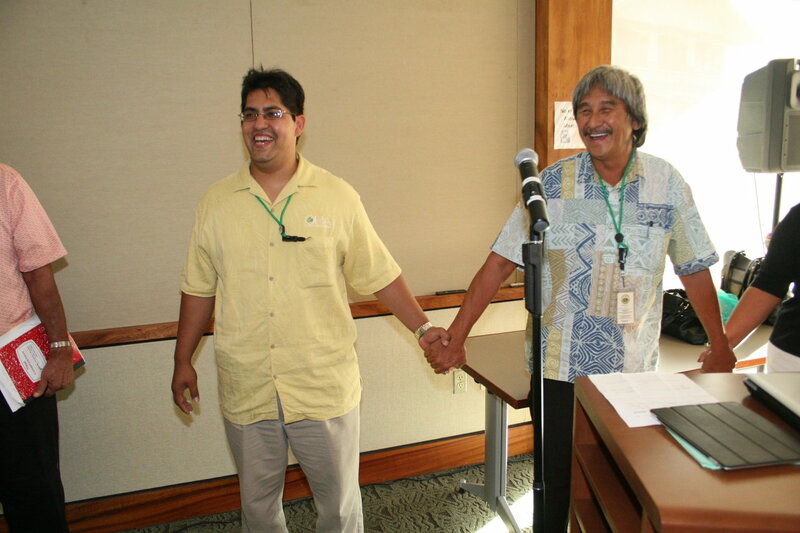 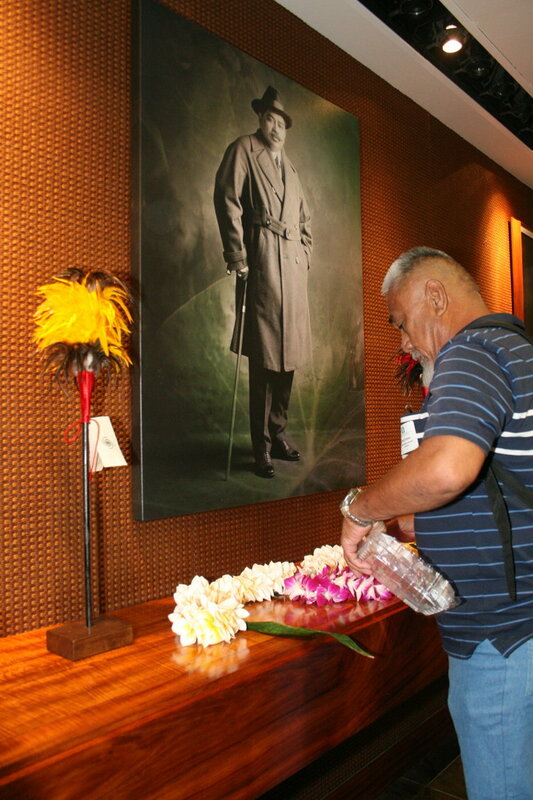 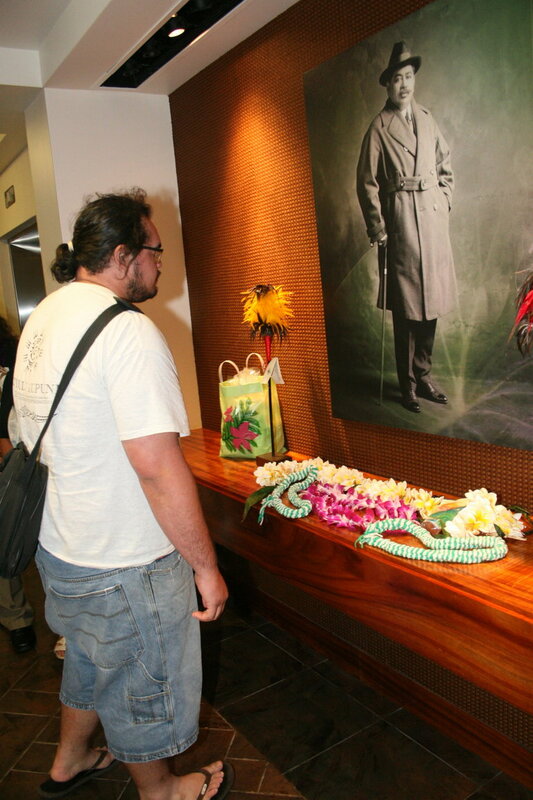 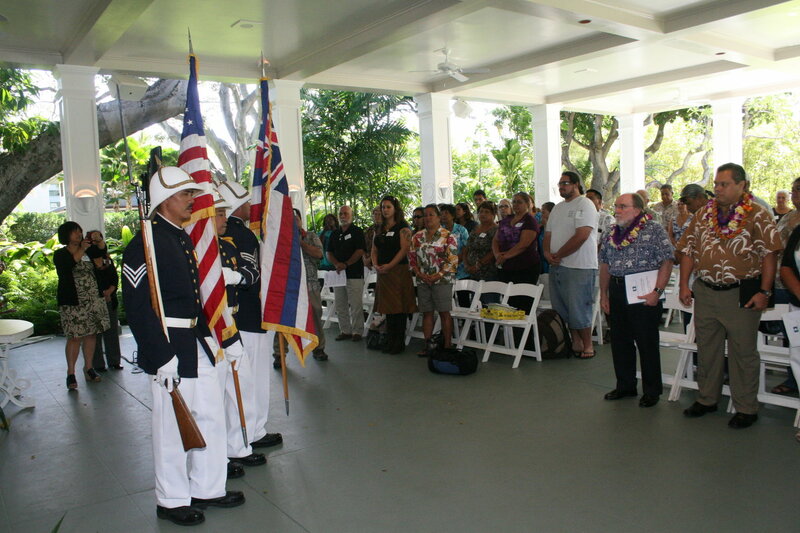 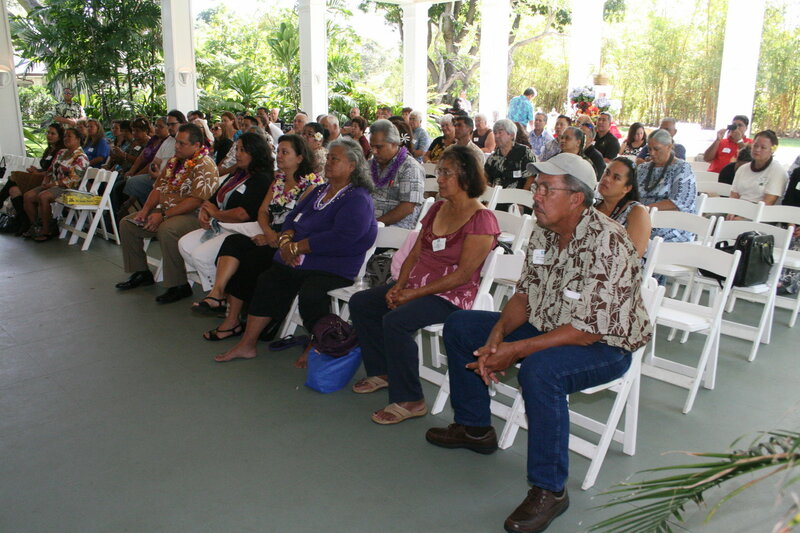 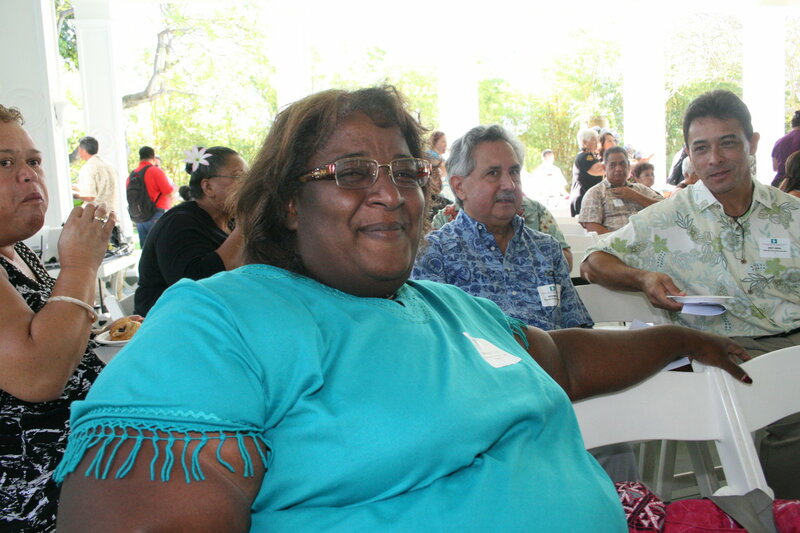 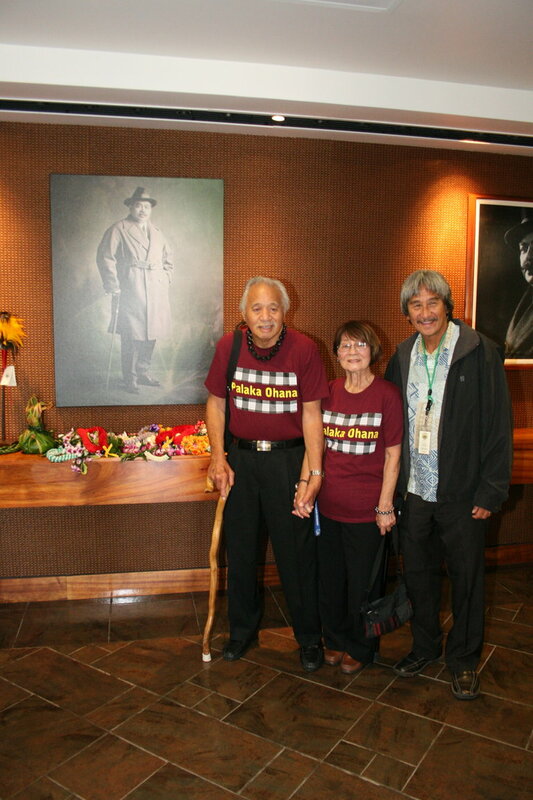 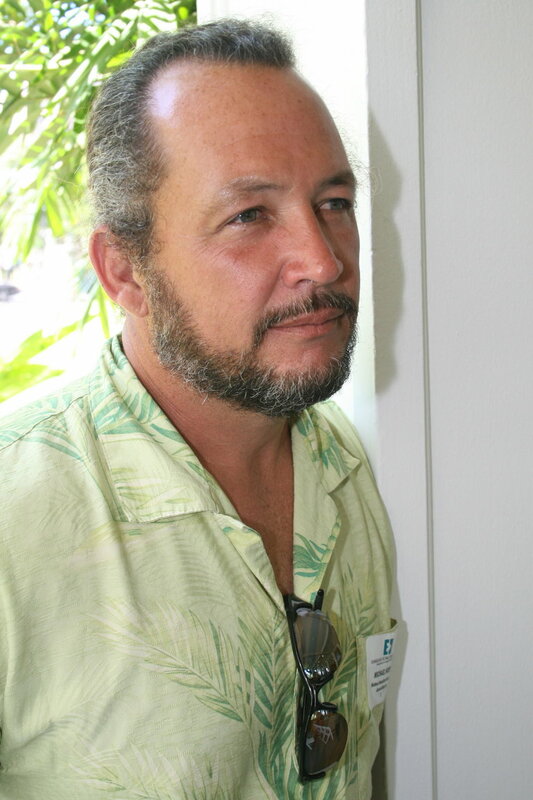 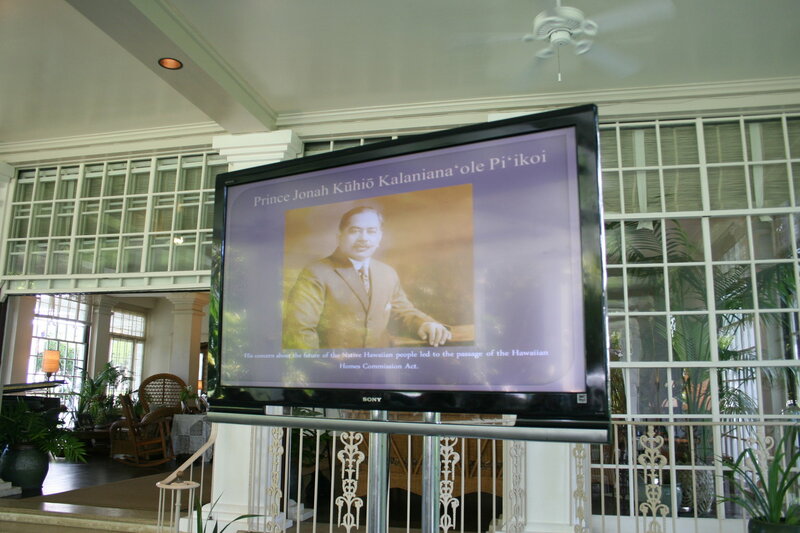 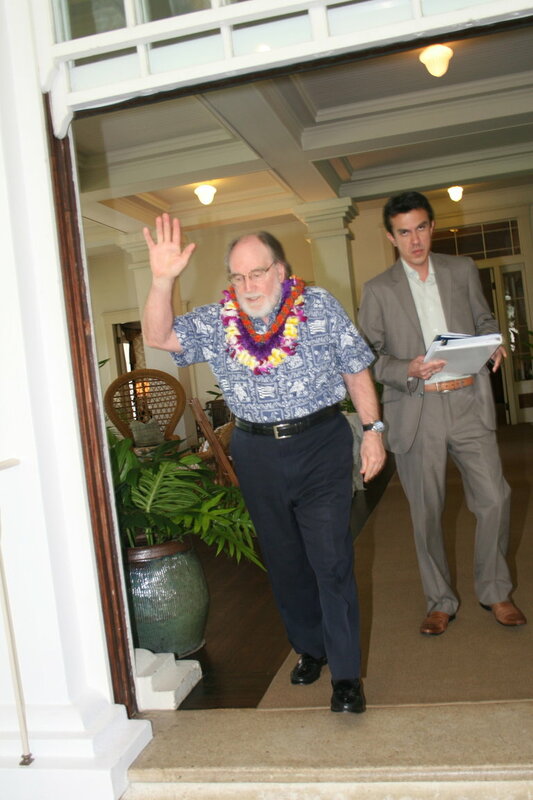 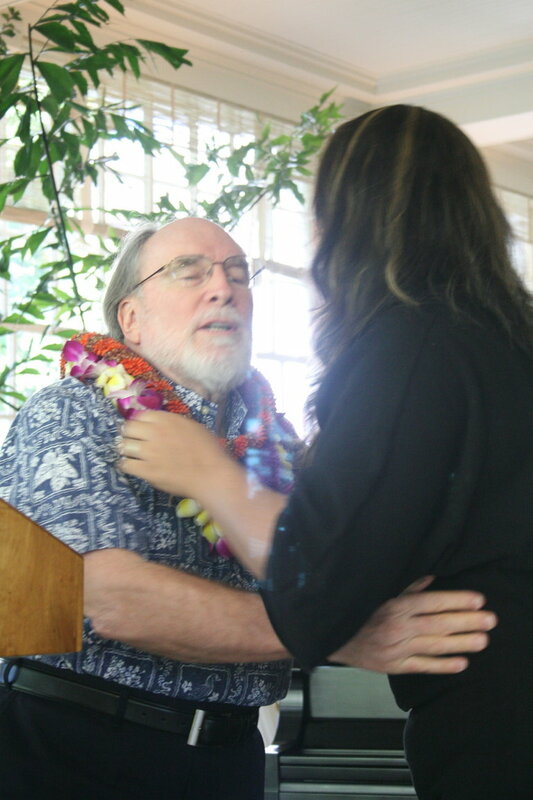 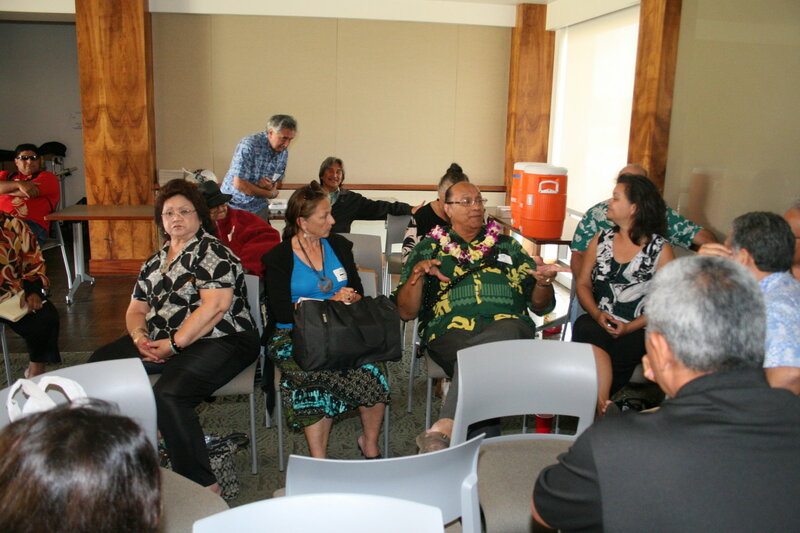 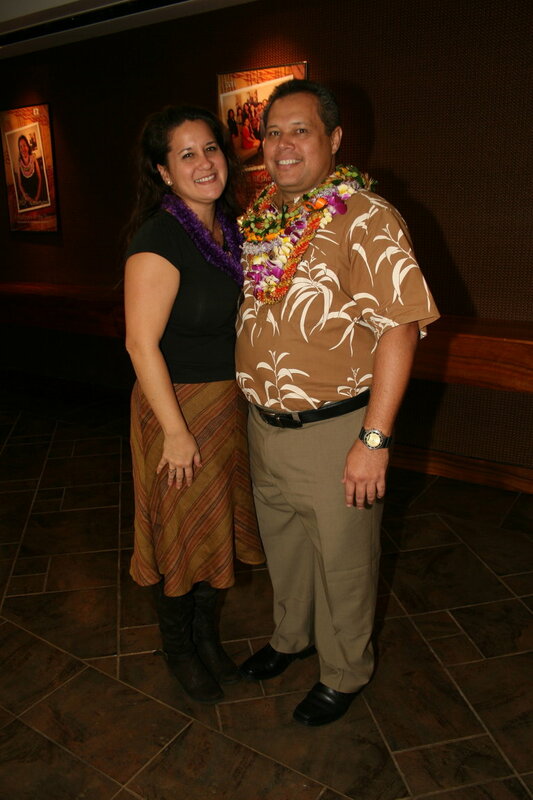 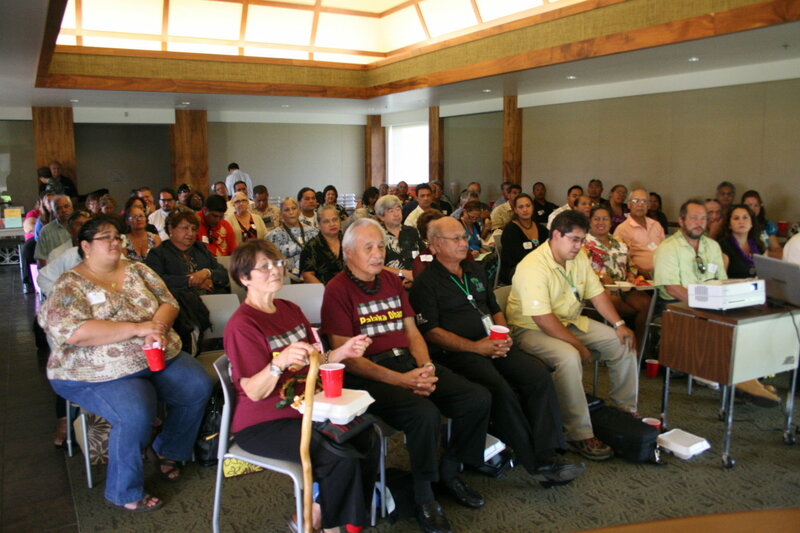 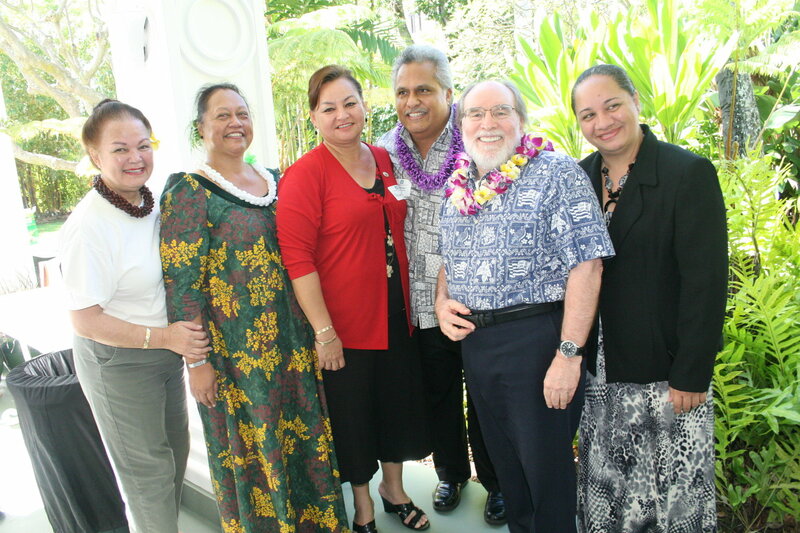 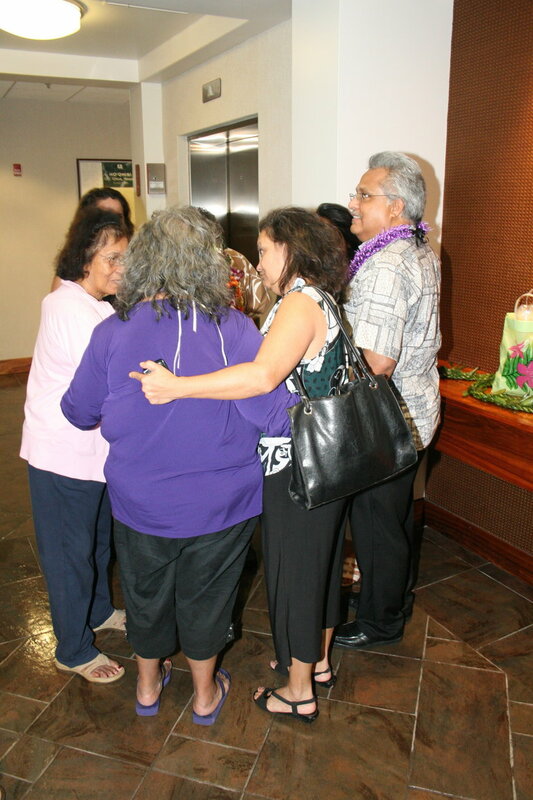 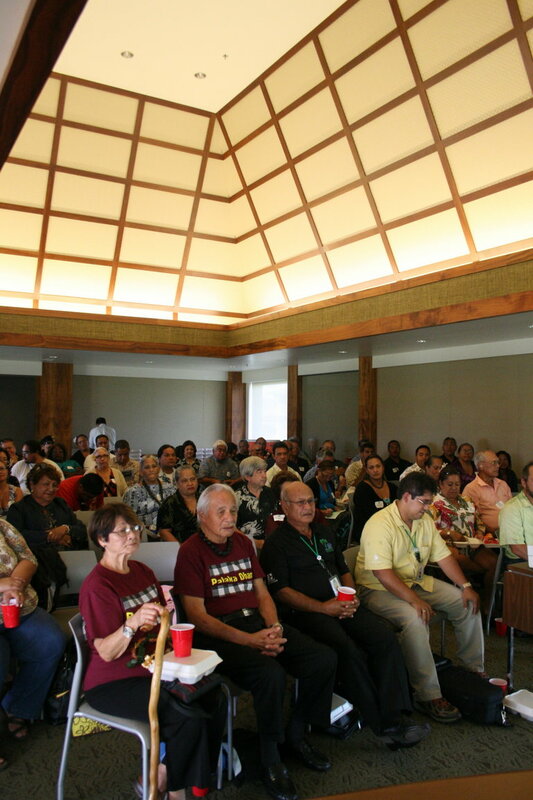 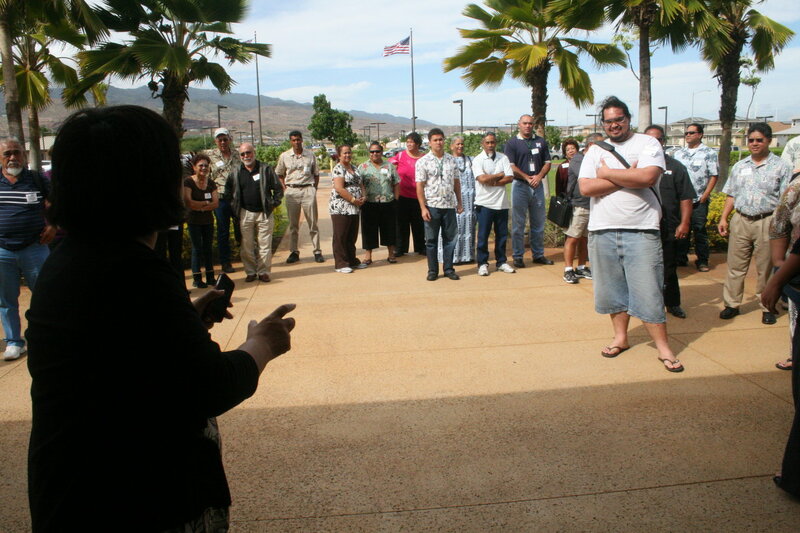 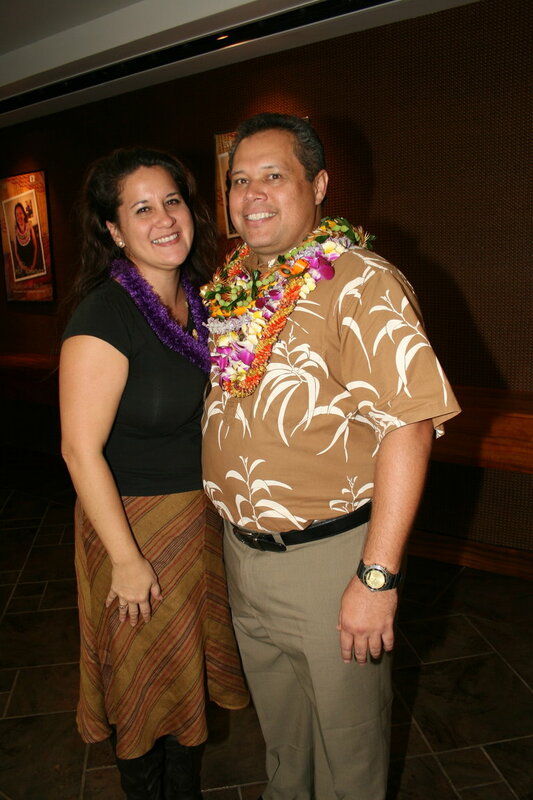 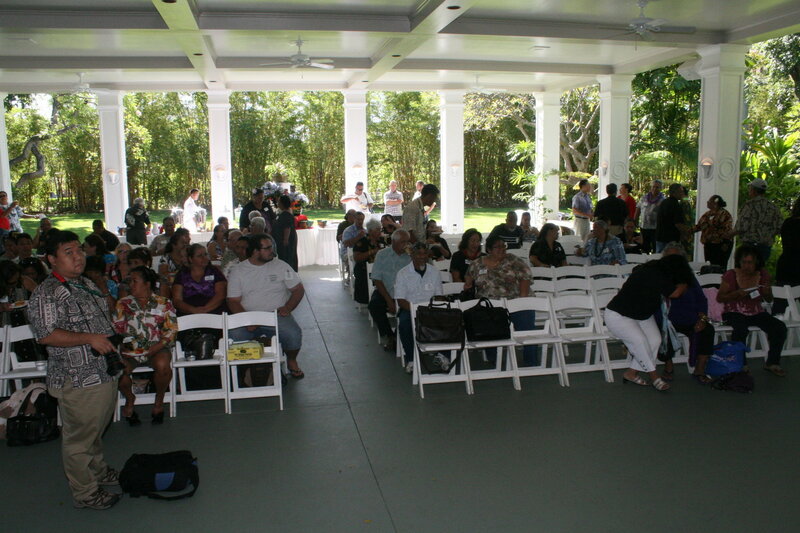 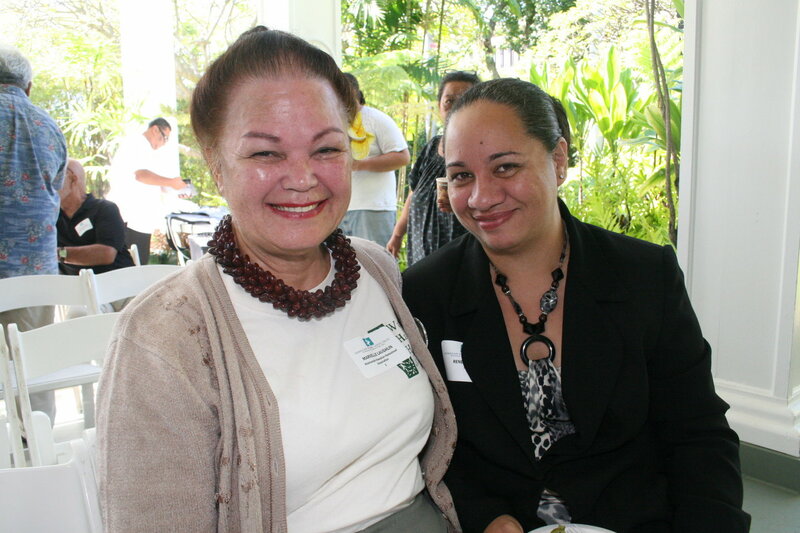 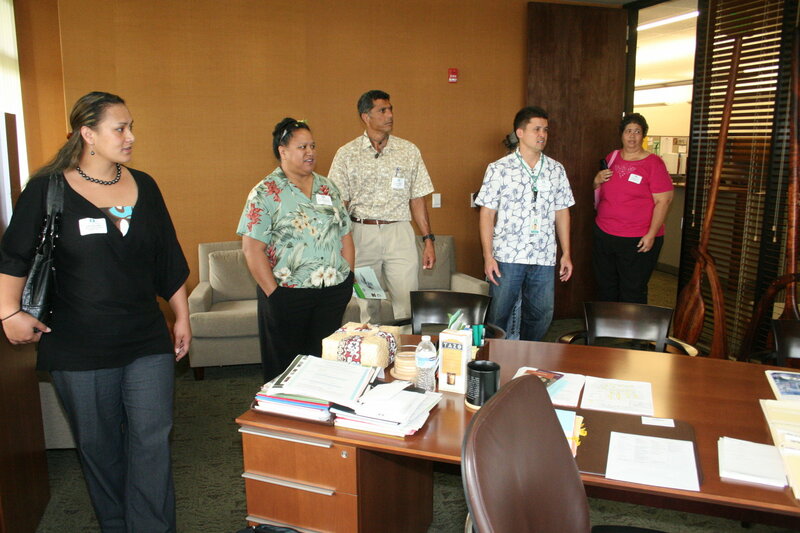 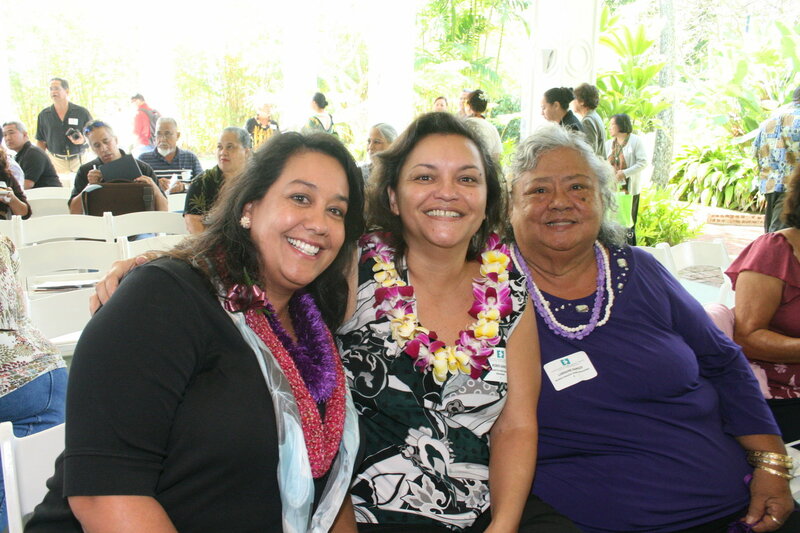 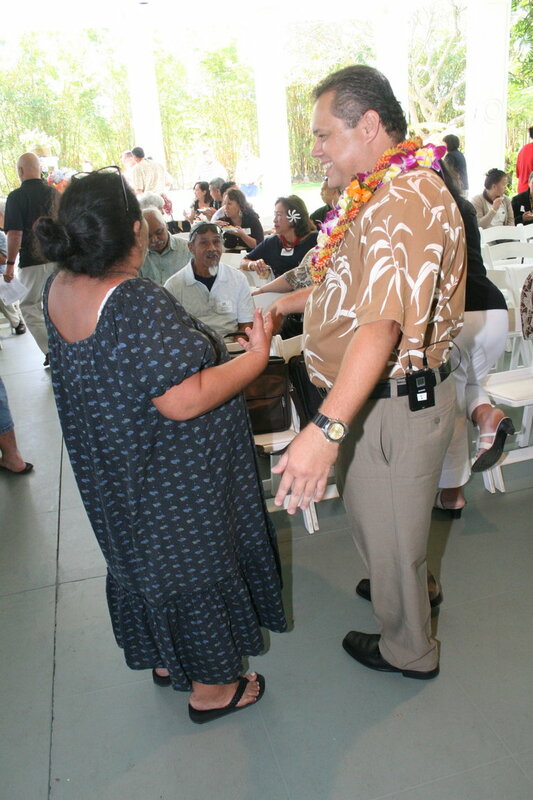 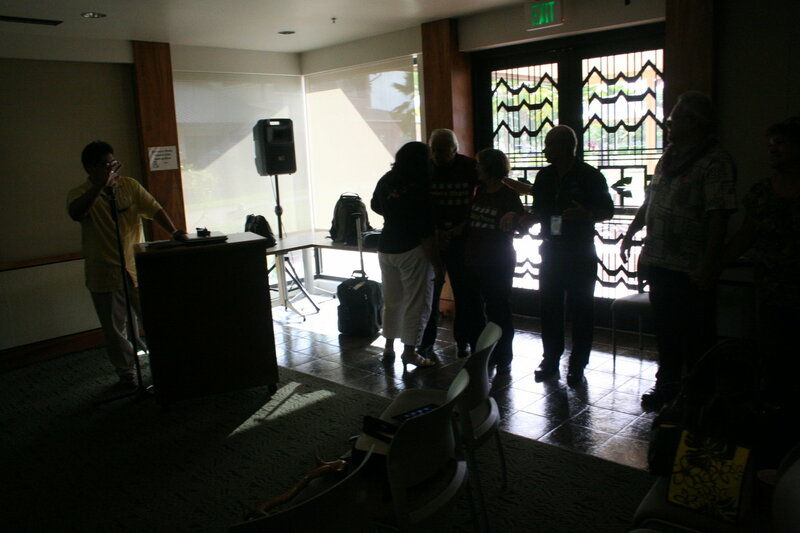 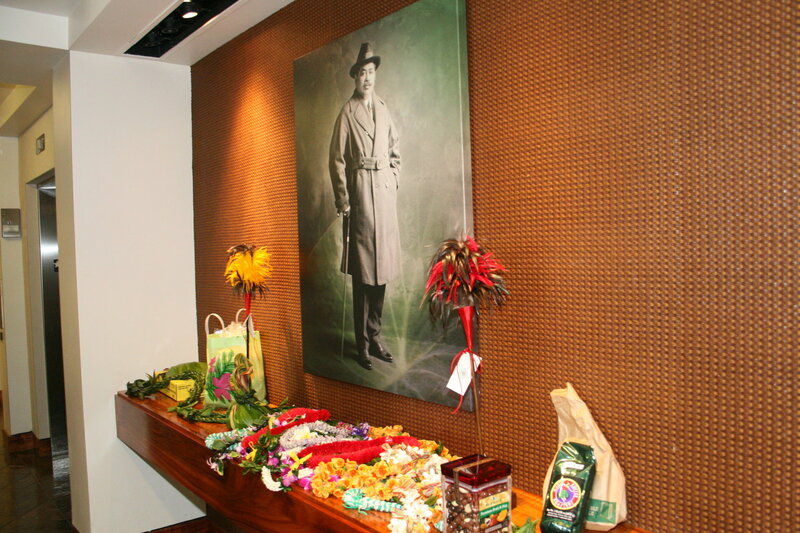 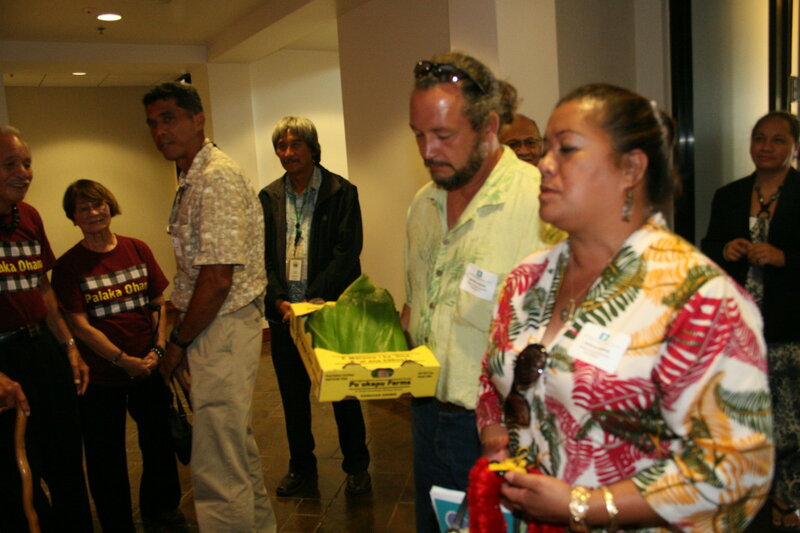 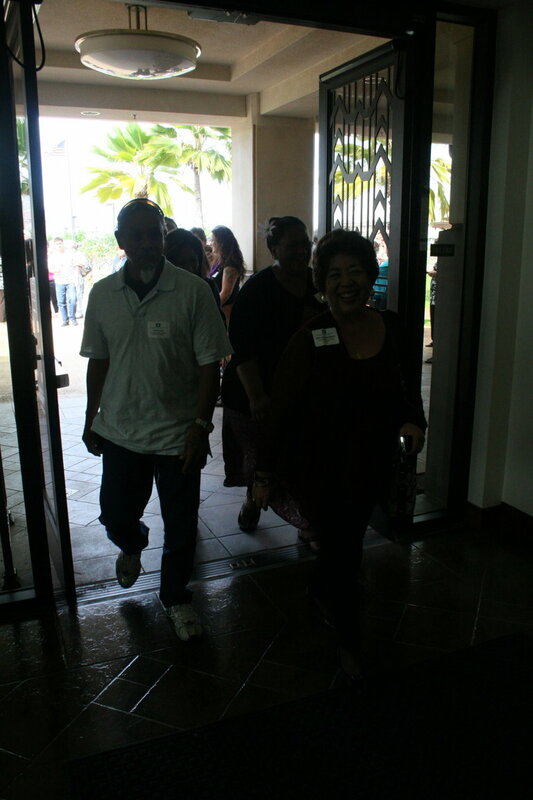 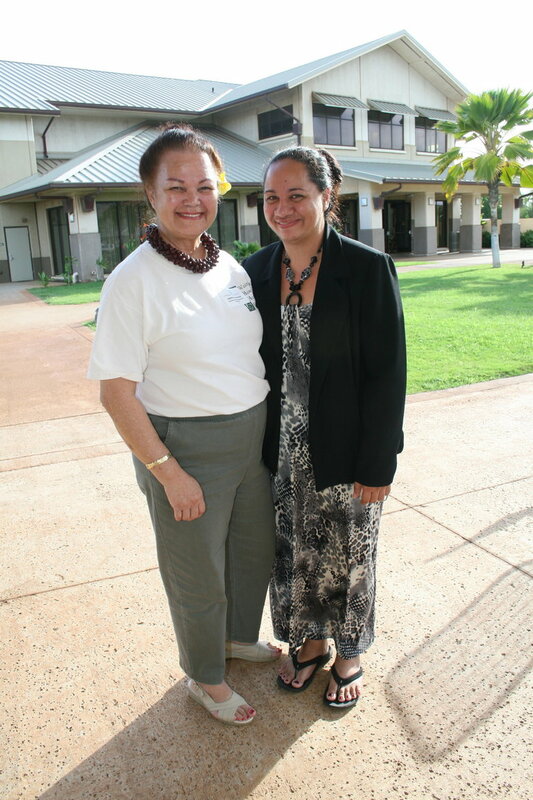 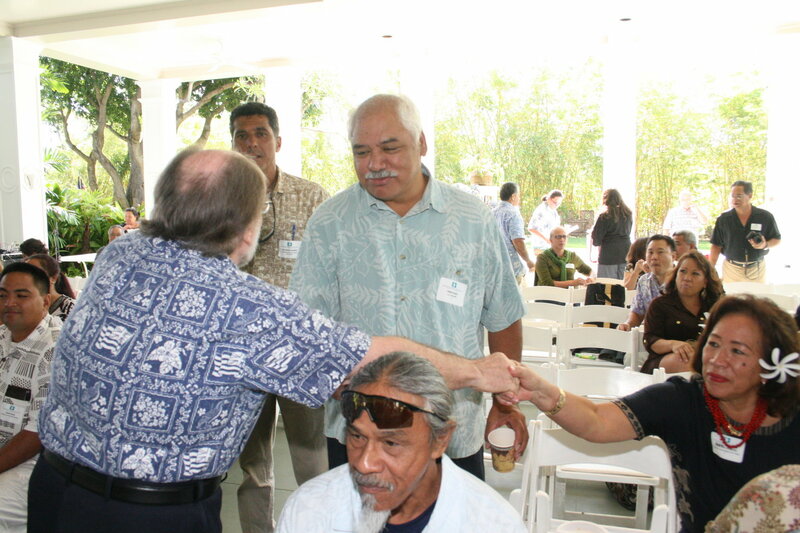 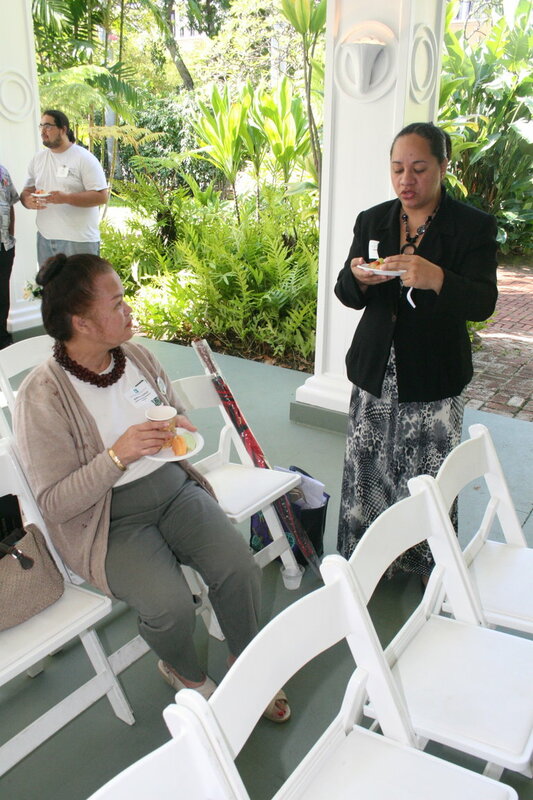 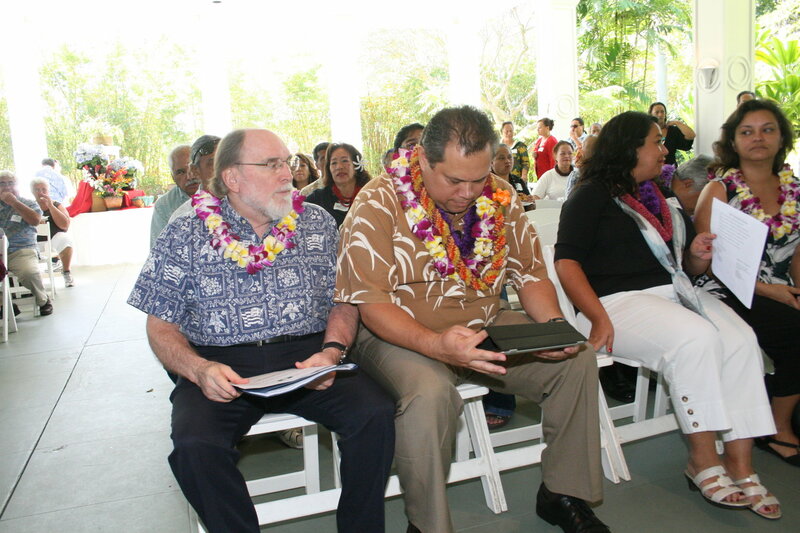 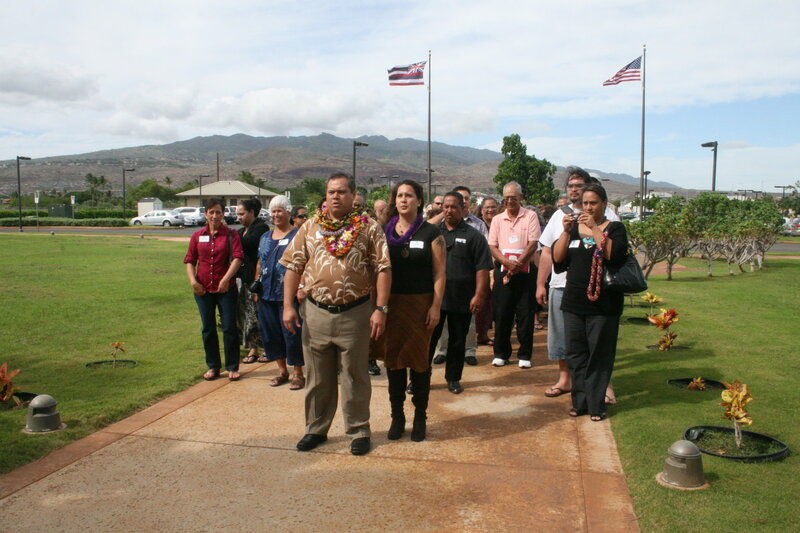 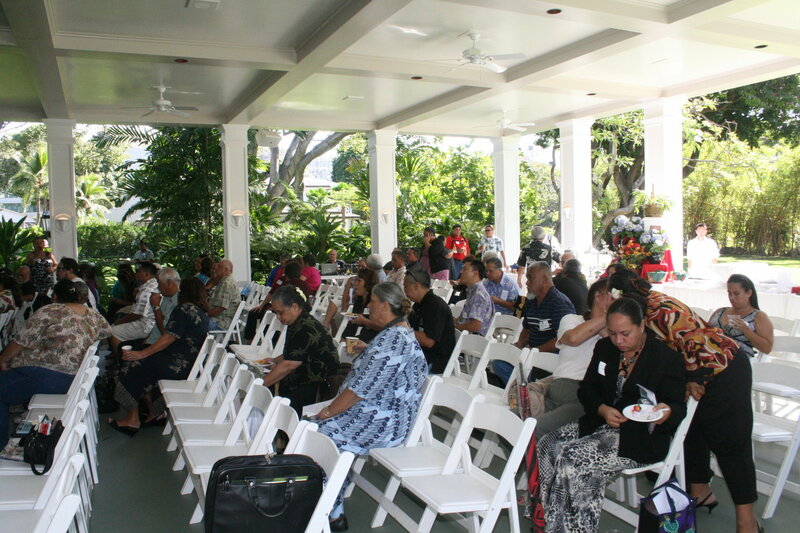 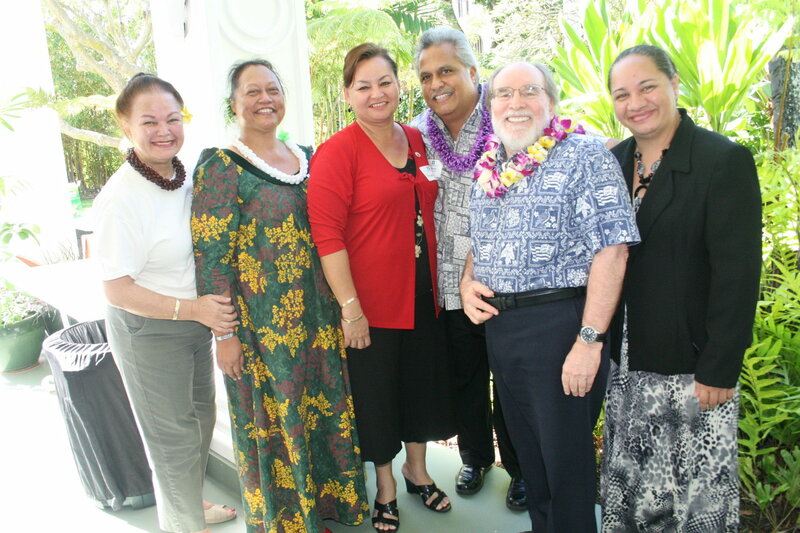 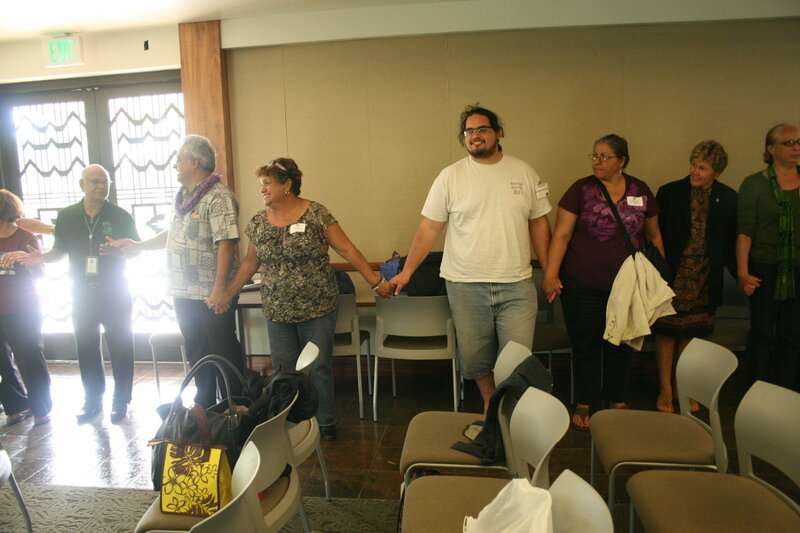 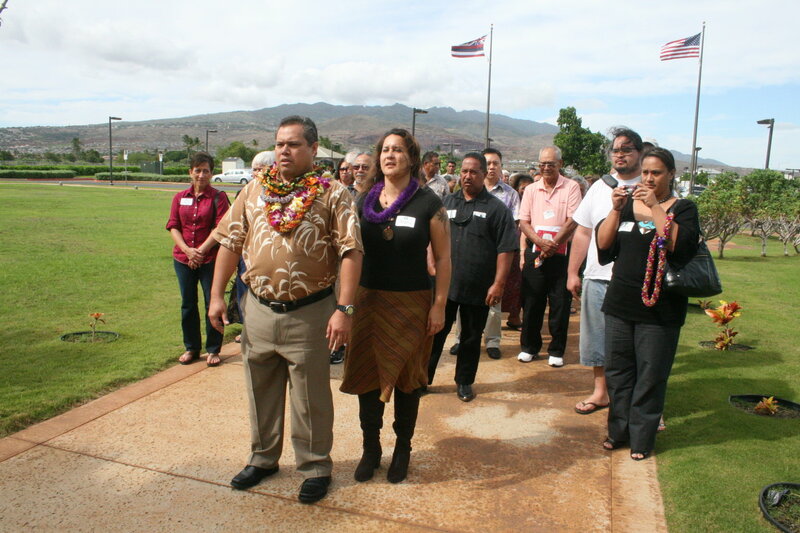 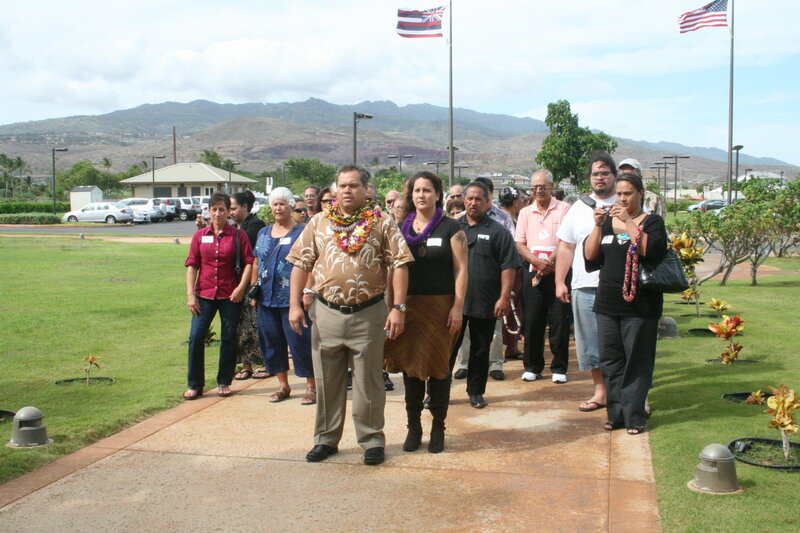 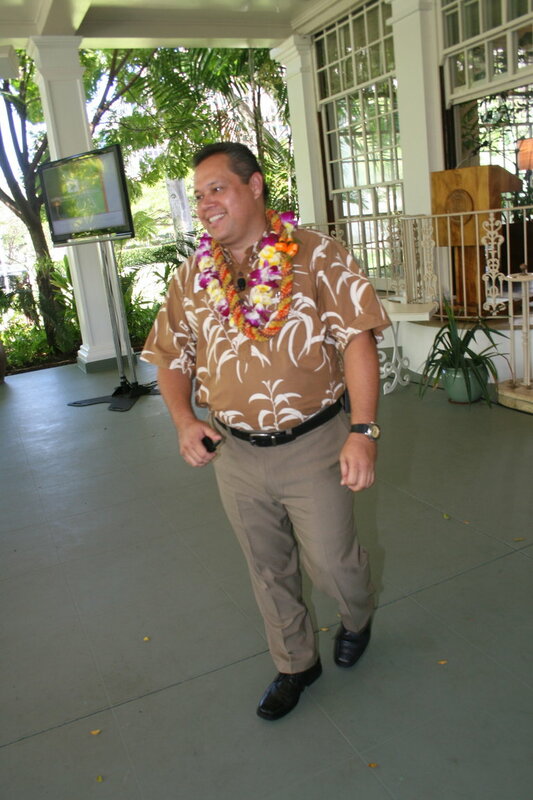 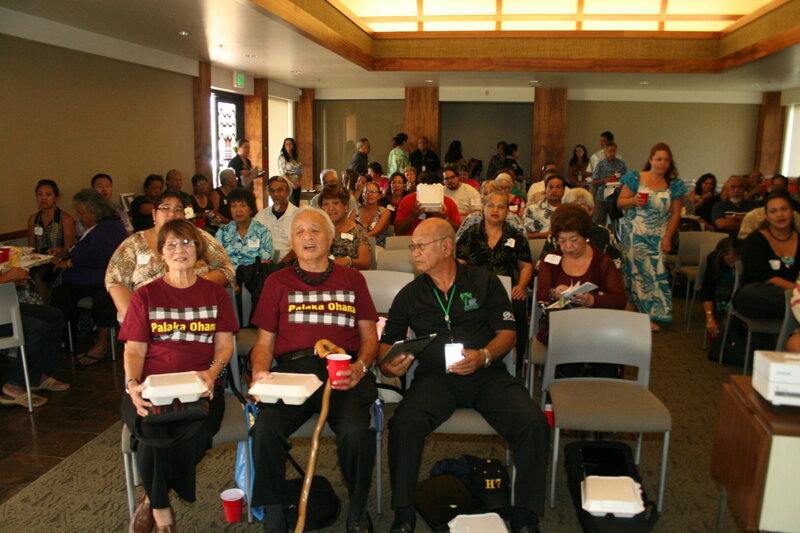 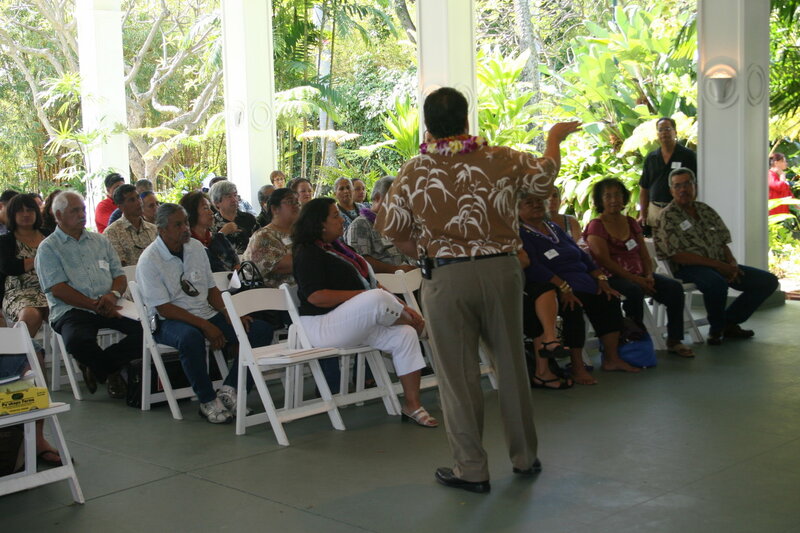 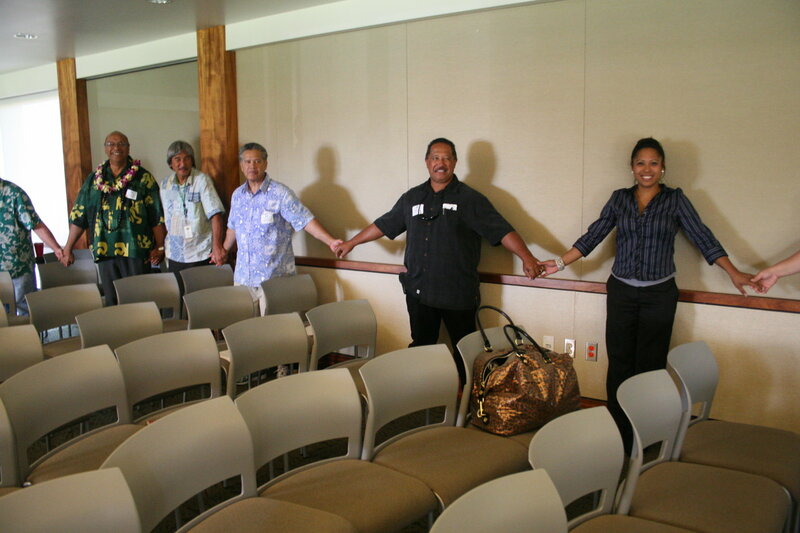 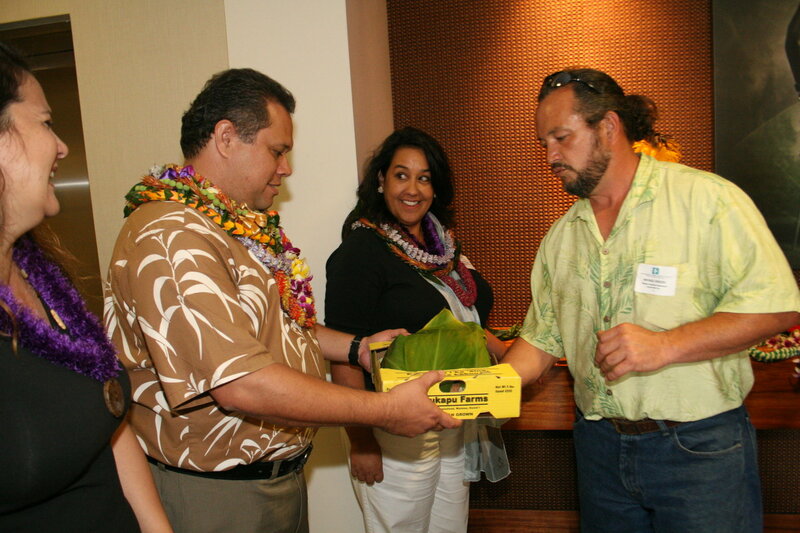 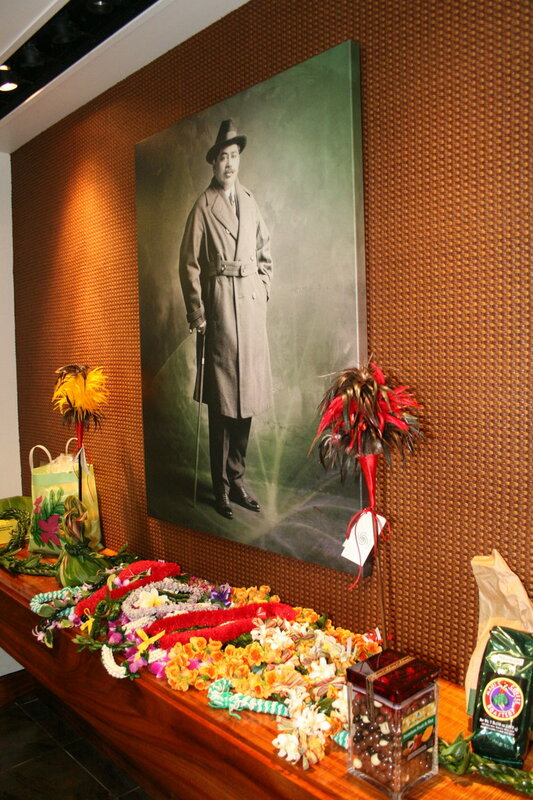 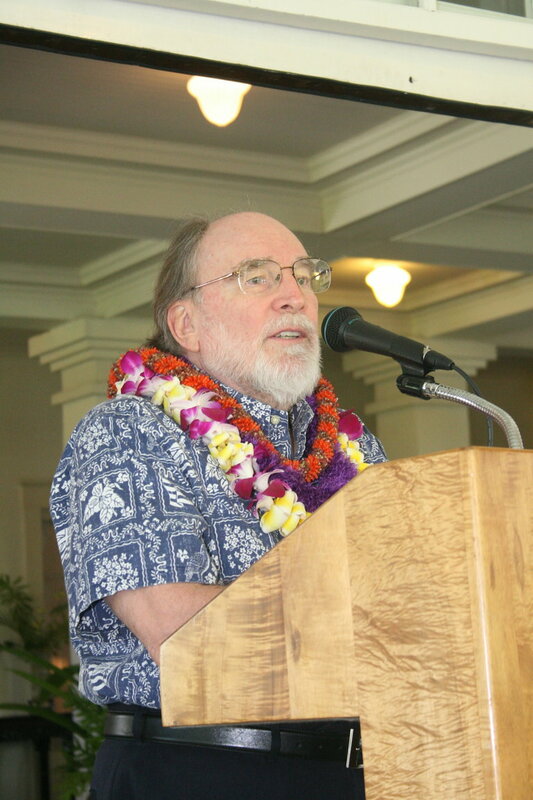 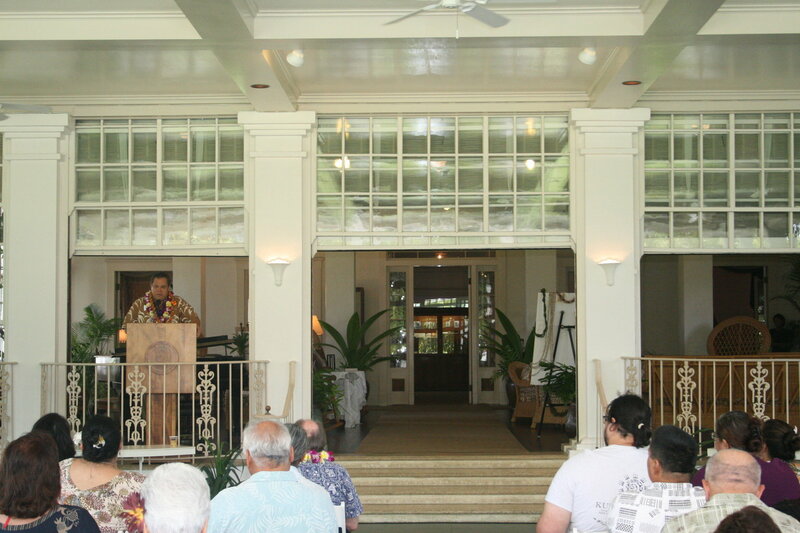 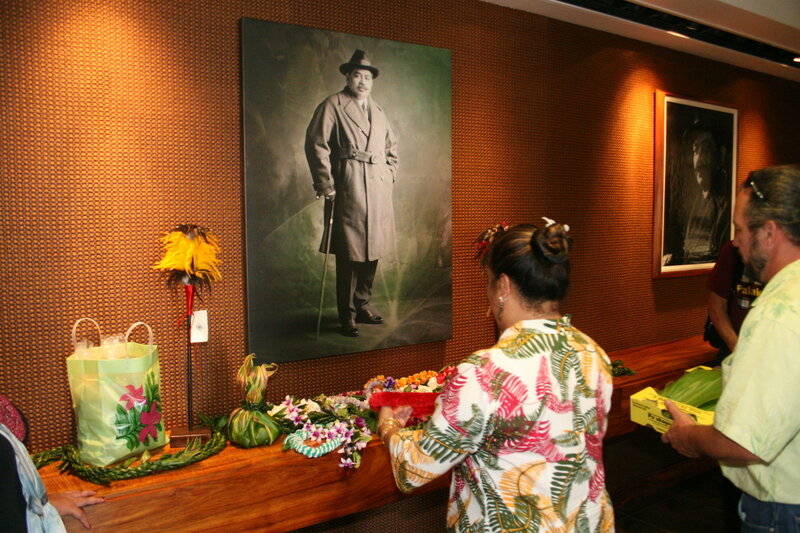 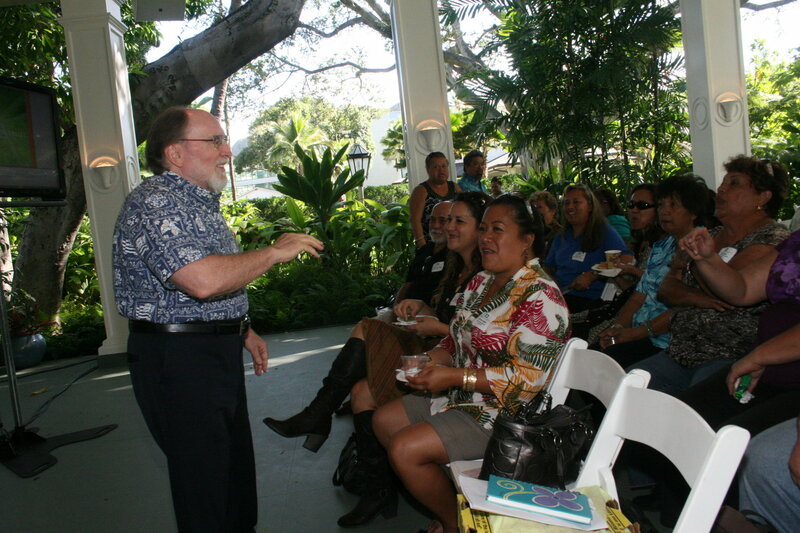 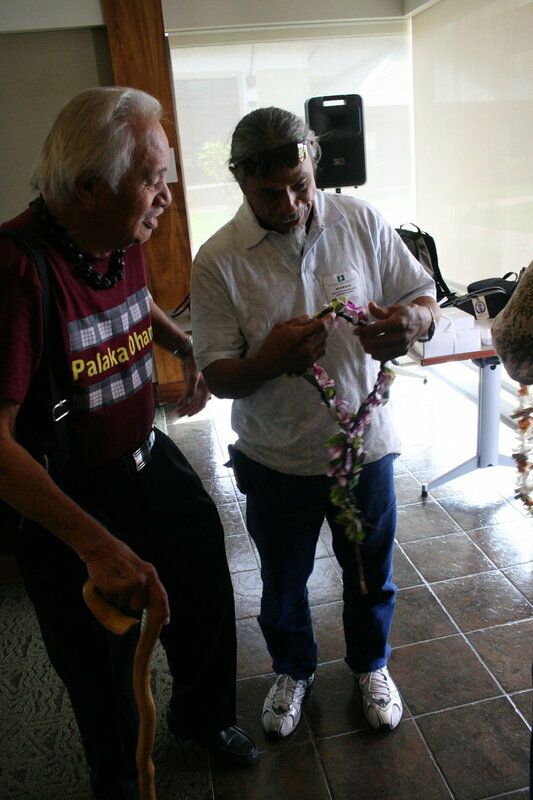 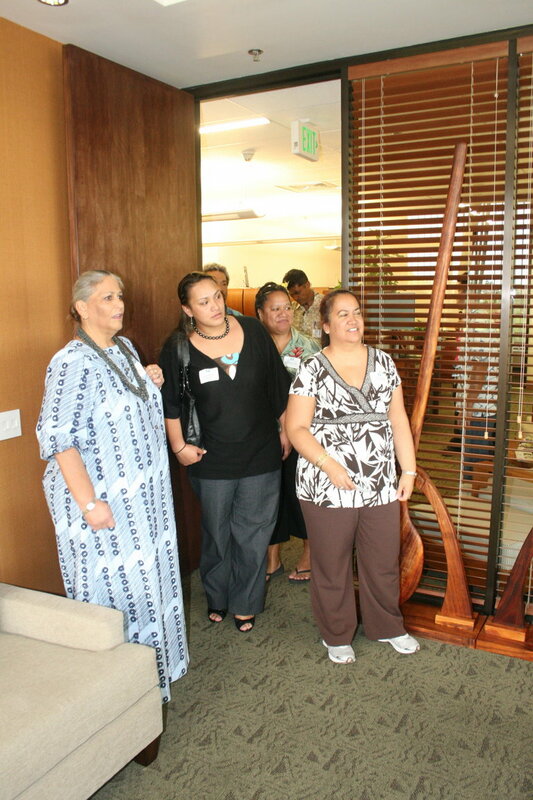 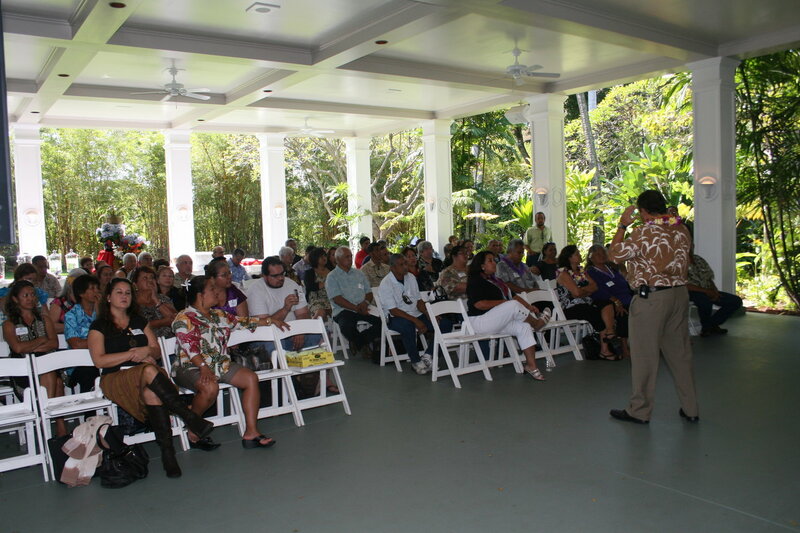 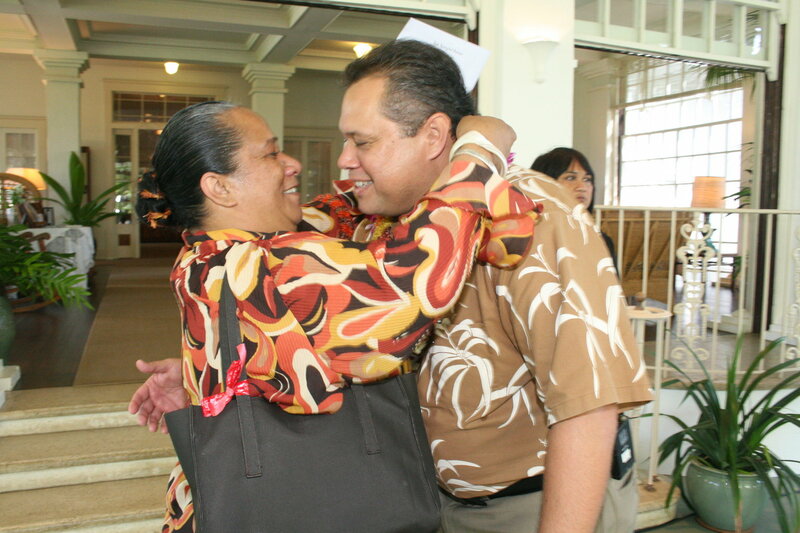 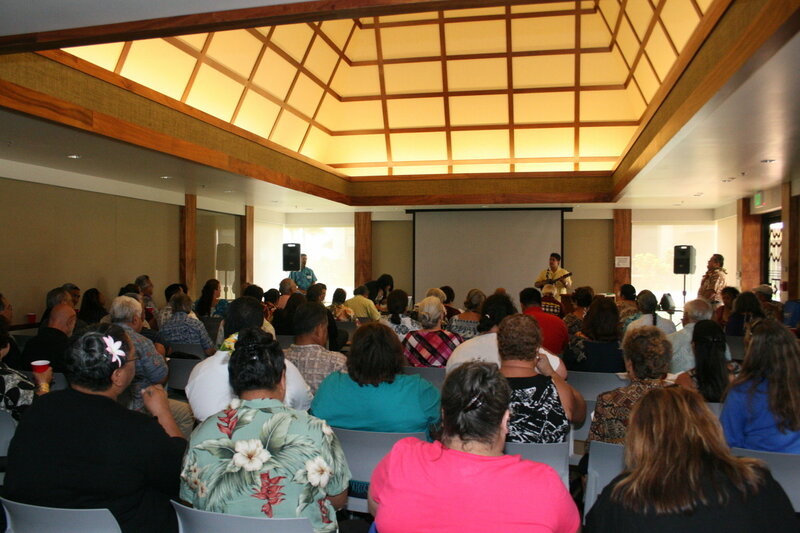 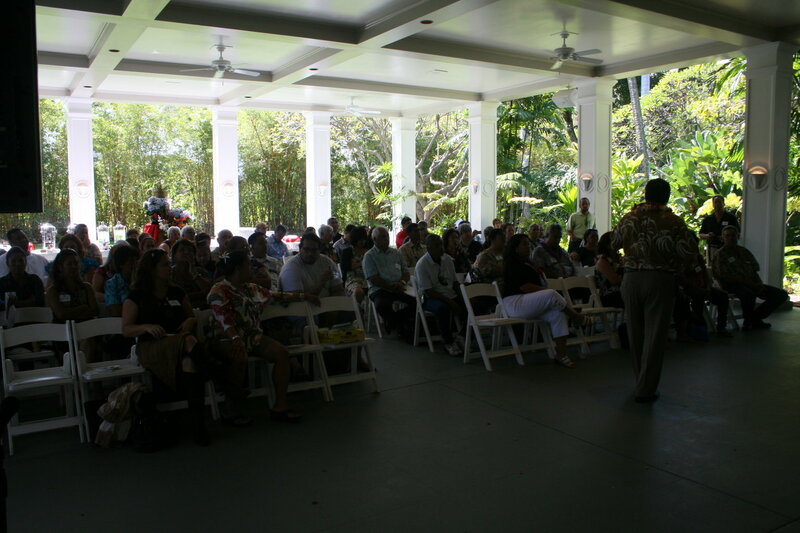 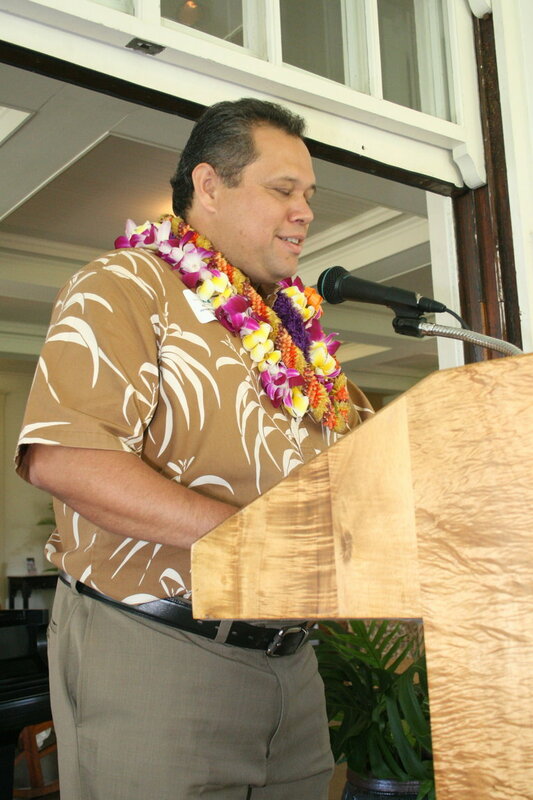 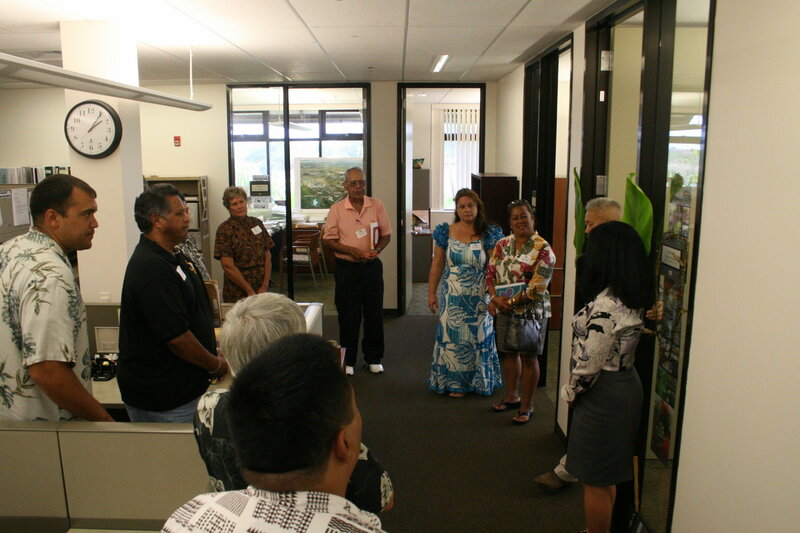 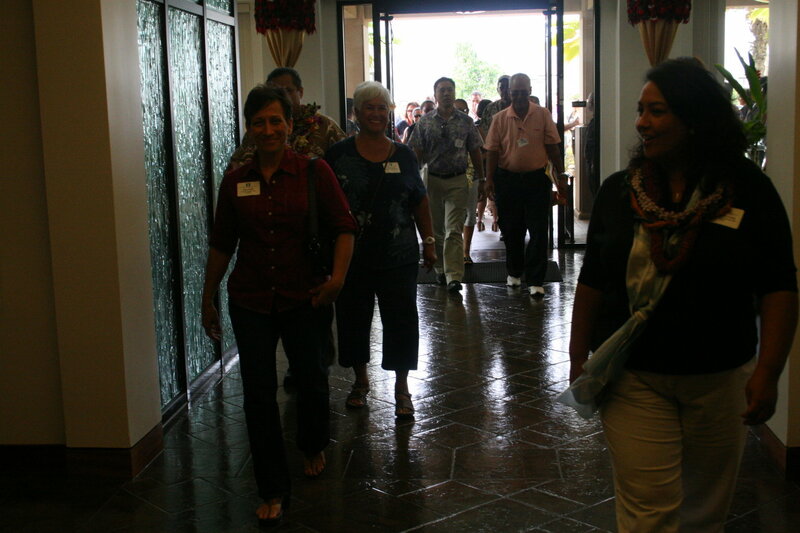 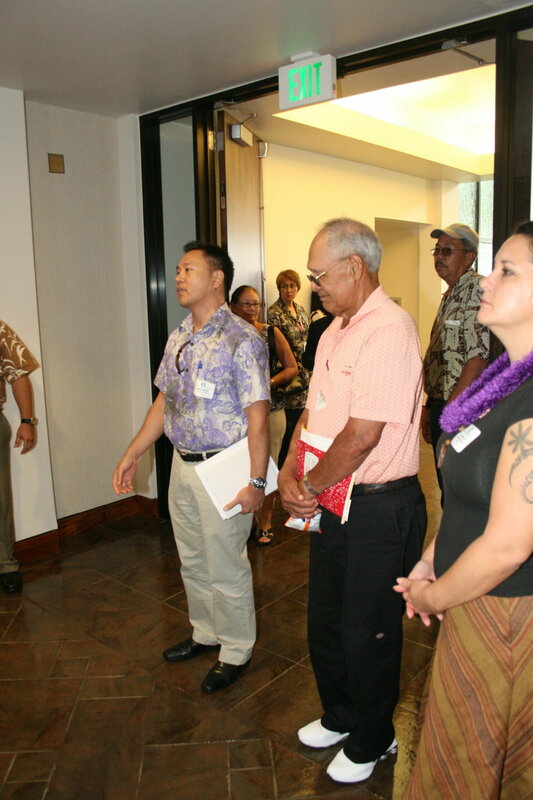 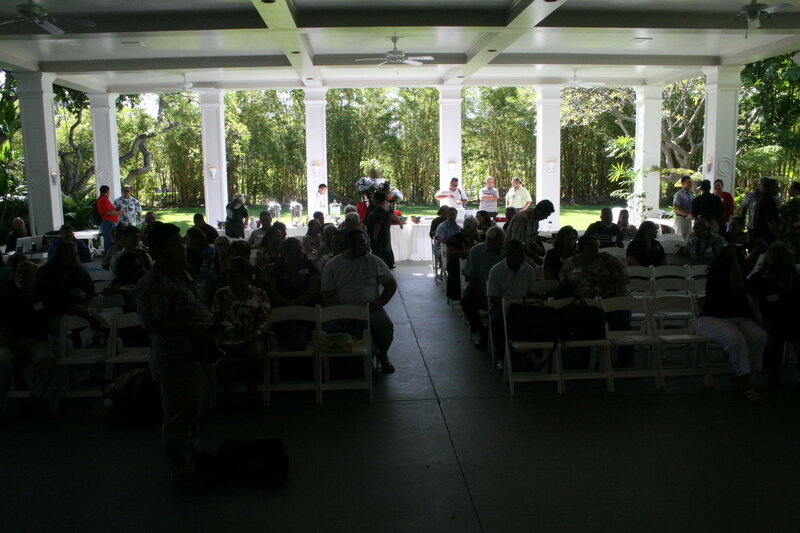 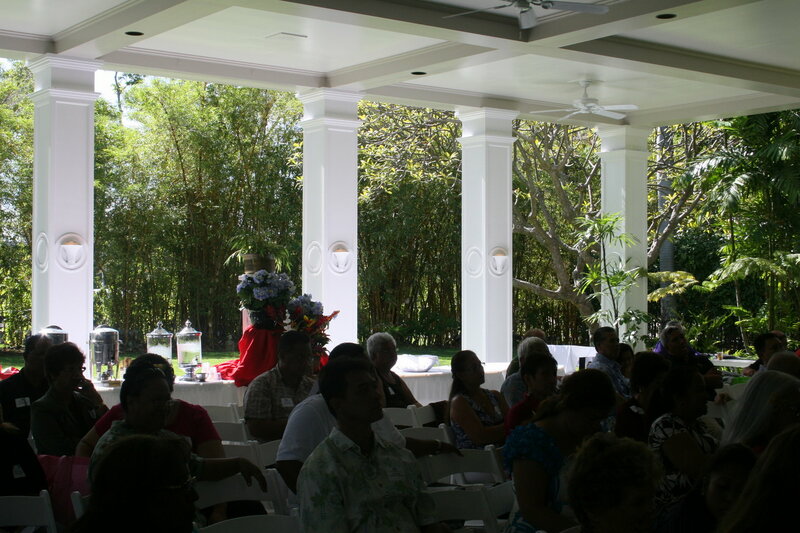 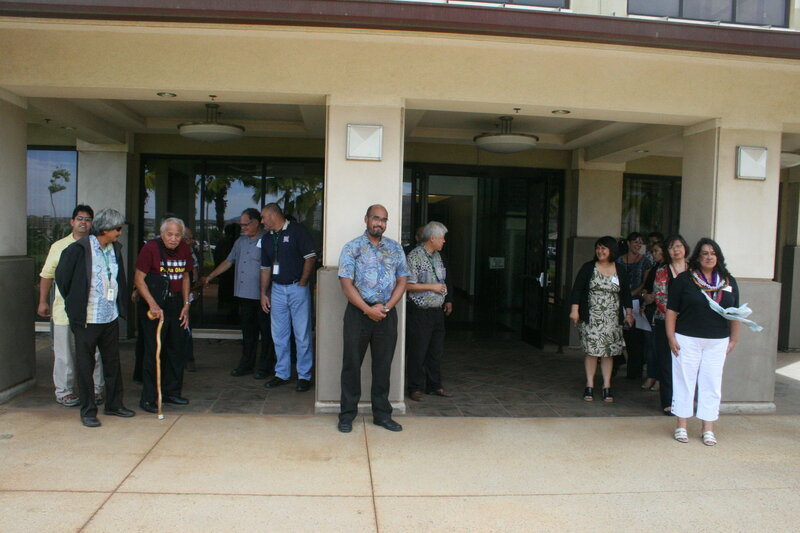 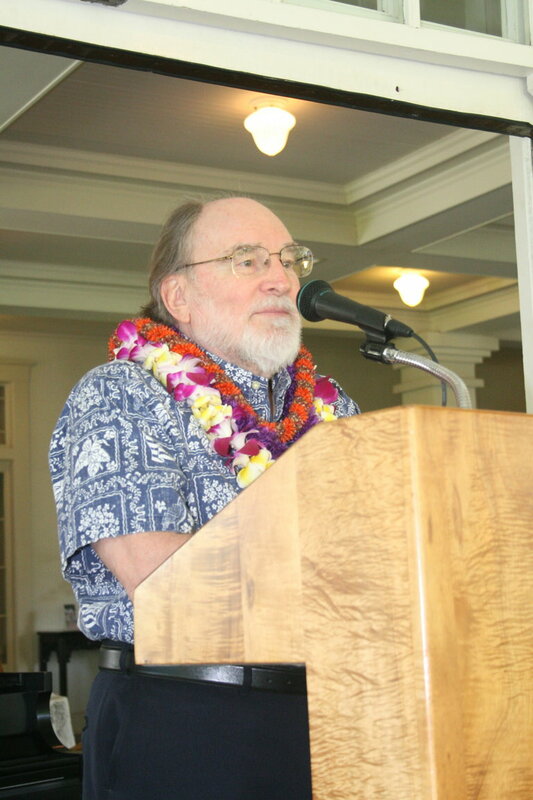 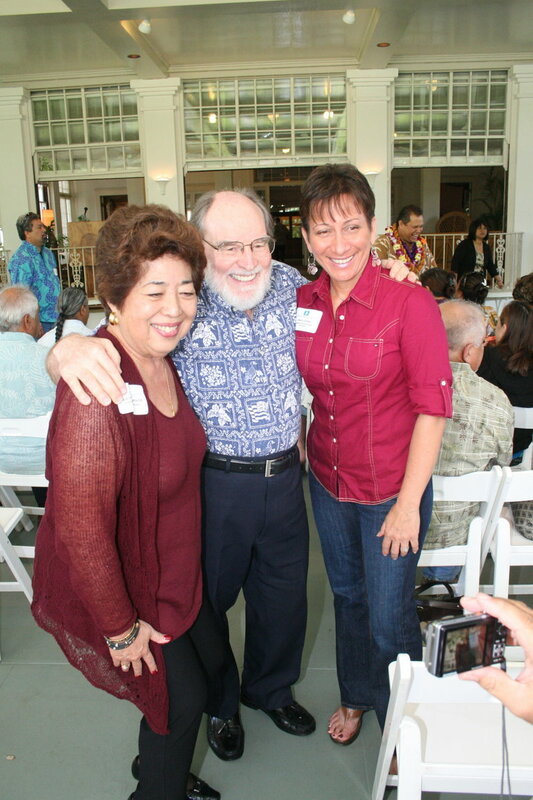 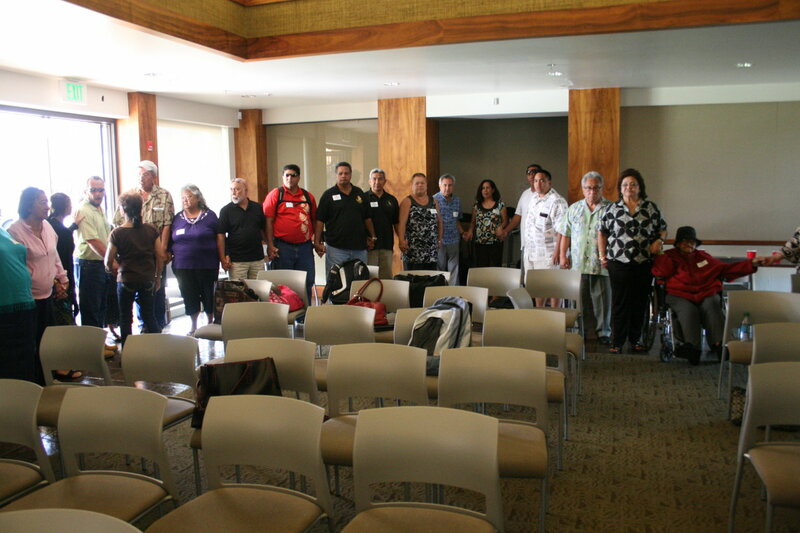 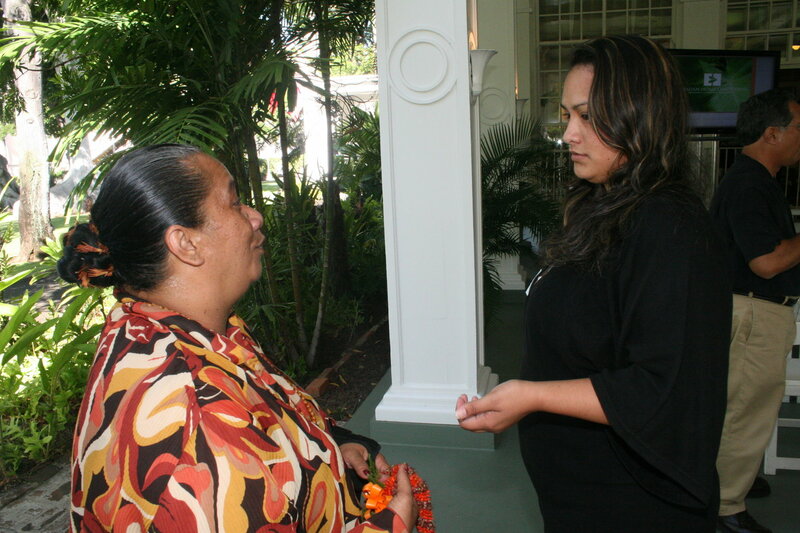 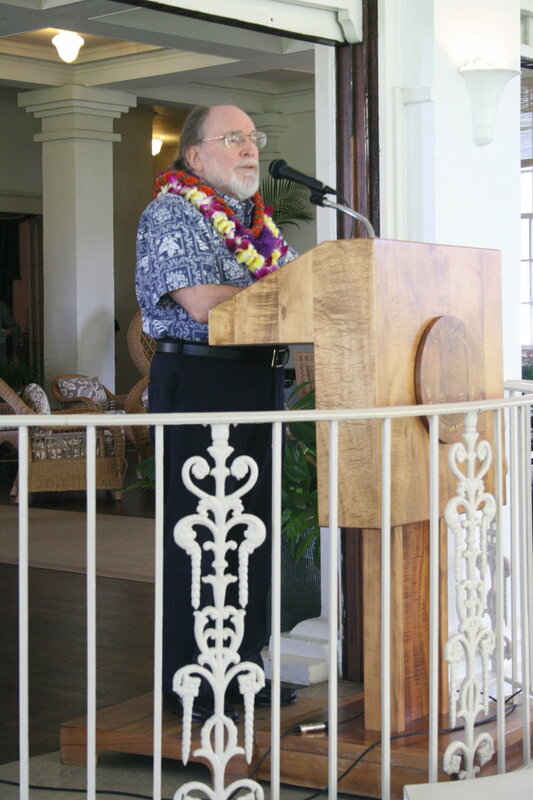 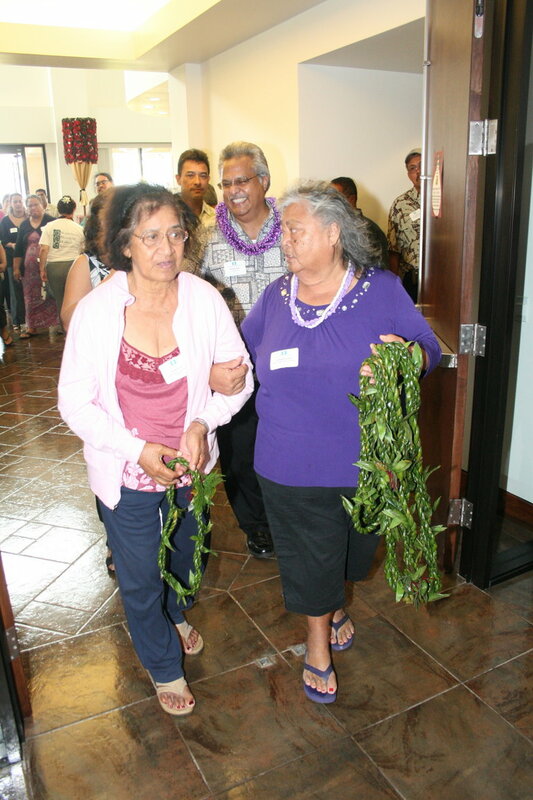 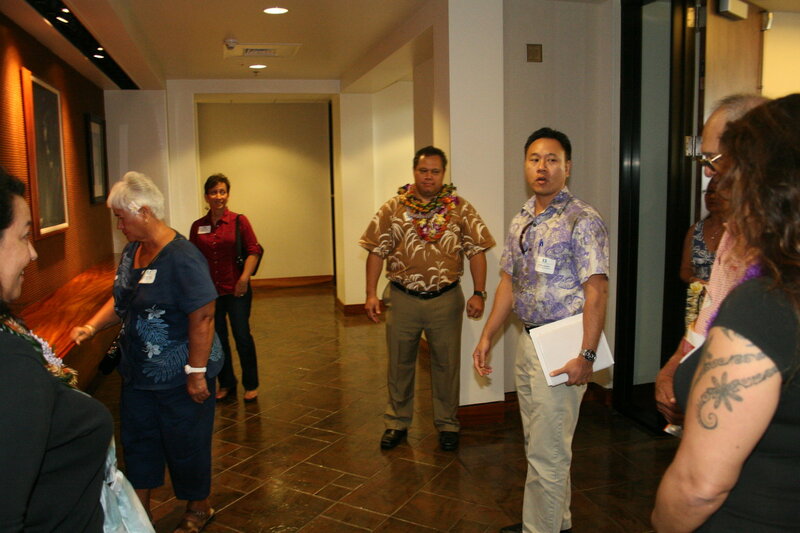 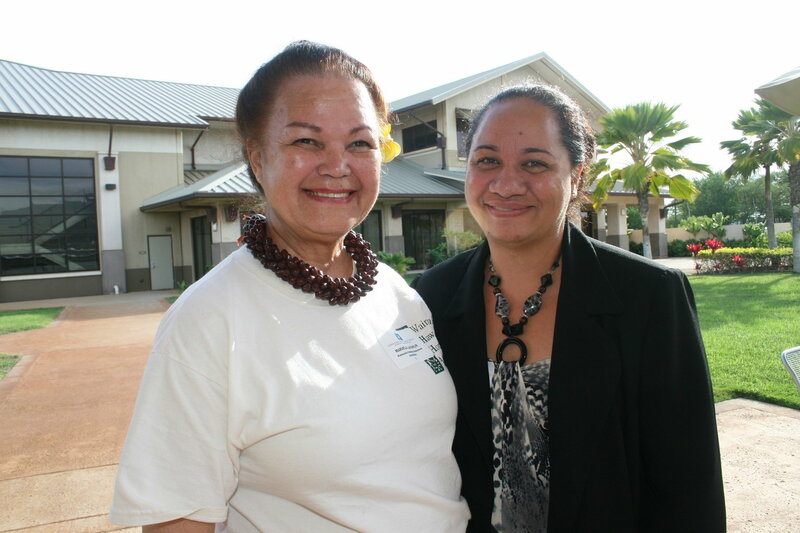 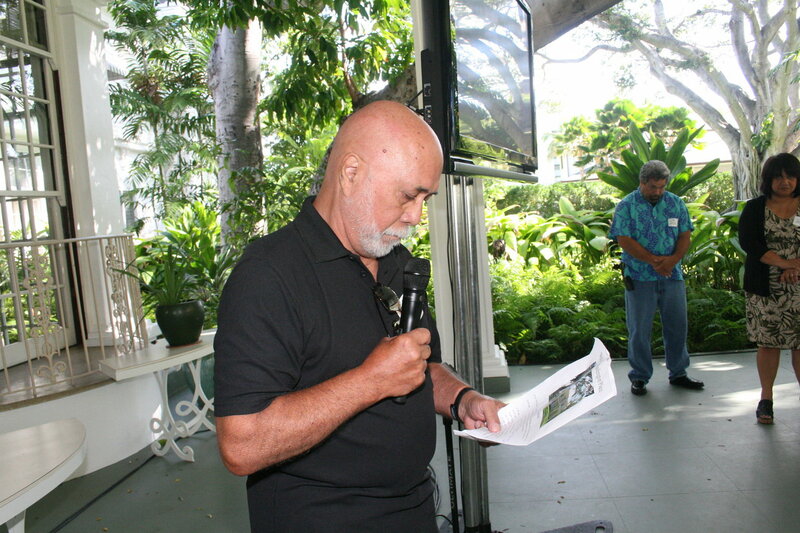 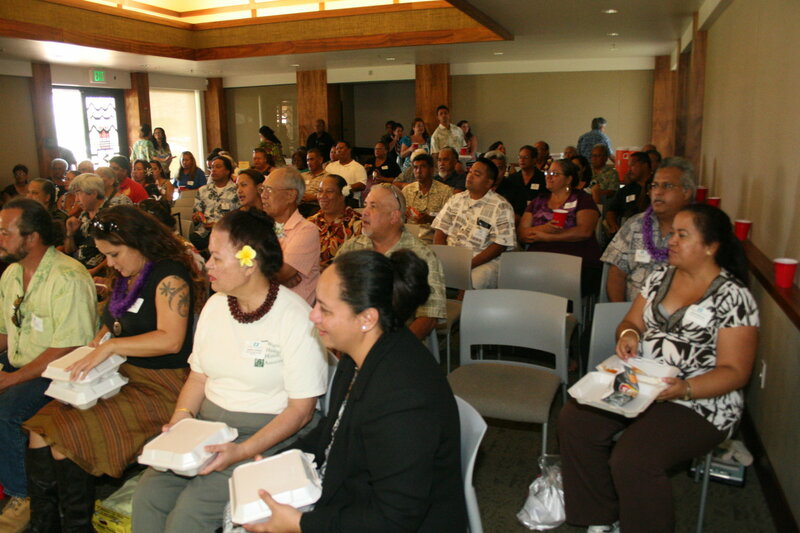 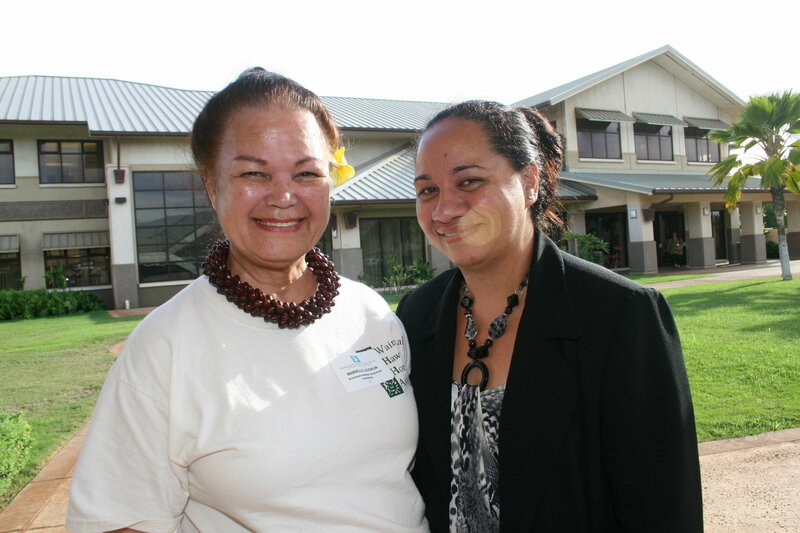 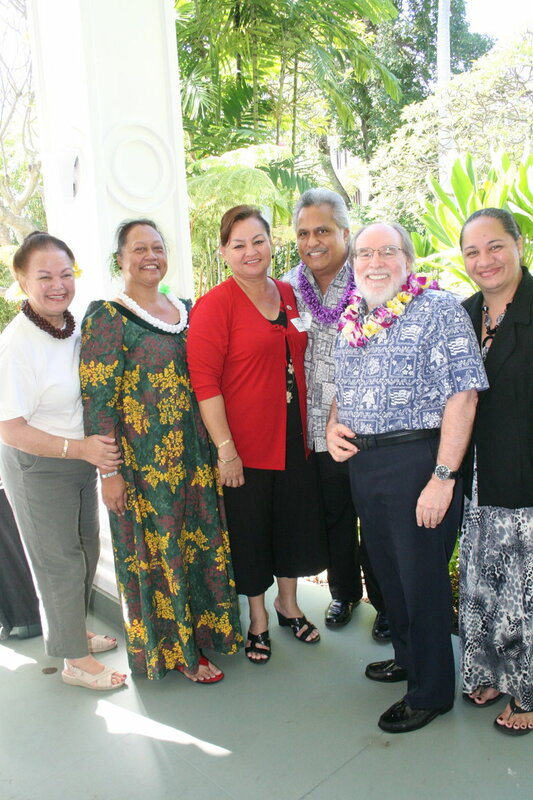 Following the presentations, the group reconvened in Kapolei at Hale Pono‘ī where they met several of the Hawaiian Homes Commissioners, viewed further presentations, then were welcomed into Hale Kalaniana‘ole where they presented ho‘okupu at the portrait of Prince Jonah Kūhiō Kalaniana“ole Pi‘ikoi. 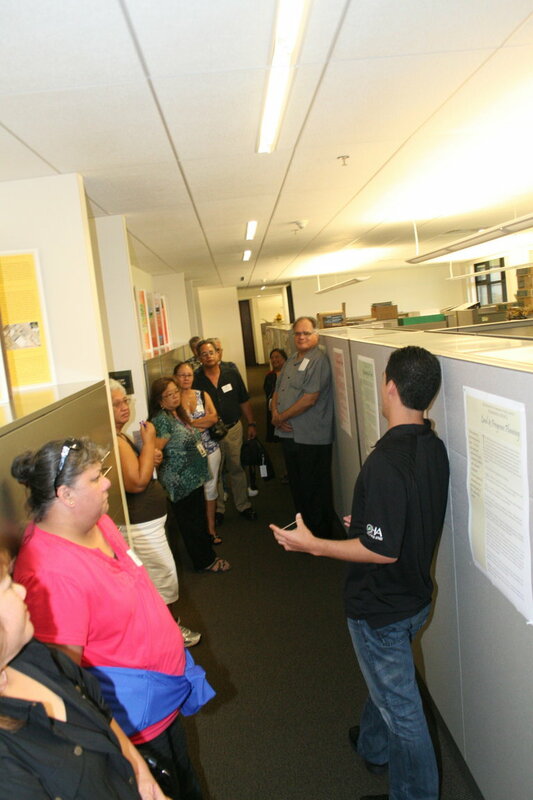 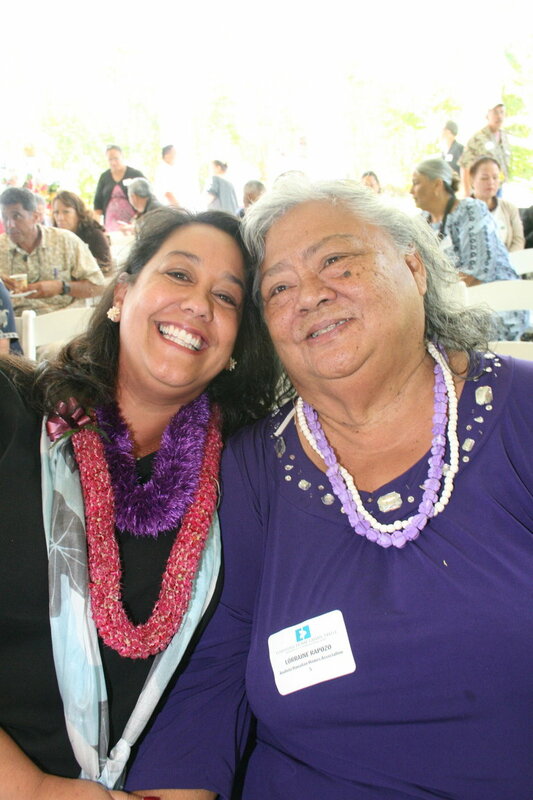 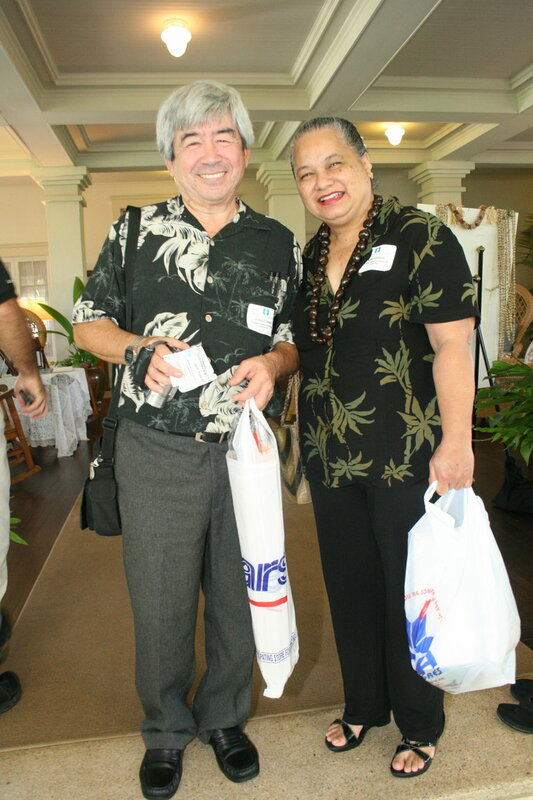 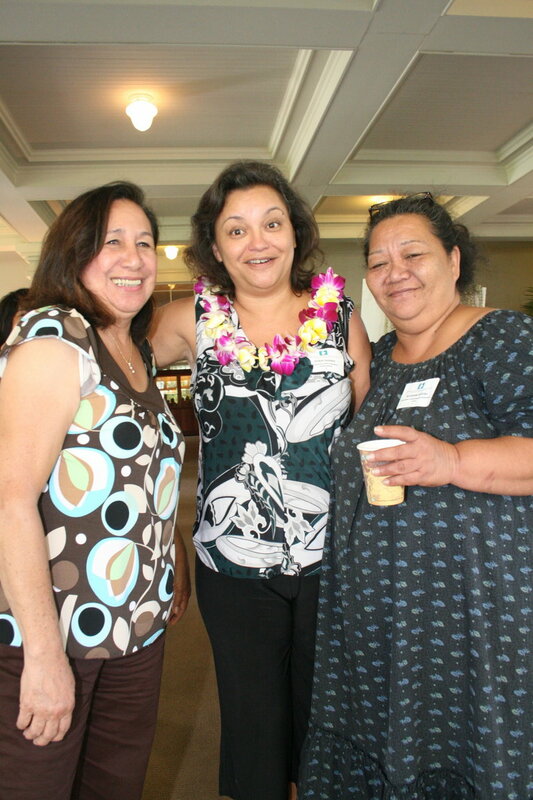 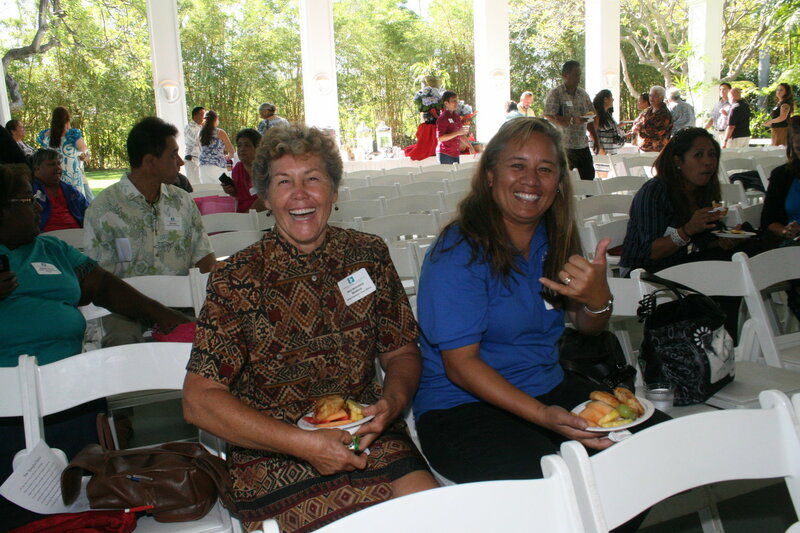 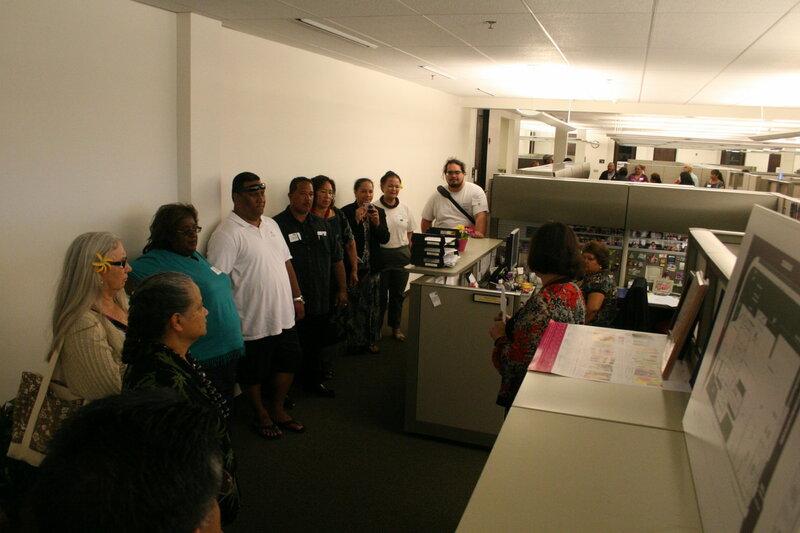 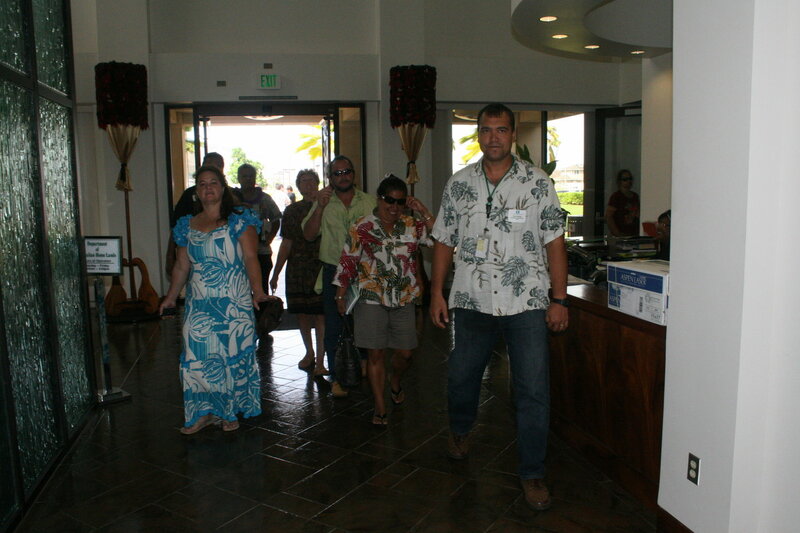 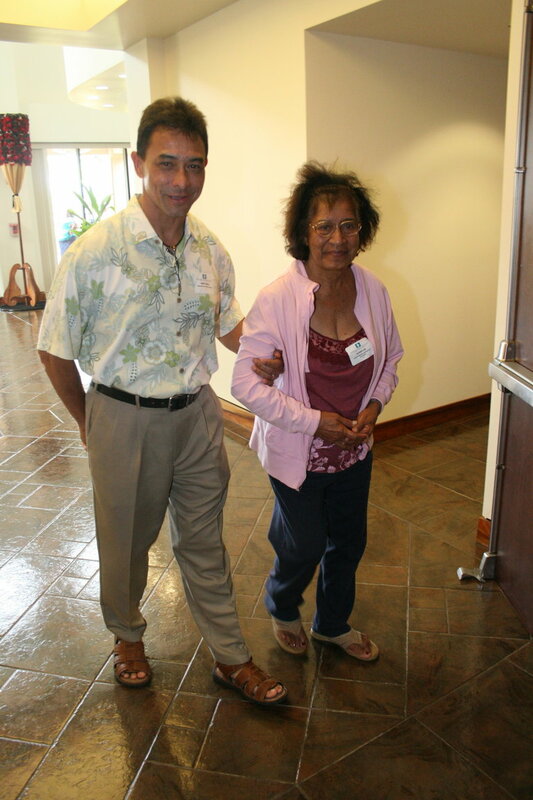 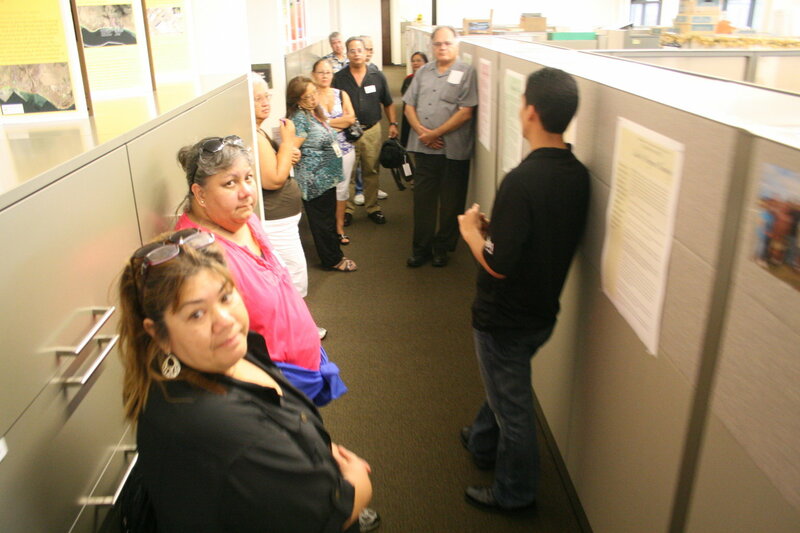 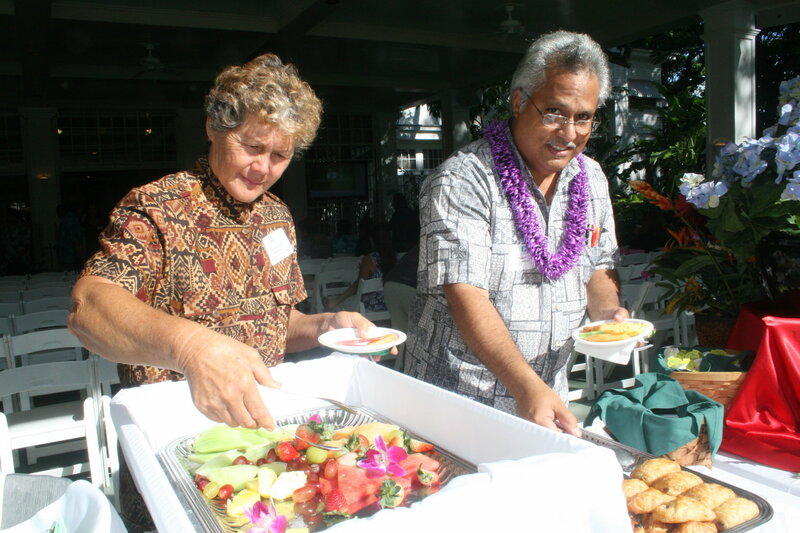 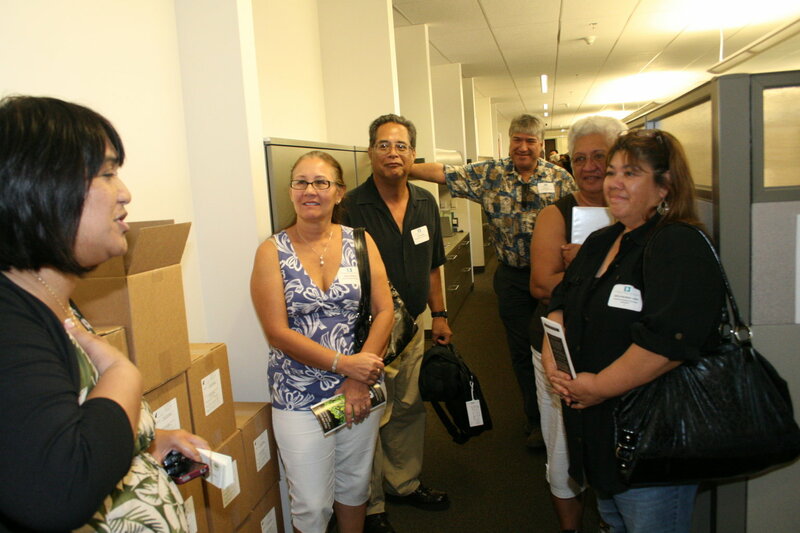 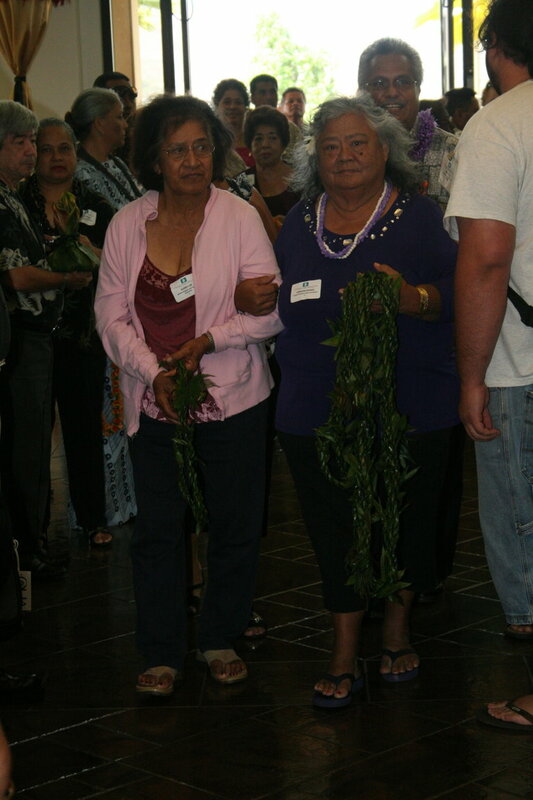 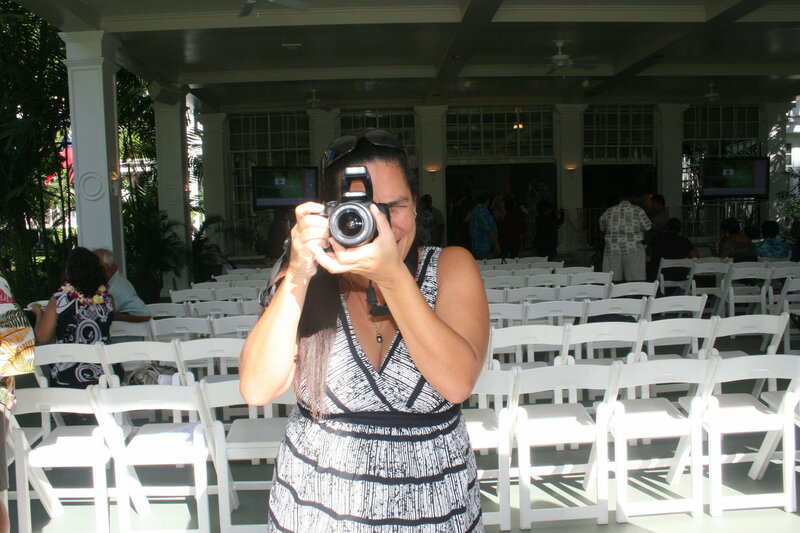 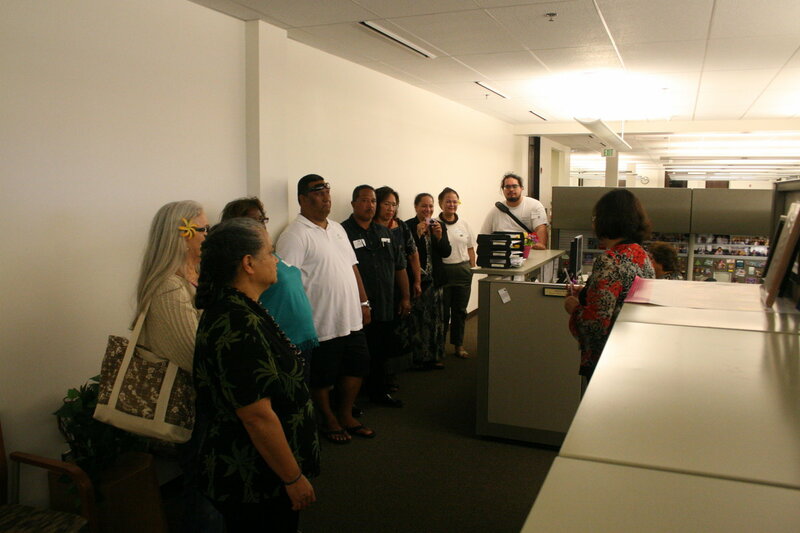 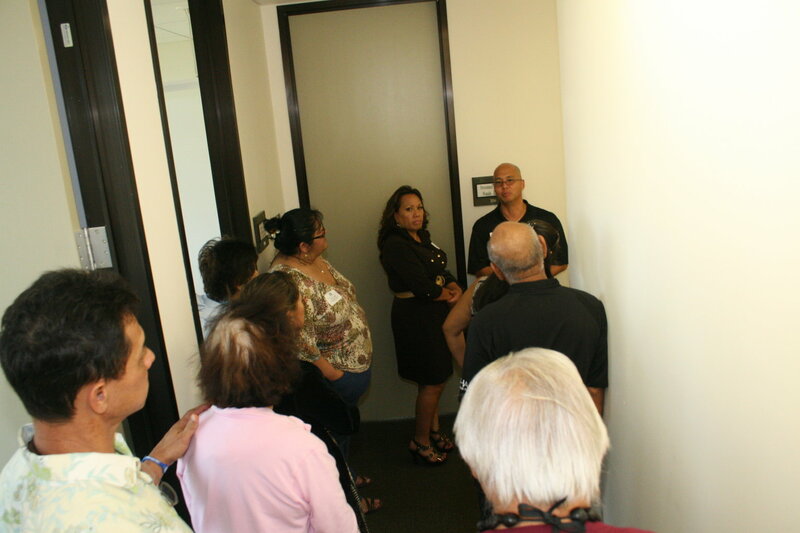 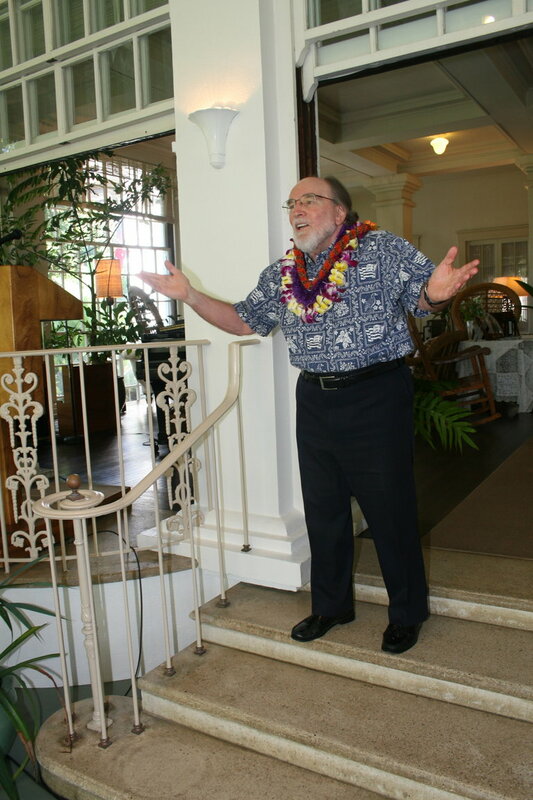 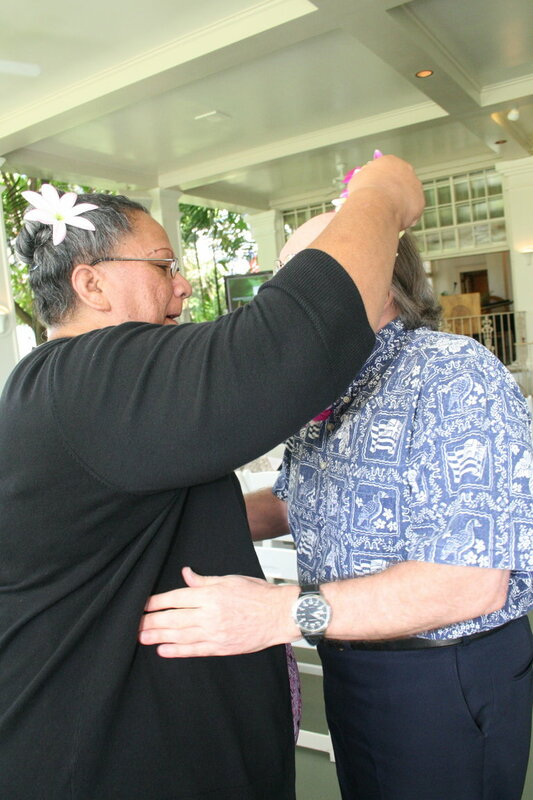 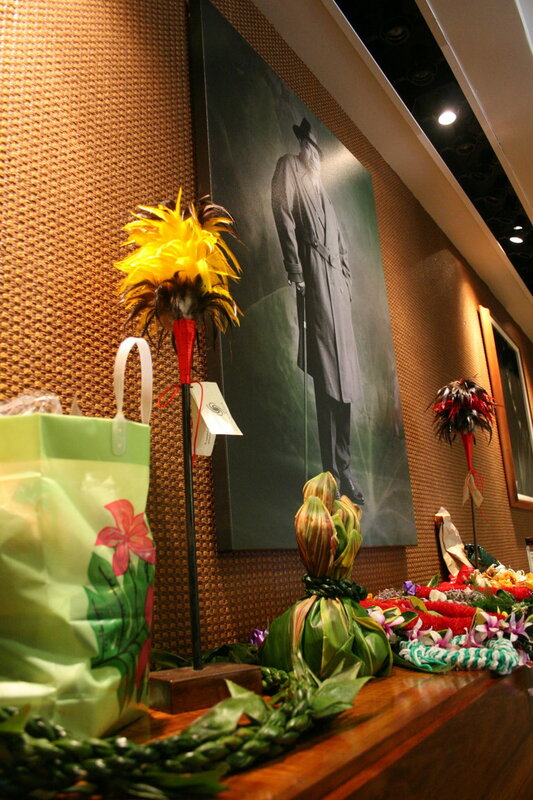 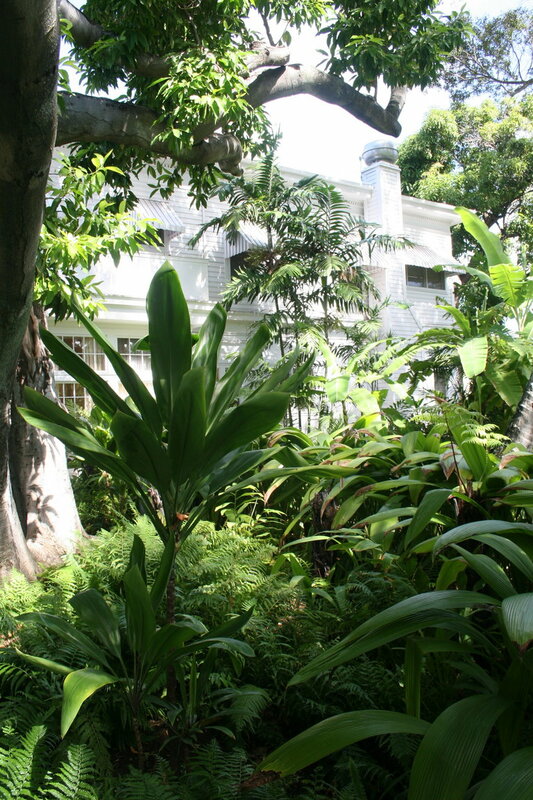 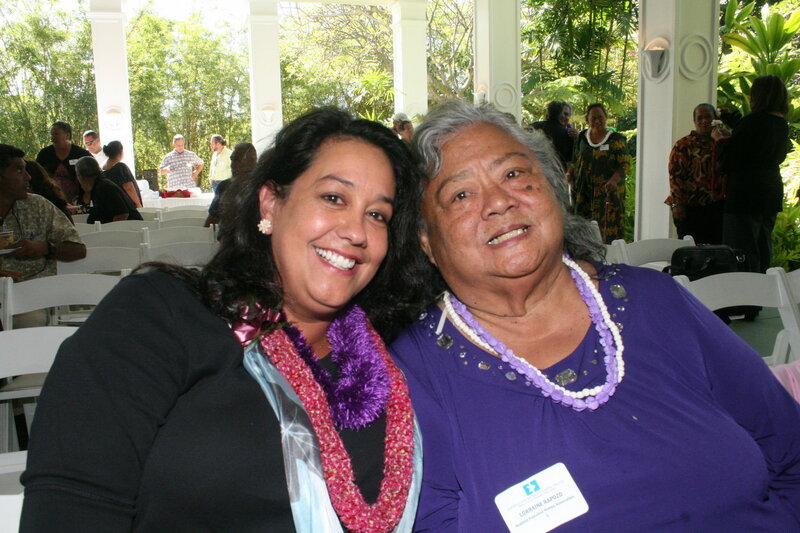 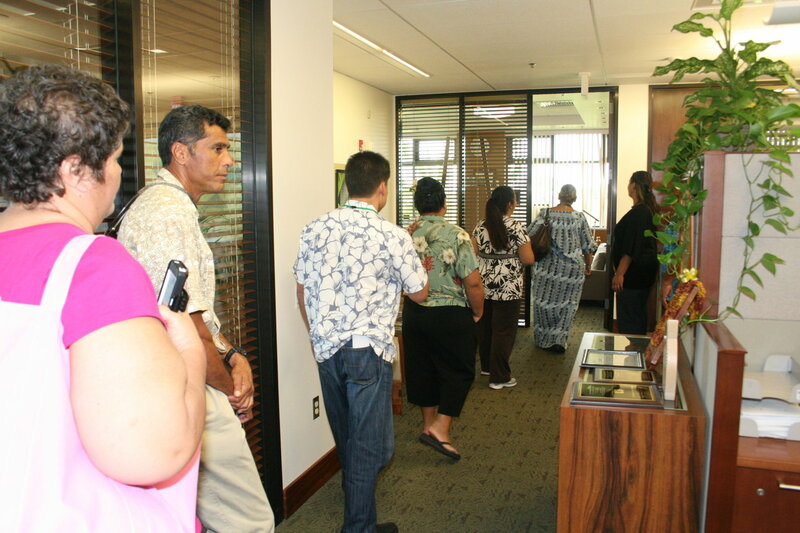 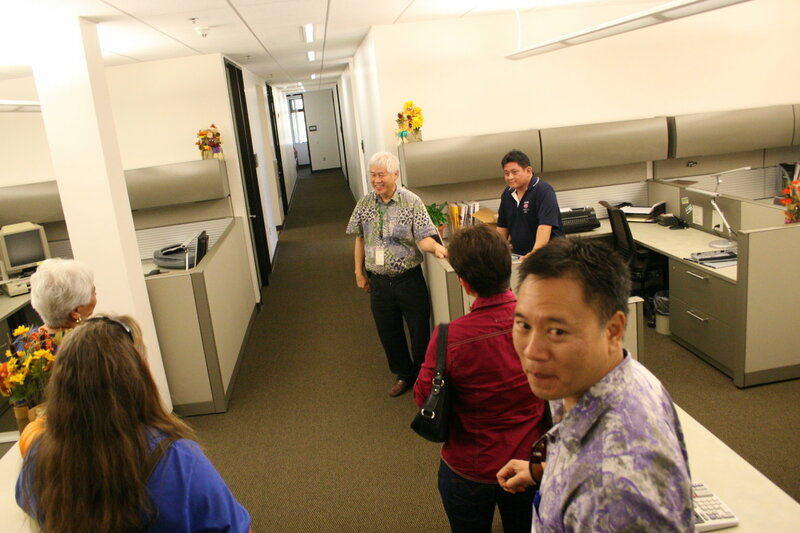 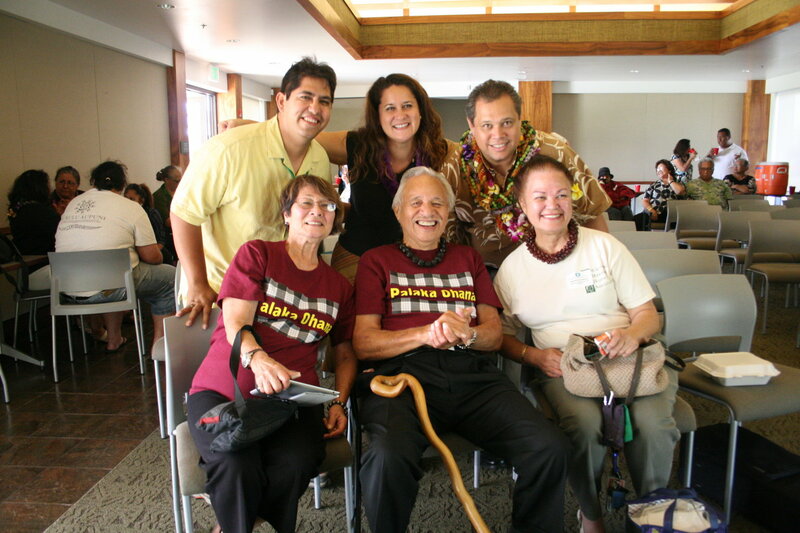 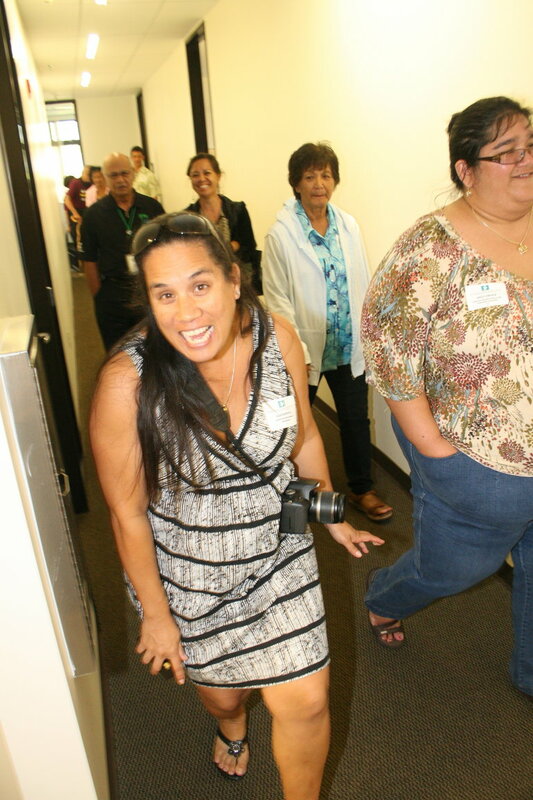 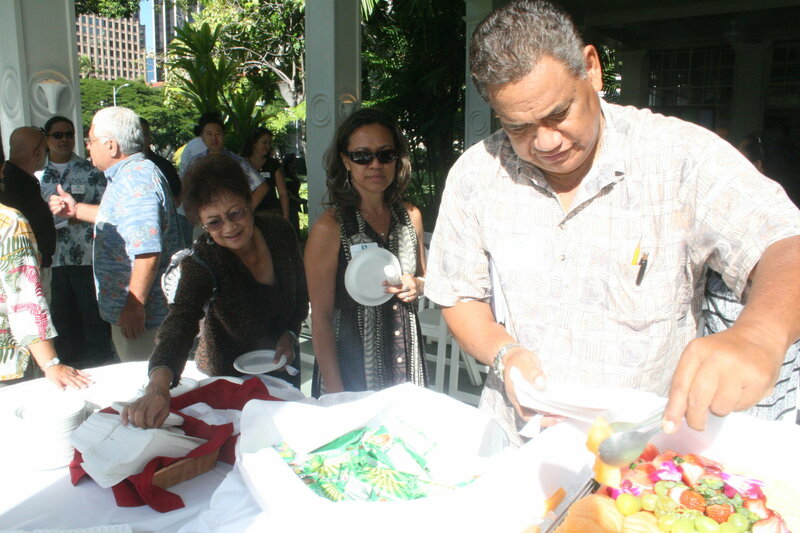 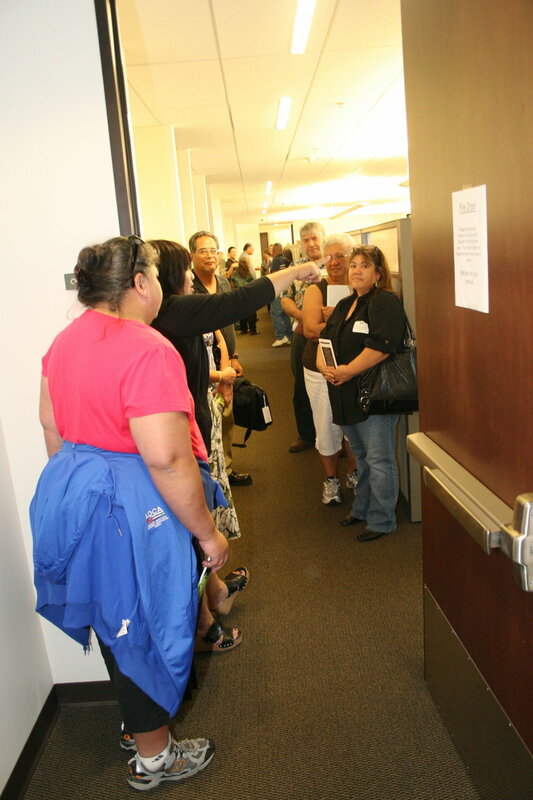 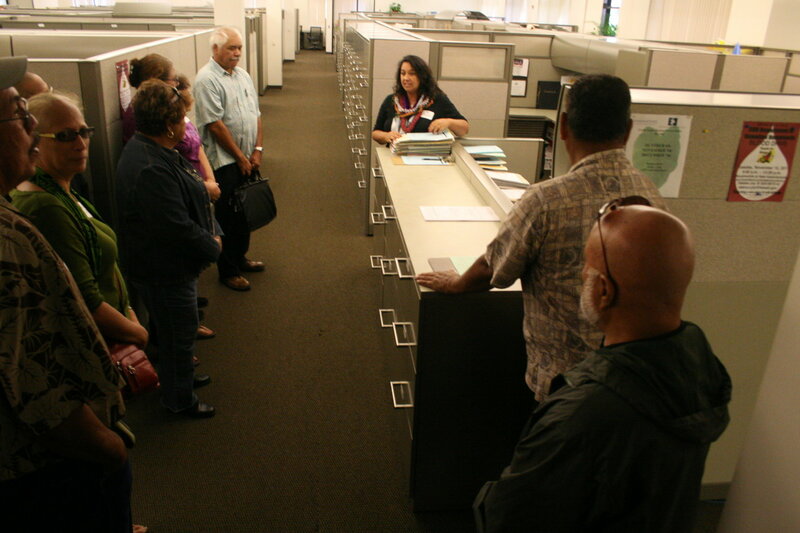 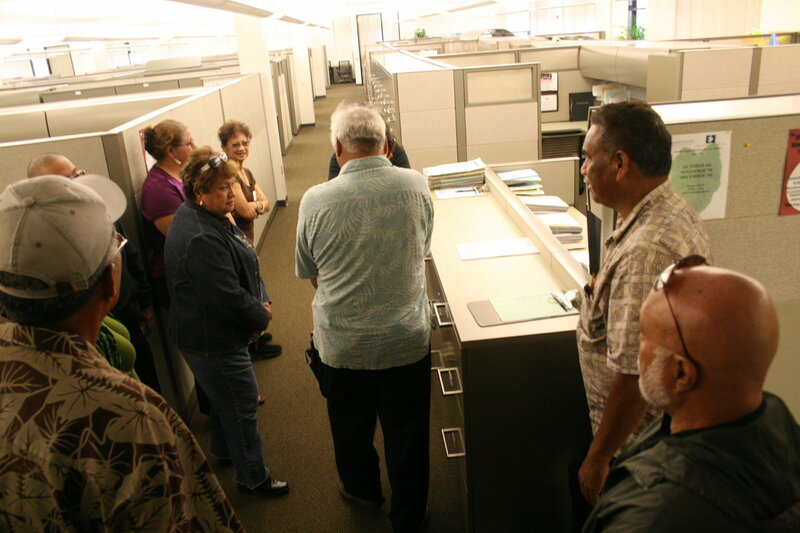 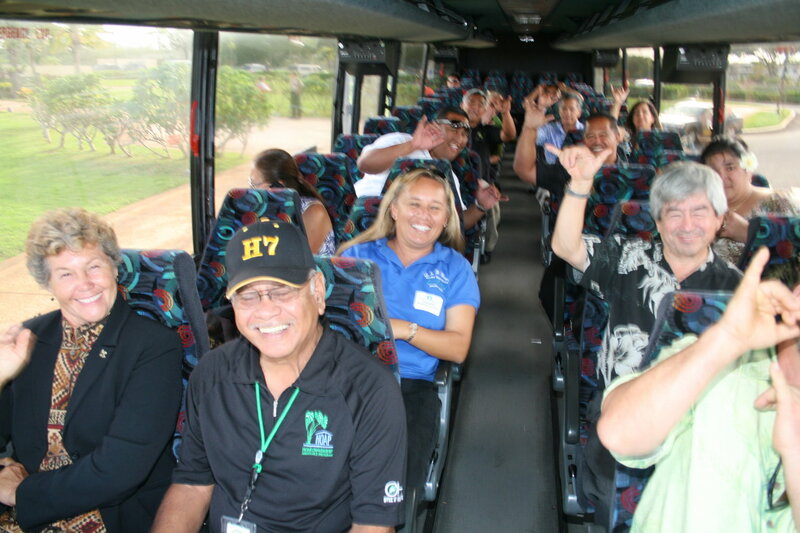 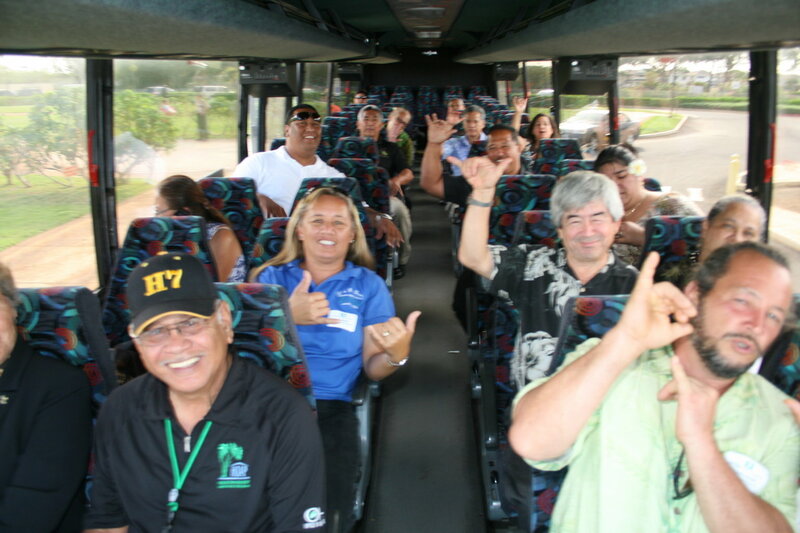 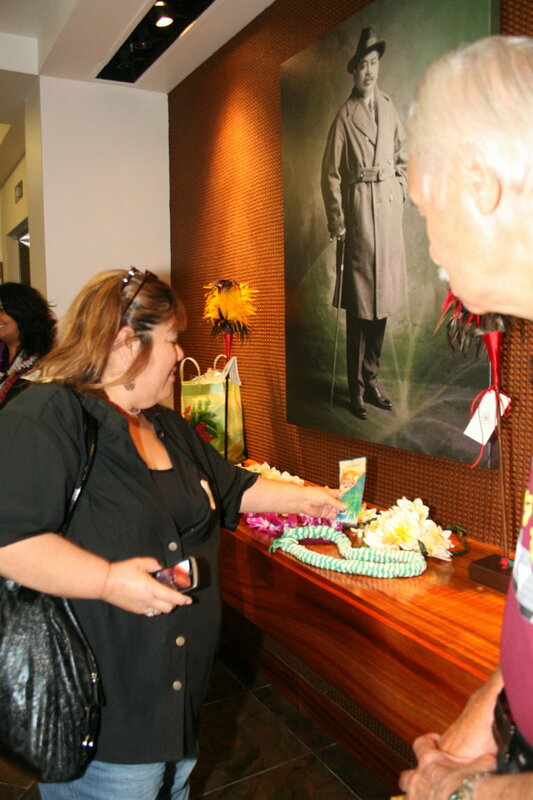 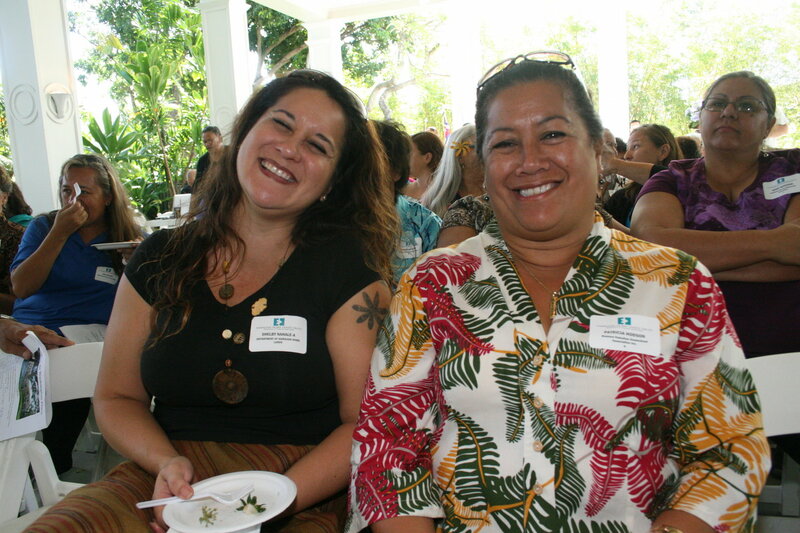 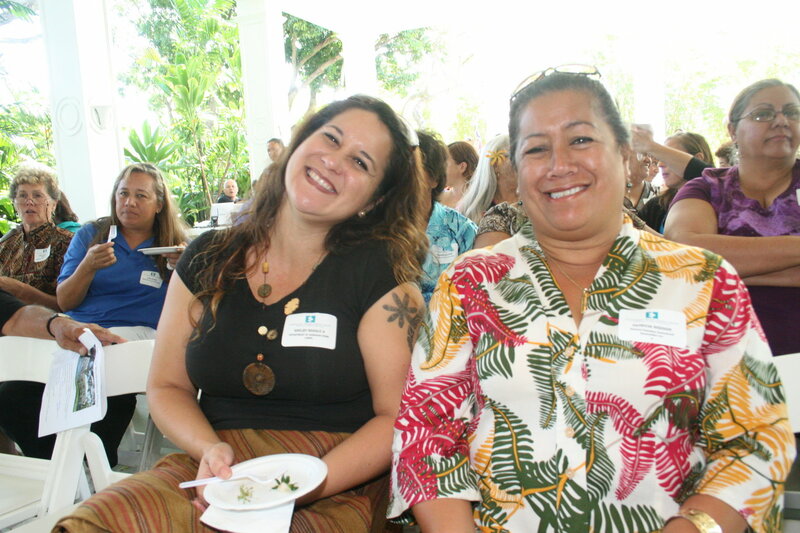 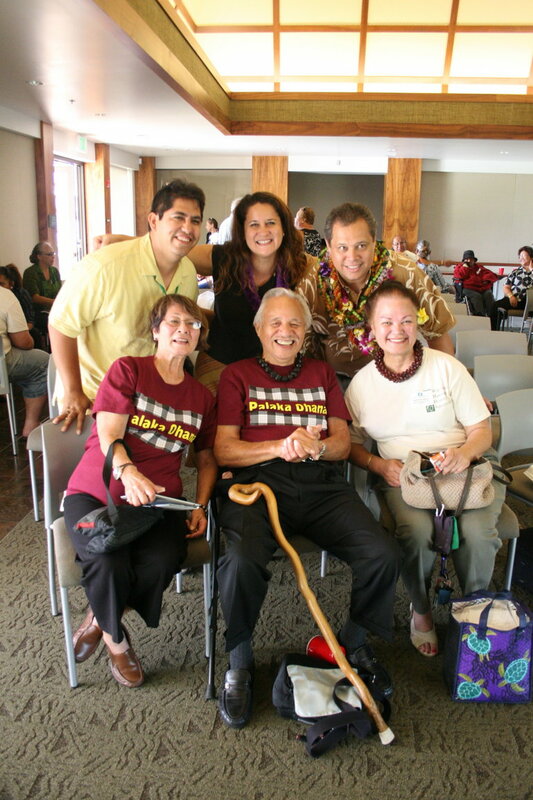 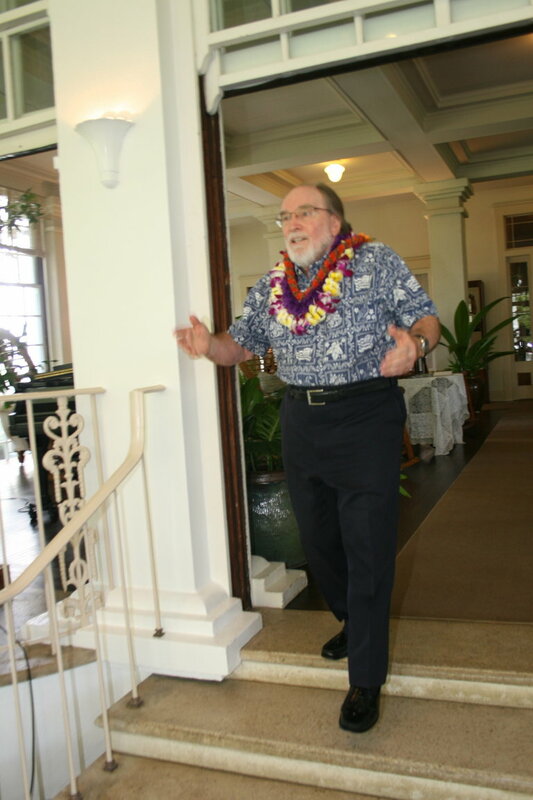 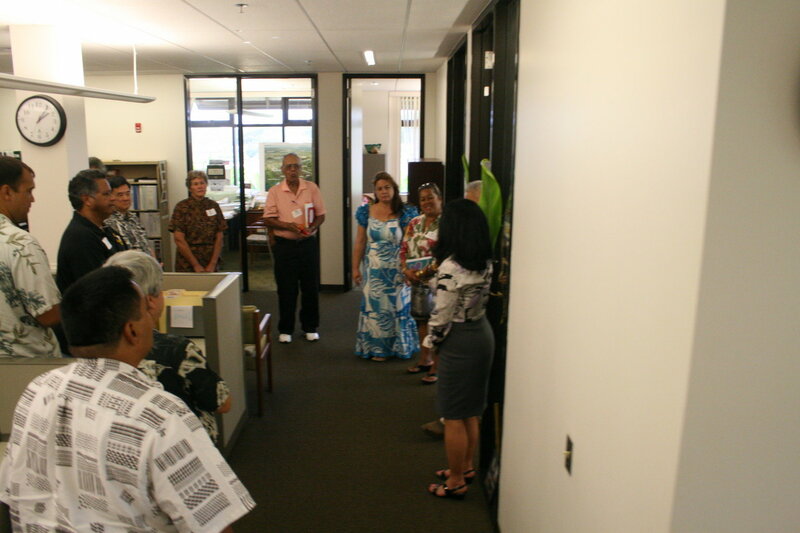 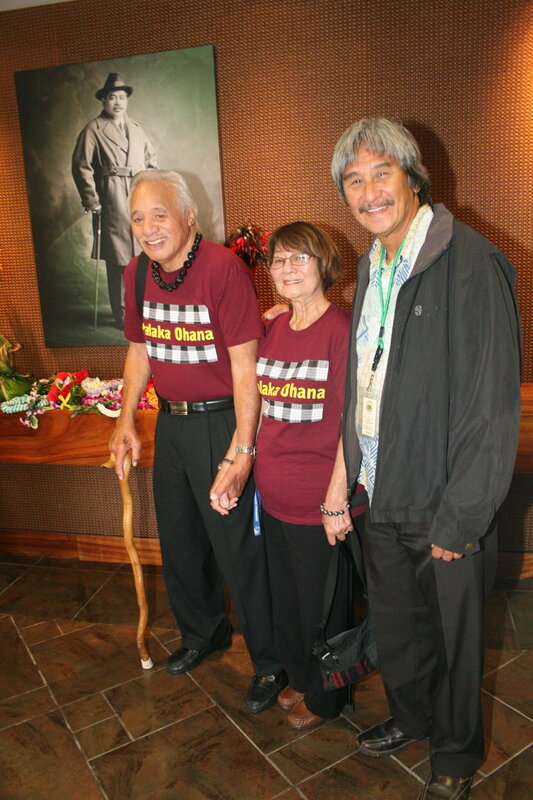 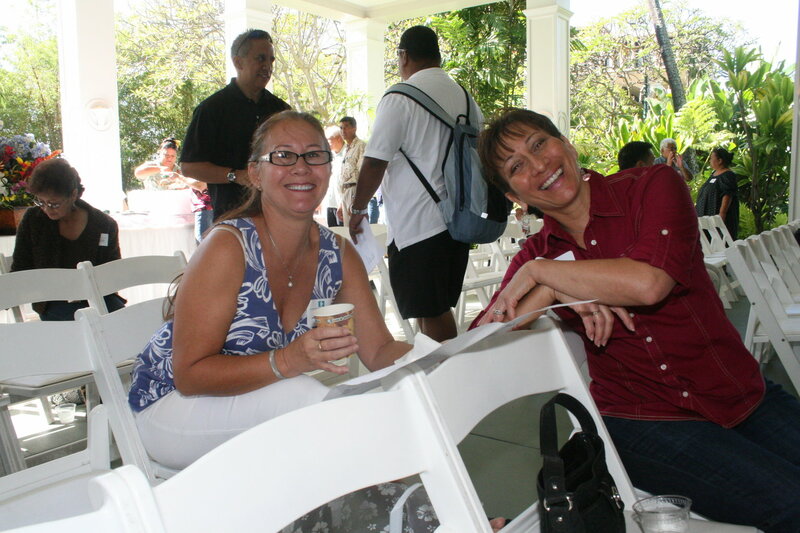 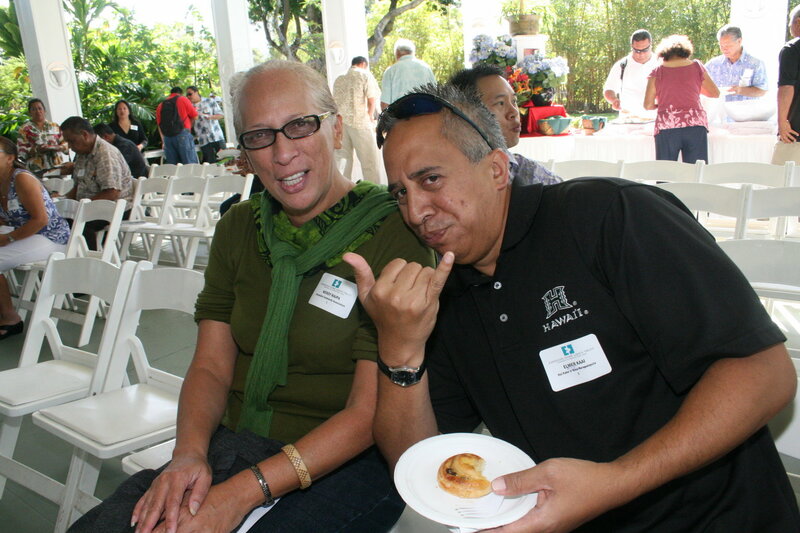 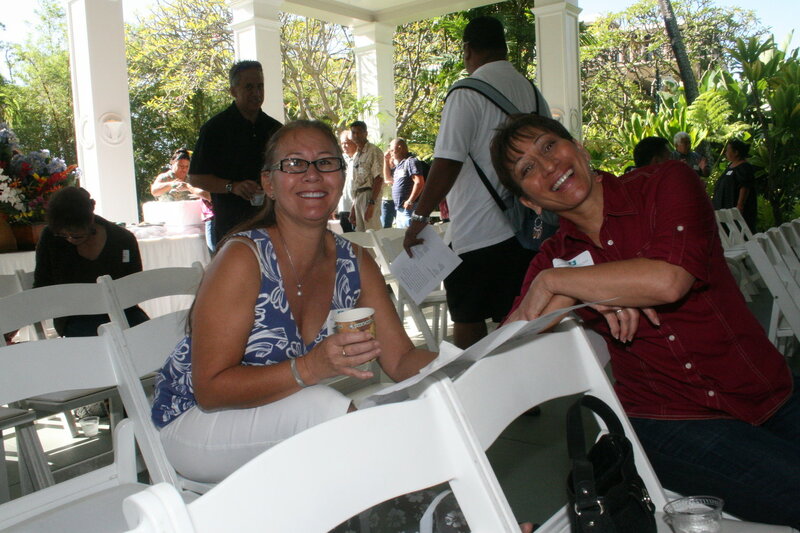 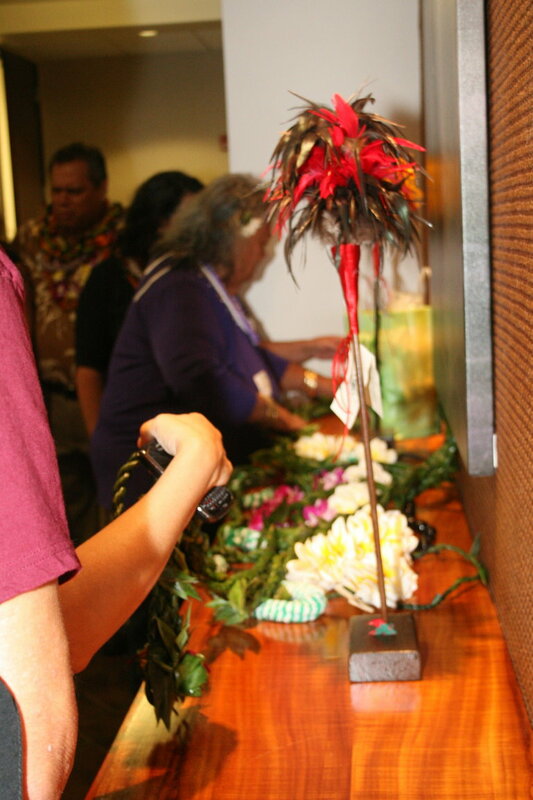 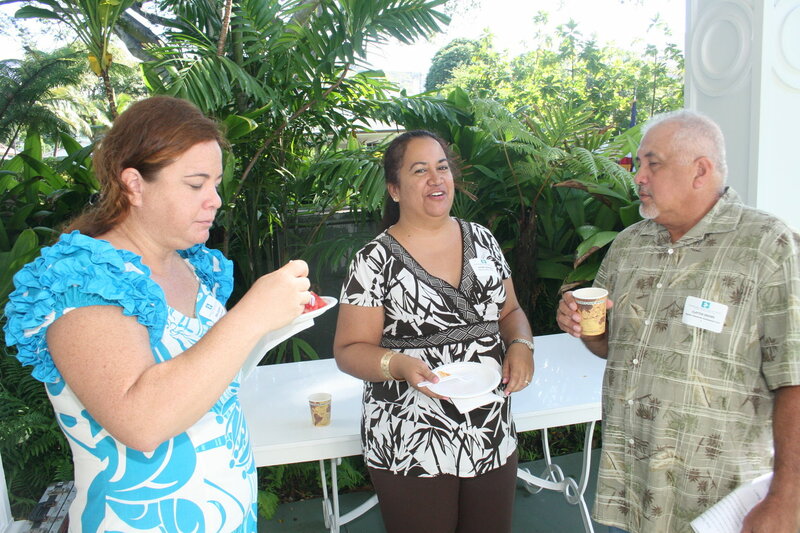 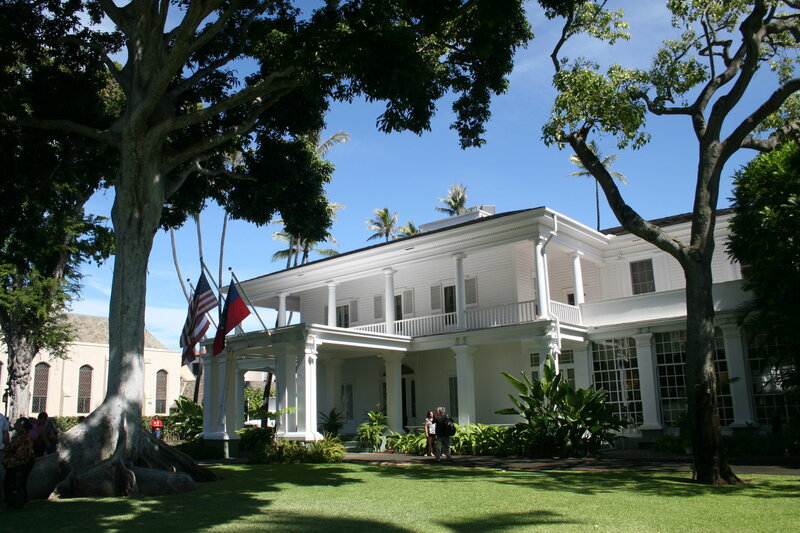 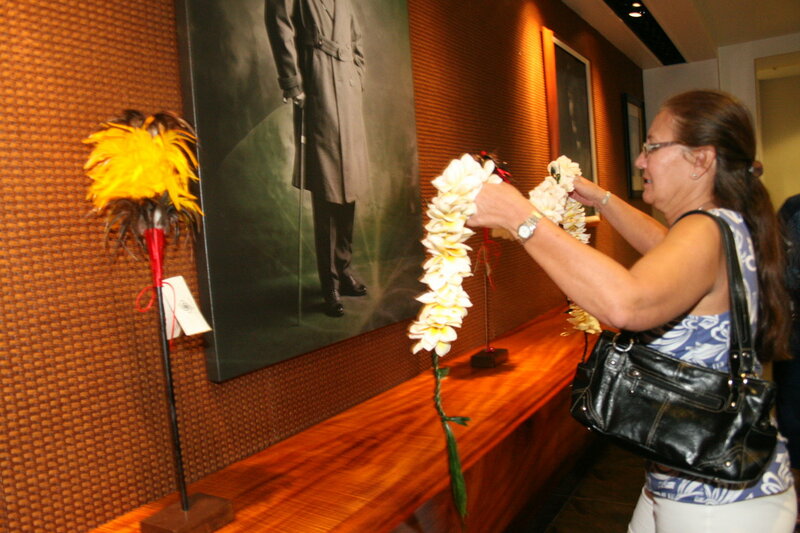 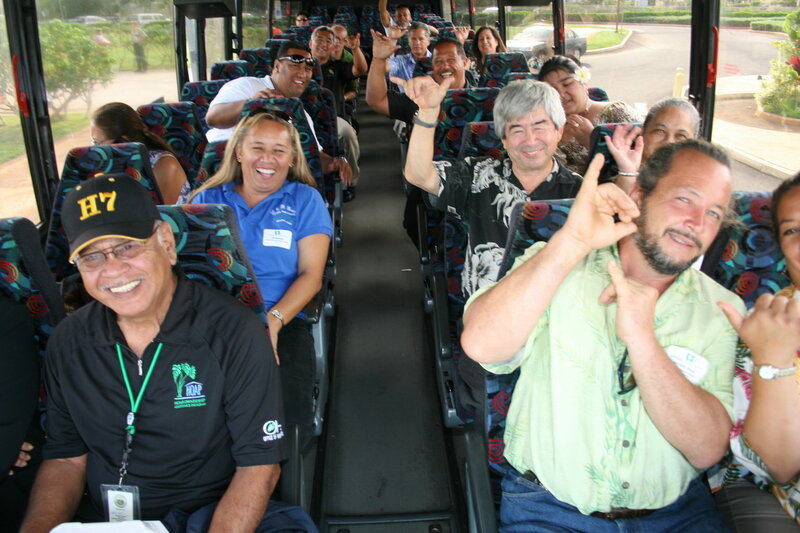 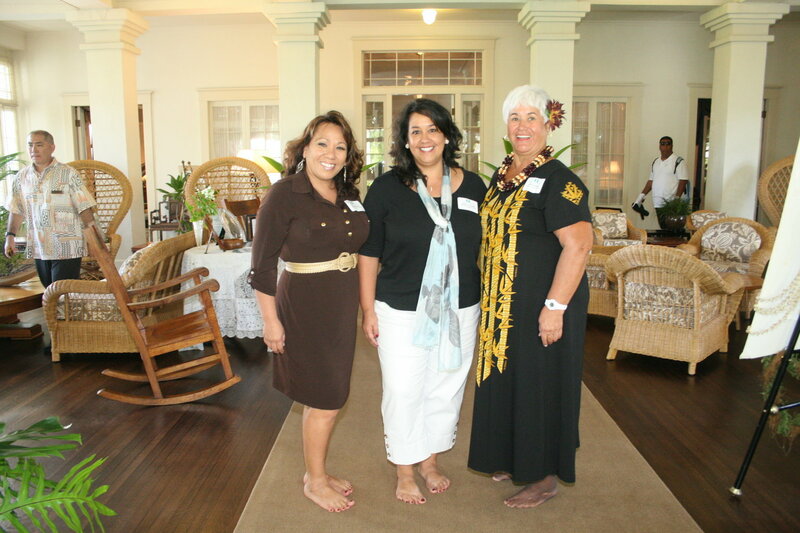 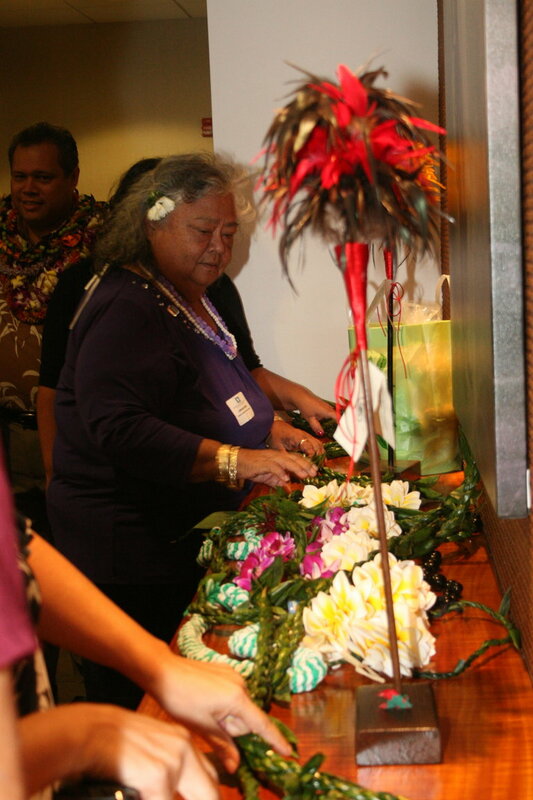 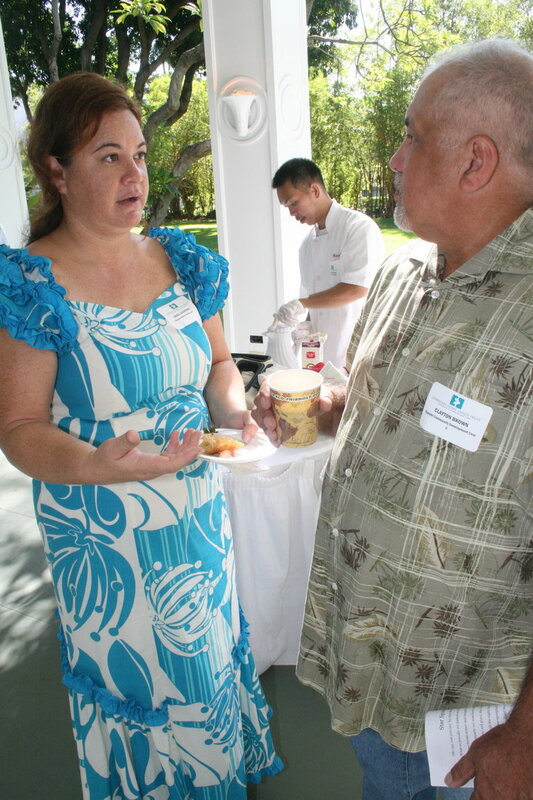 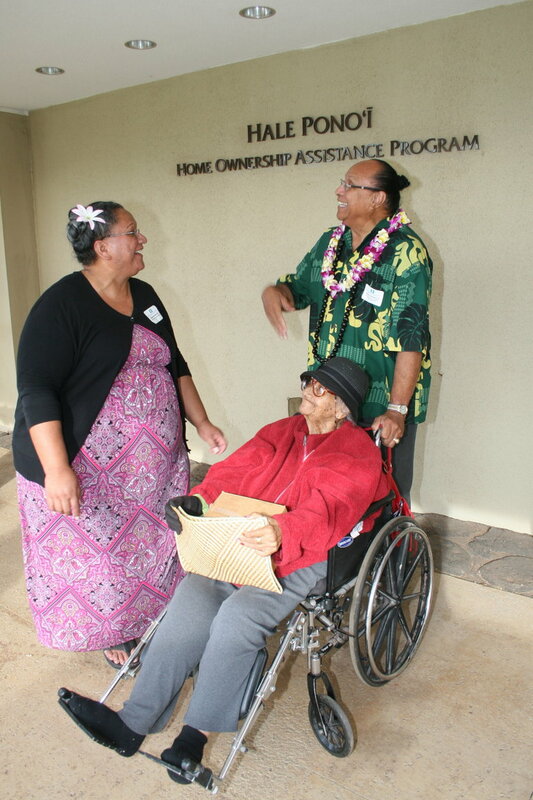 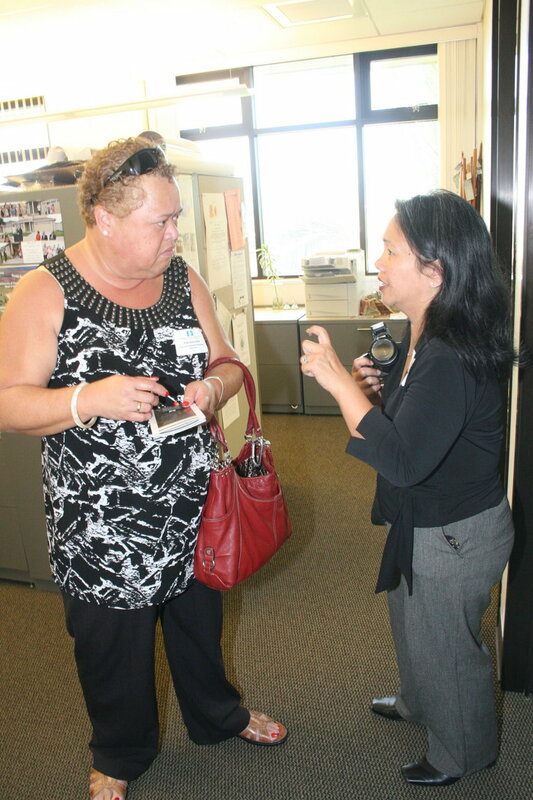 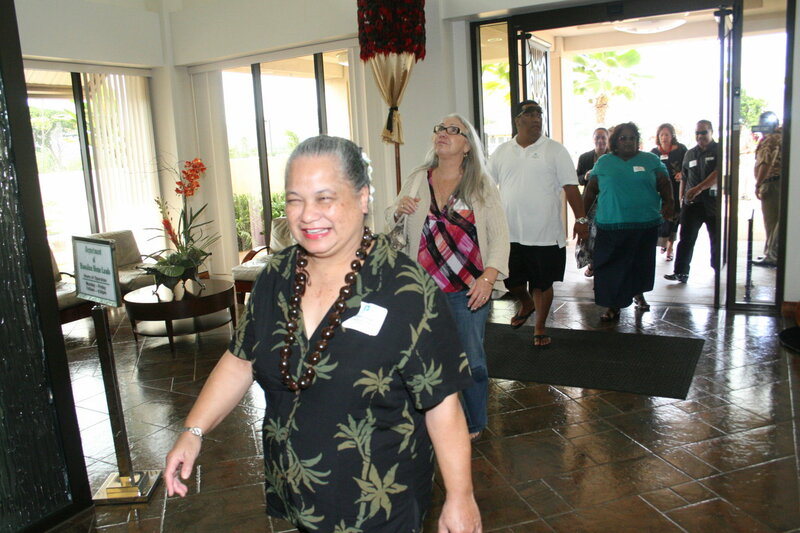 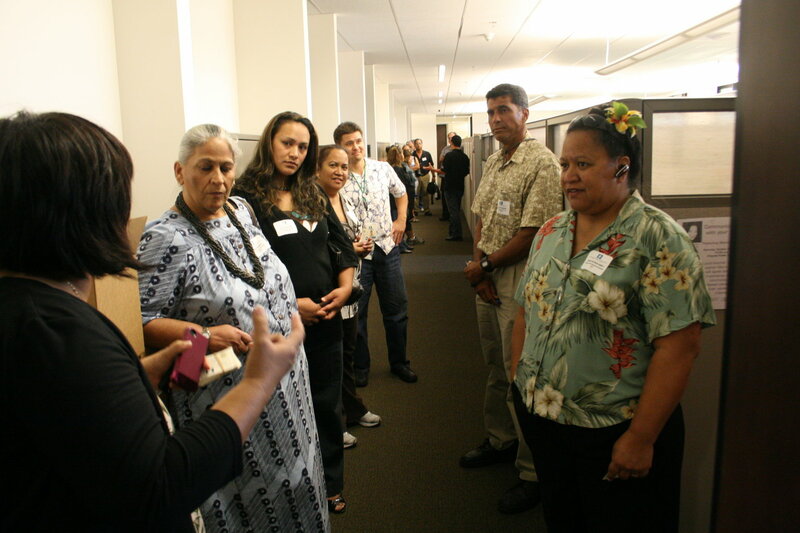 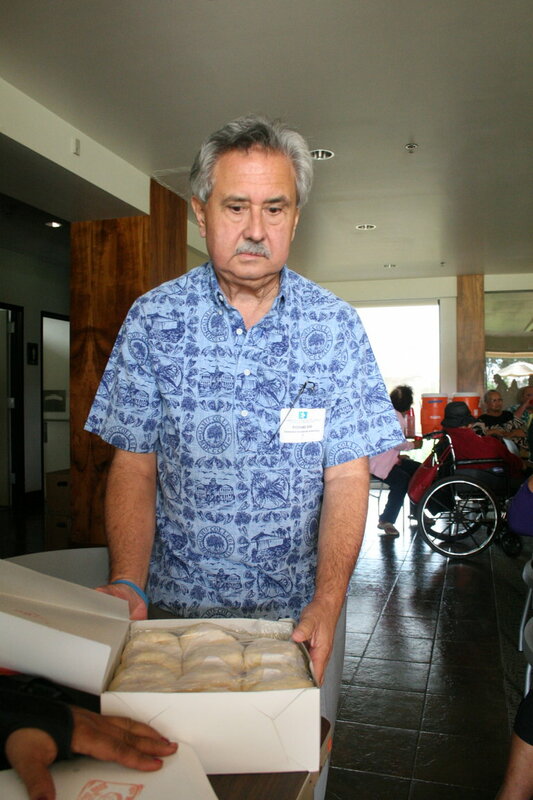 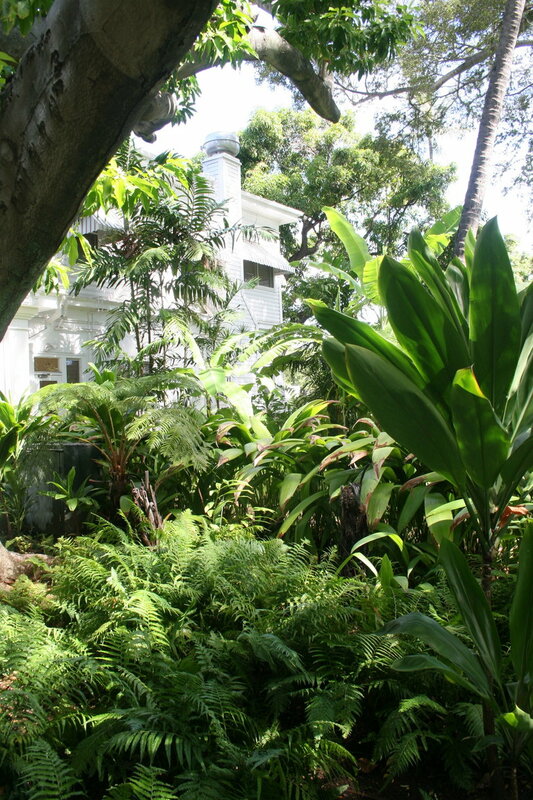 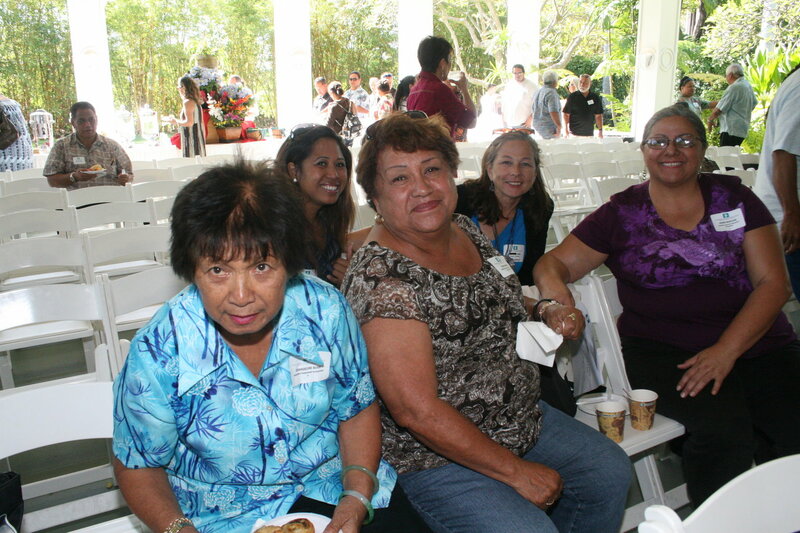 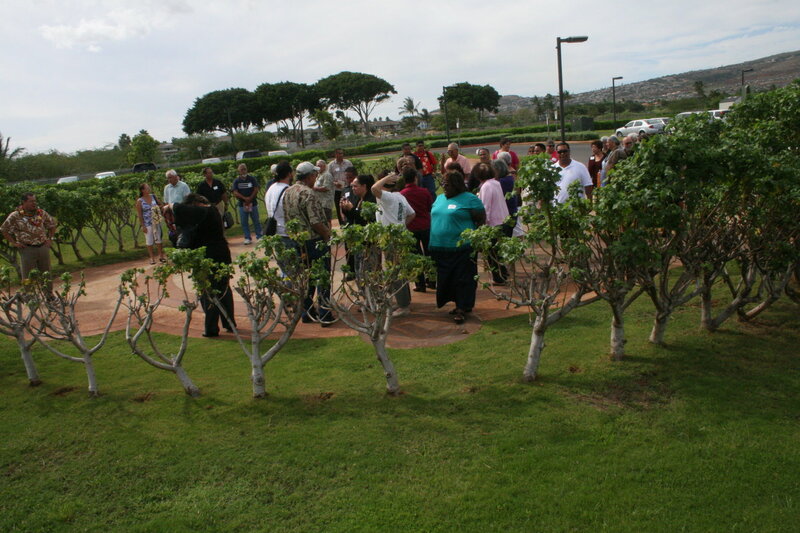 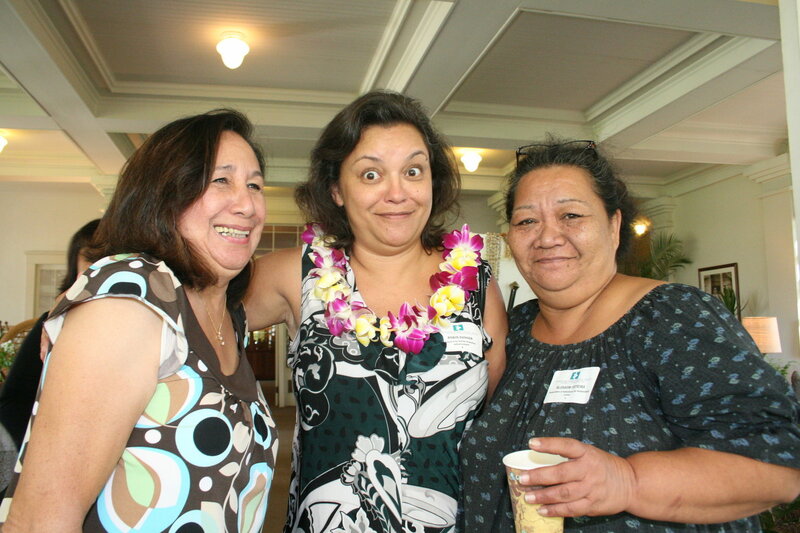 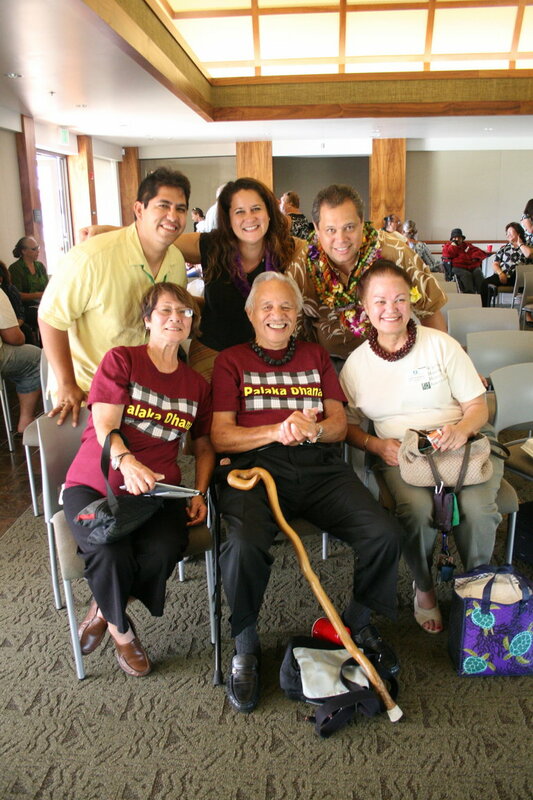 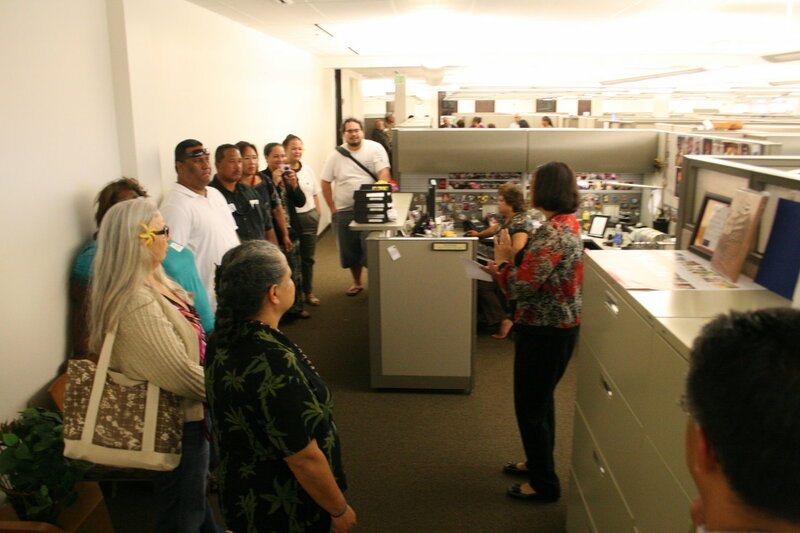 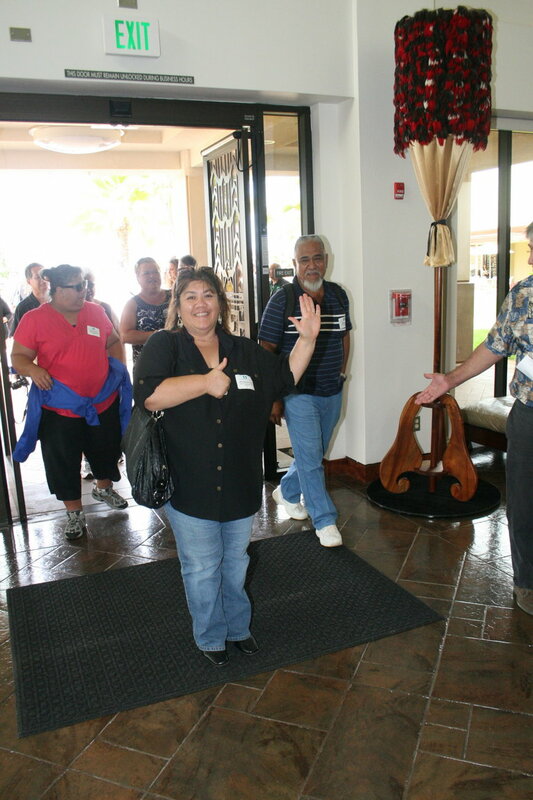 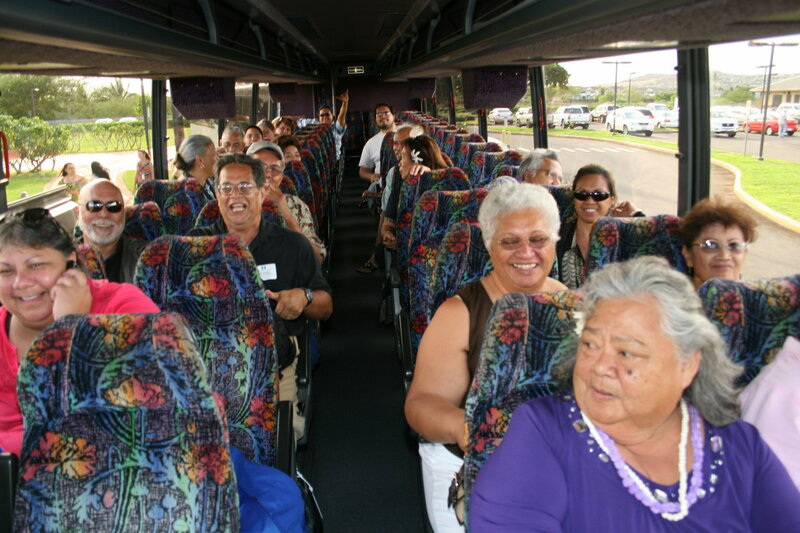 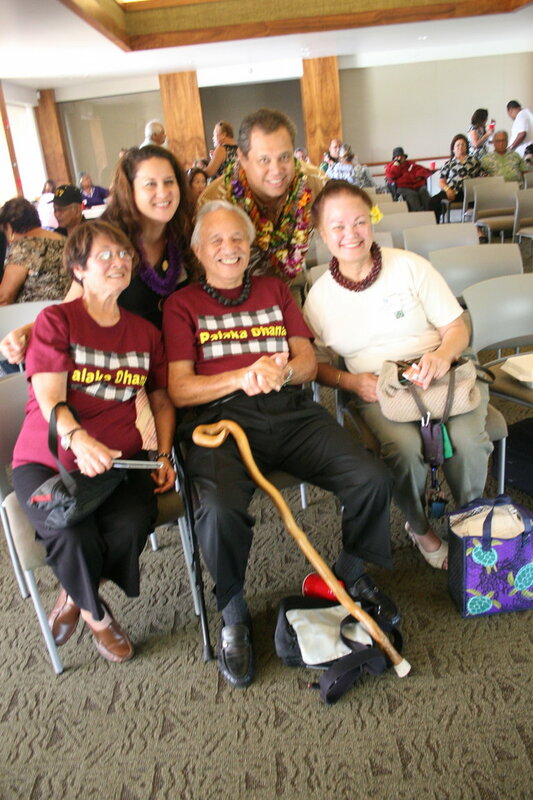 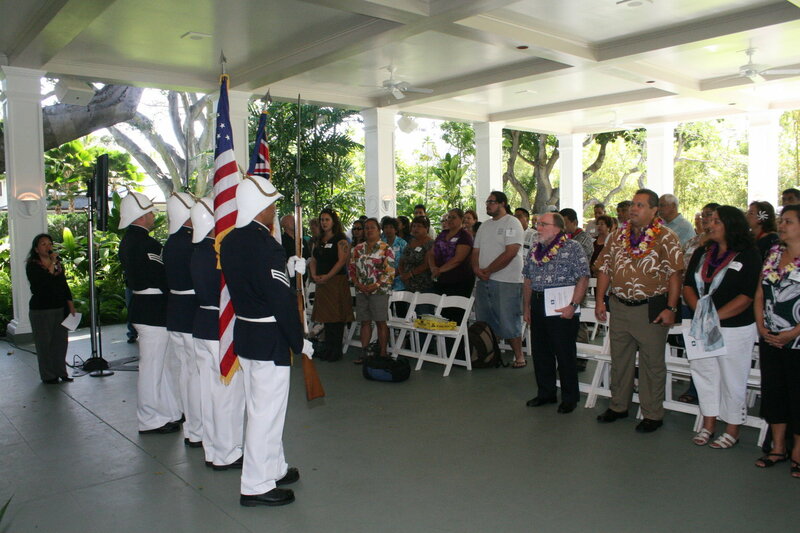 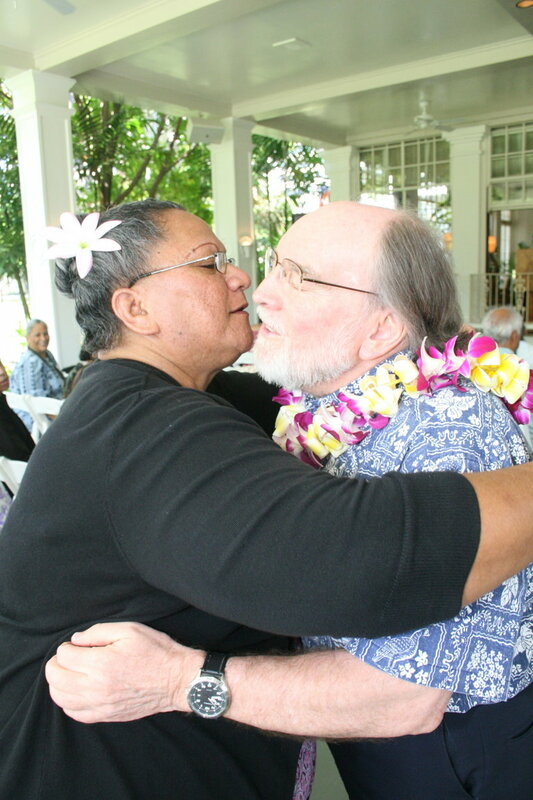 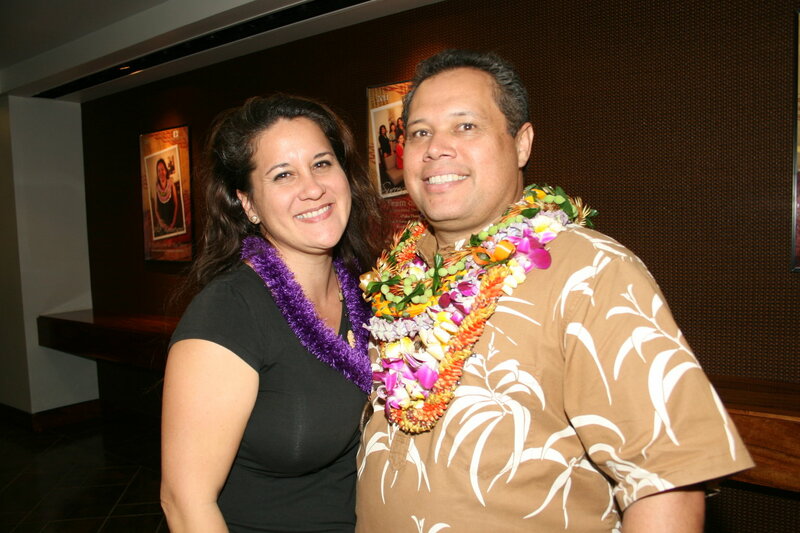 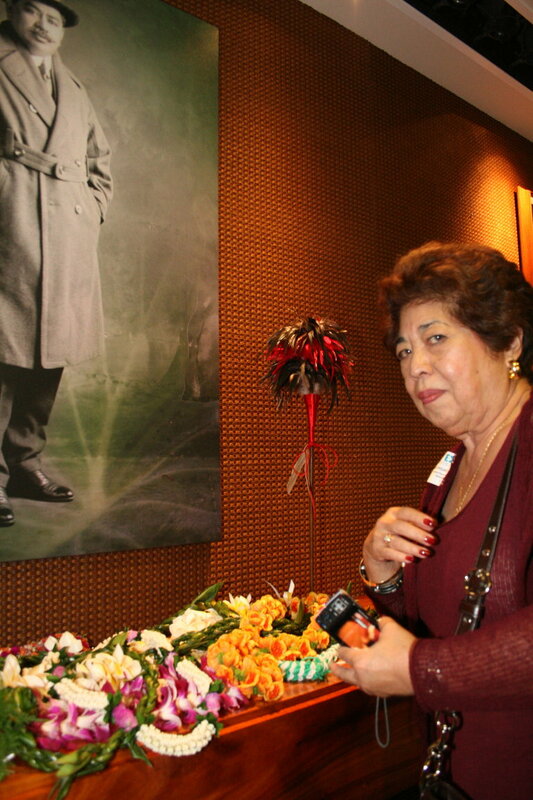 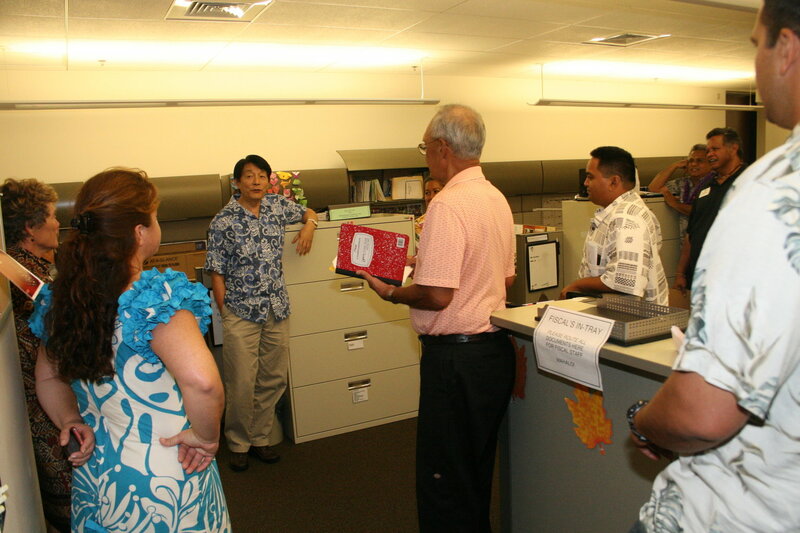 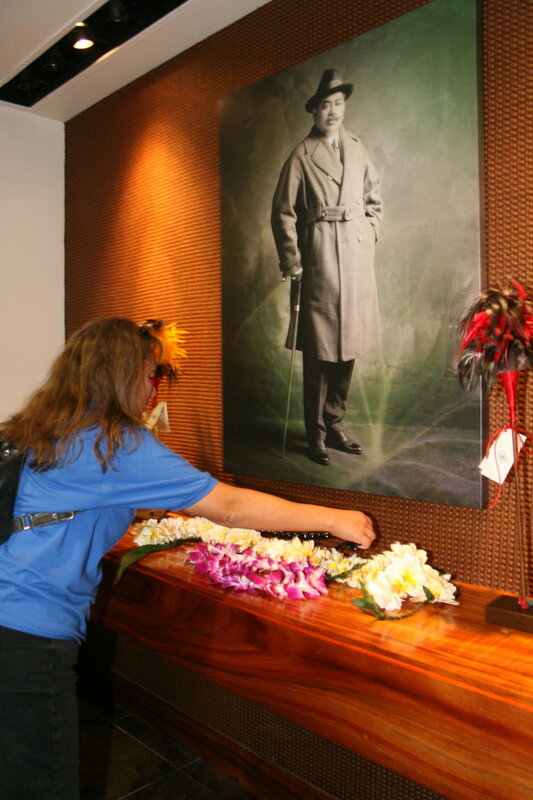 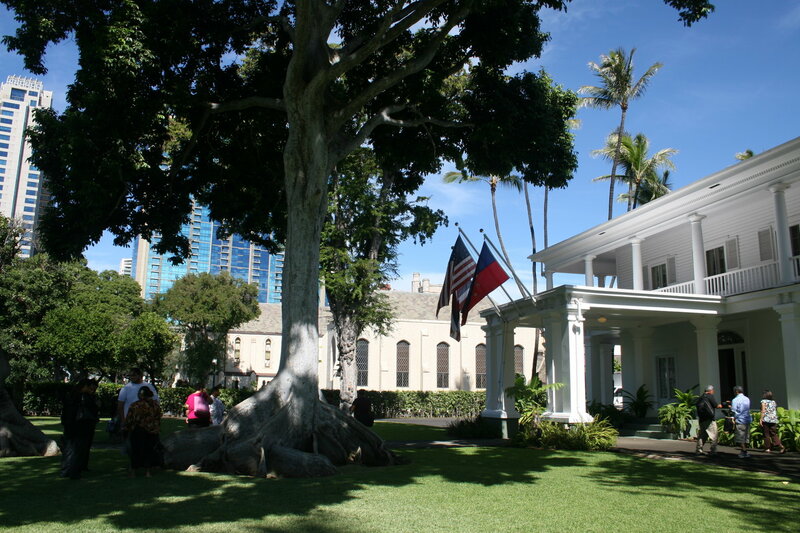 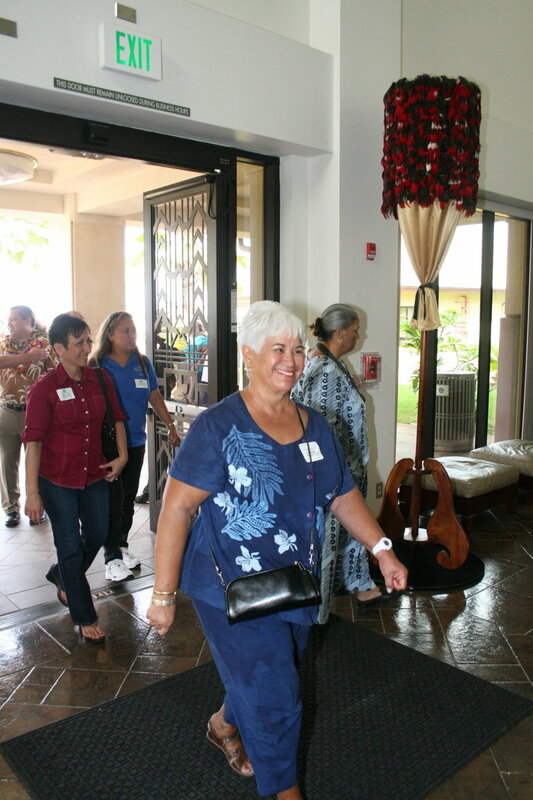 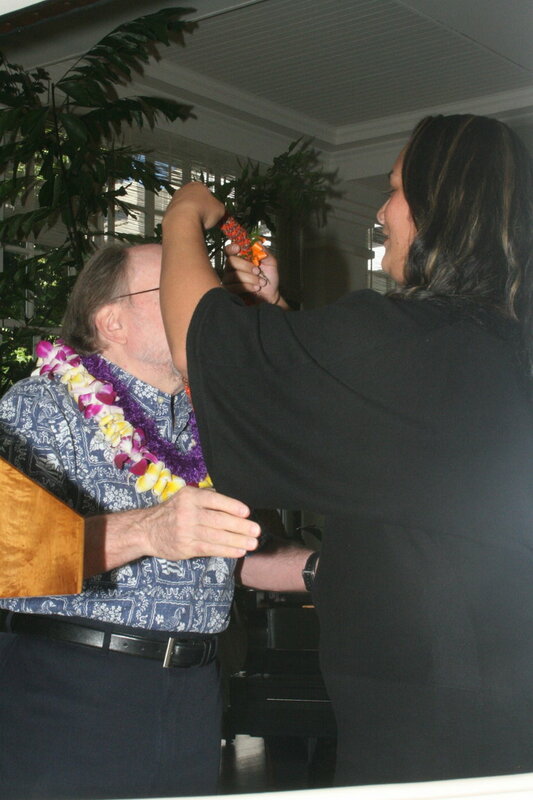 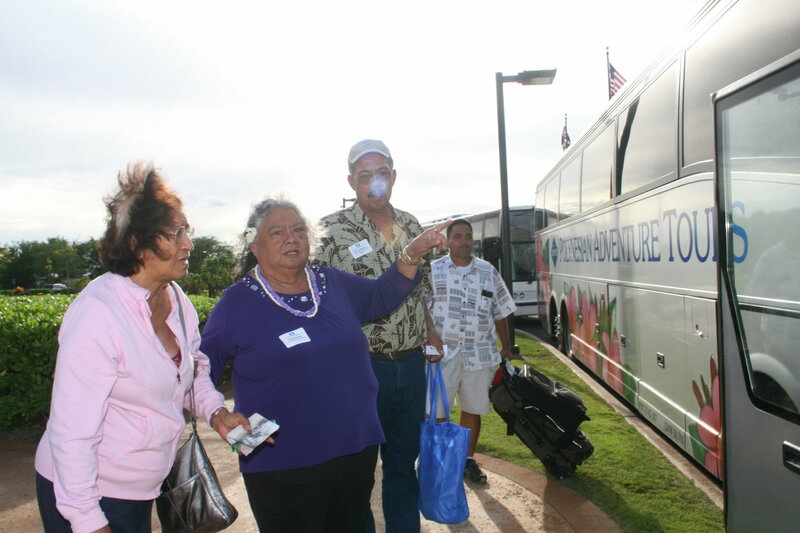 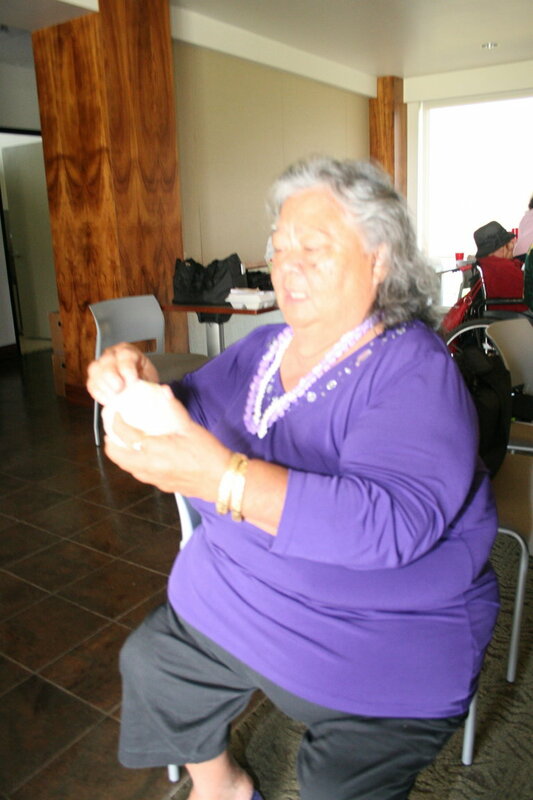 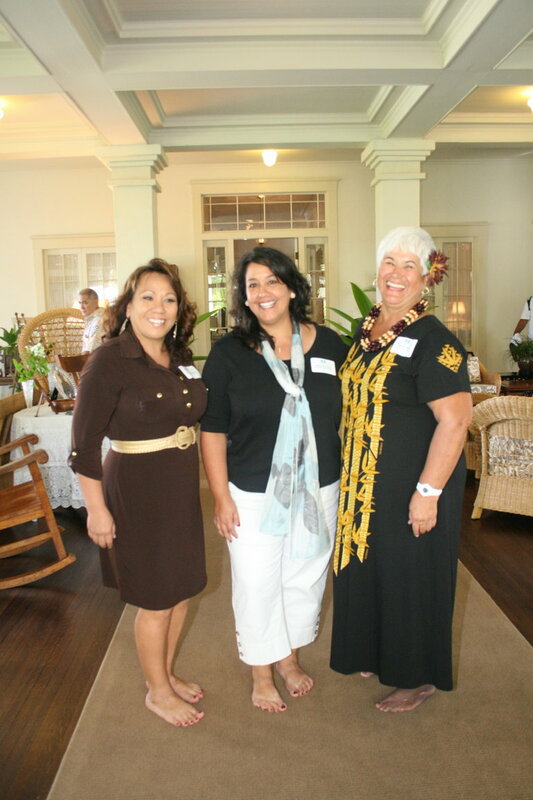 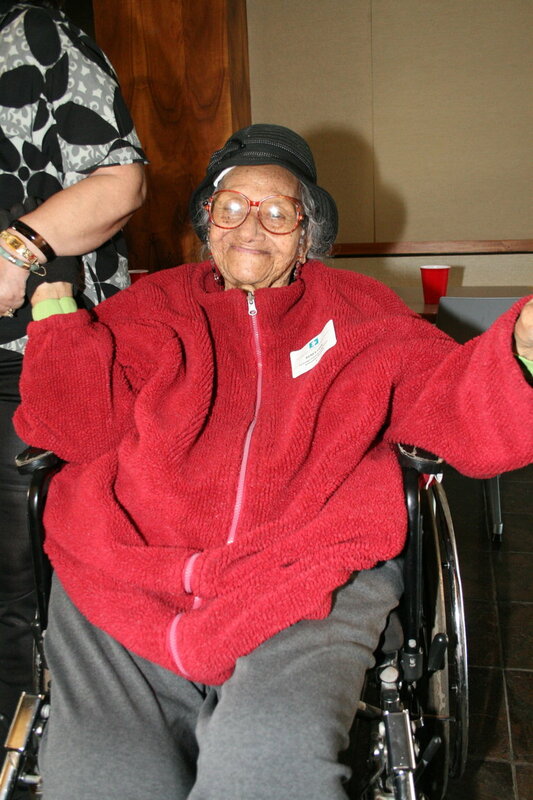 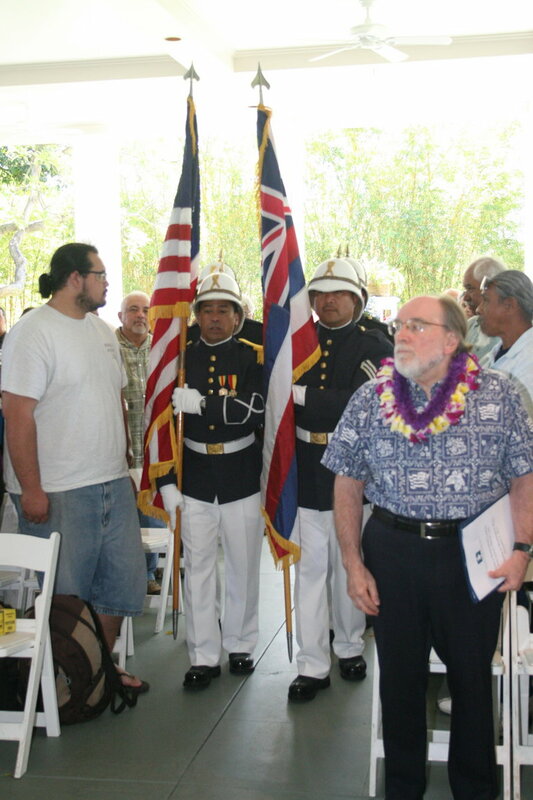 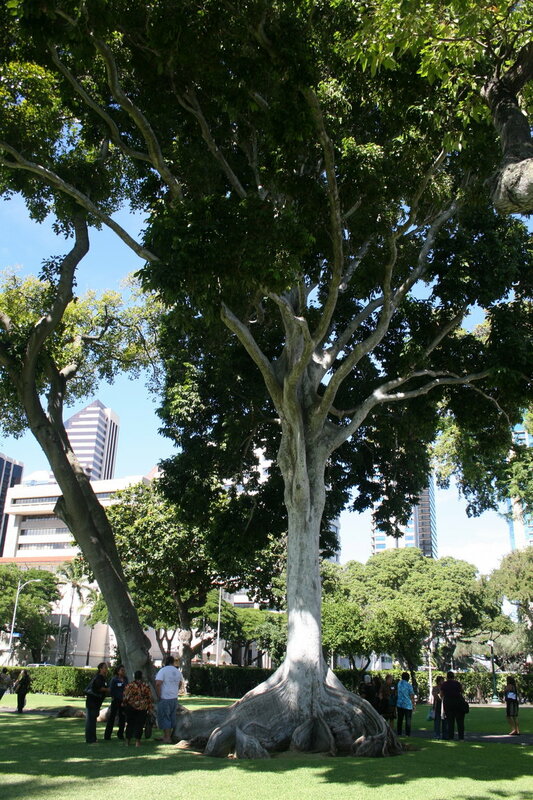 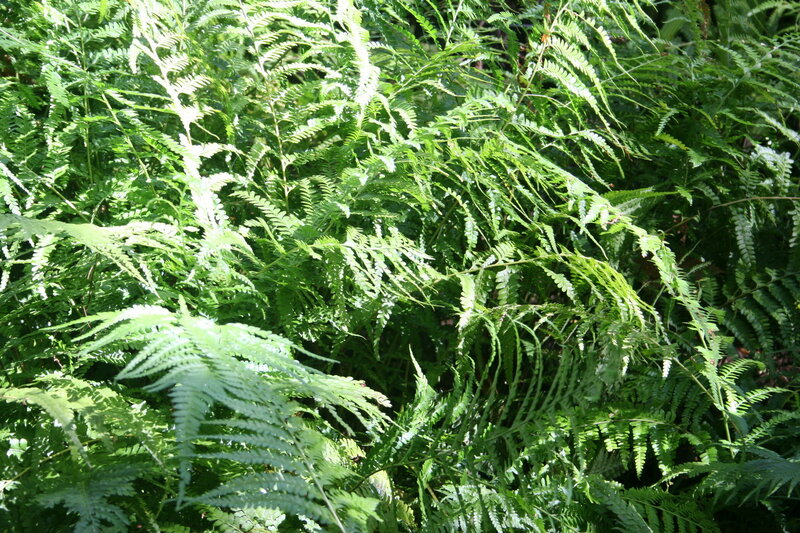 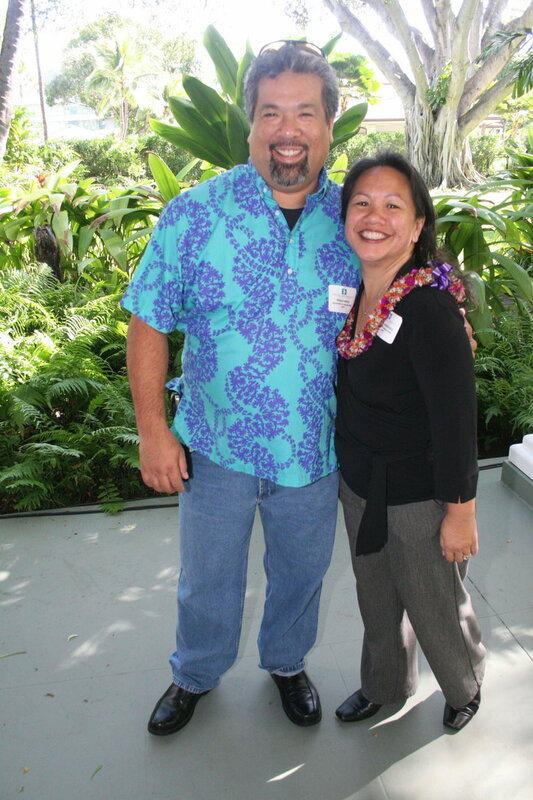 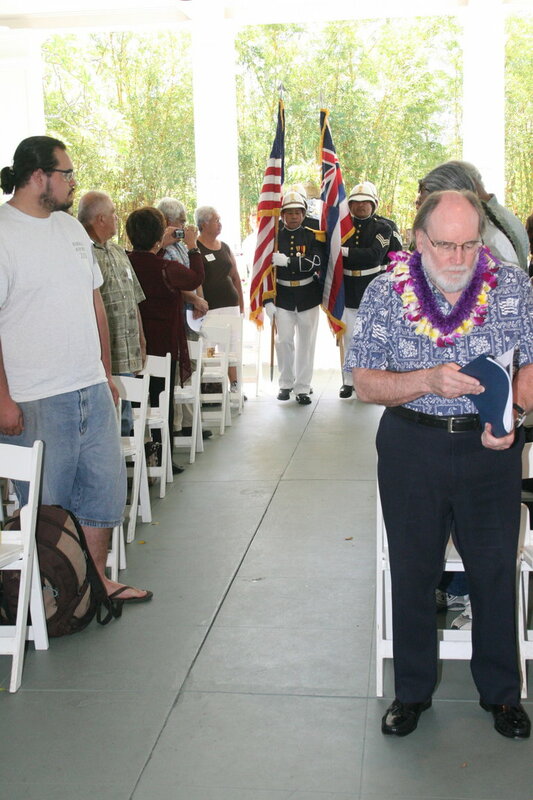 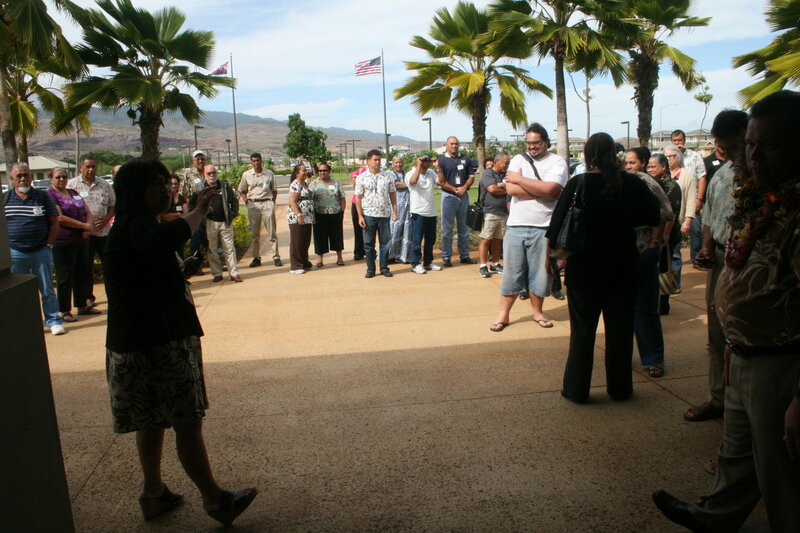 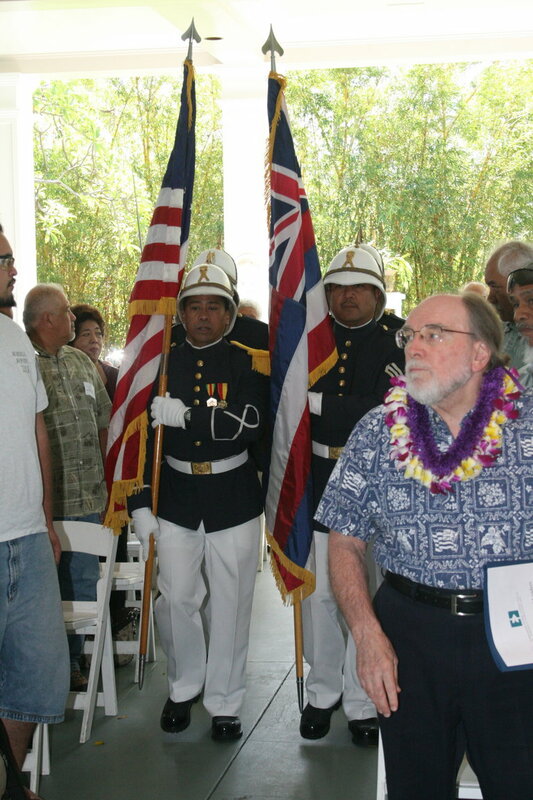 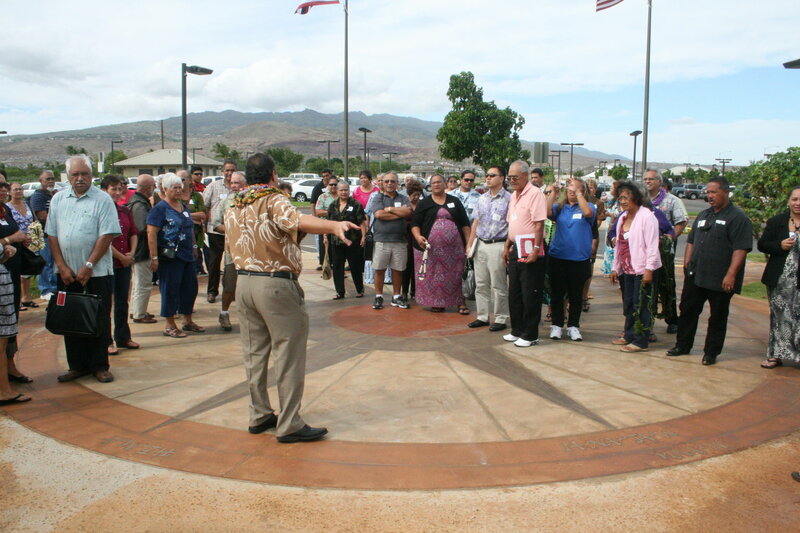 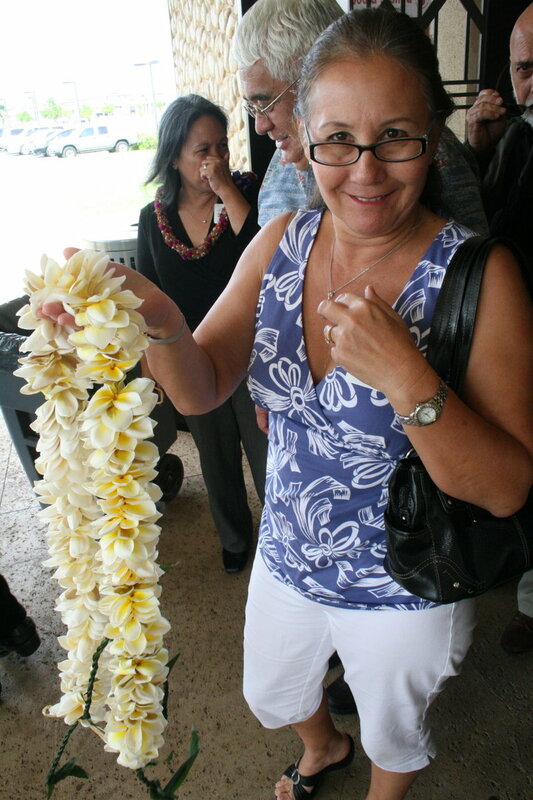 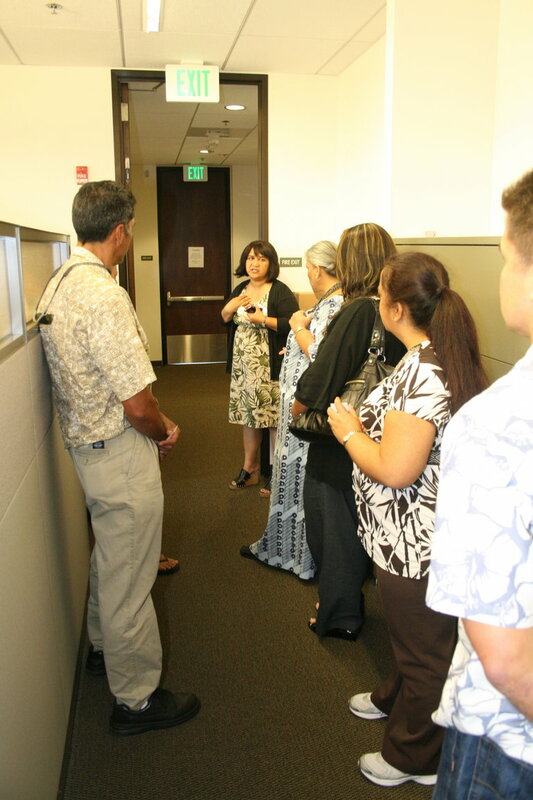 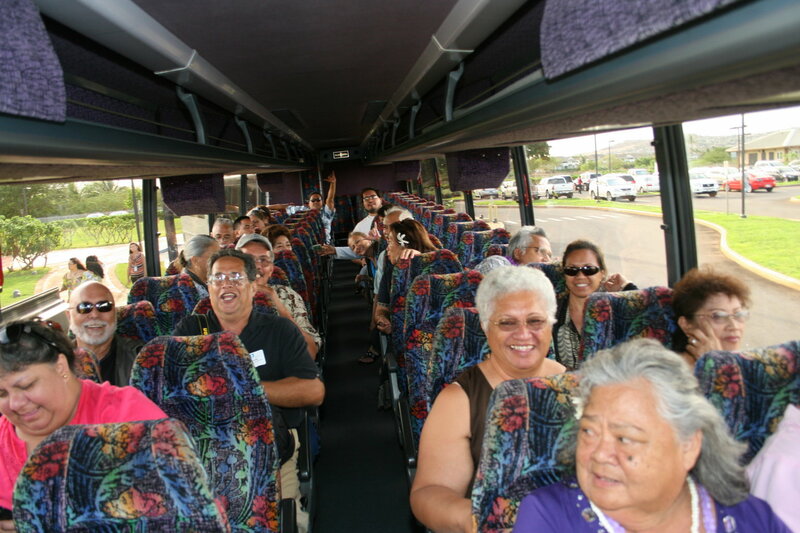 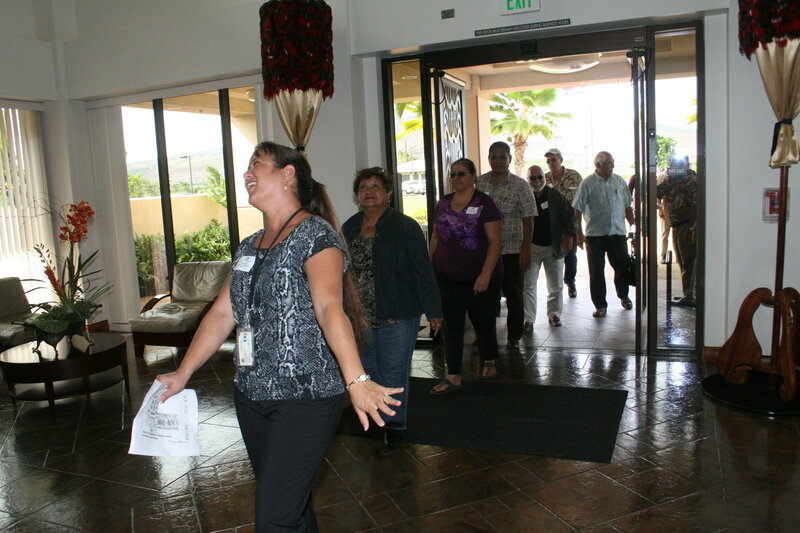 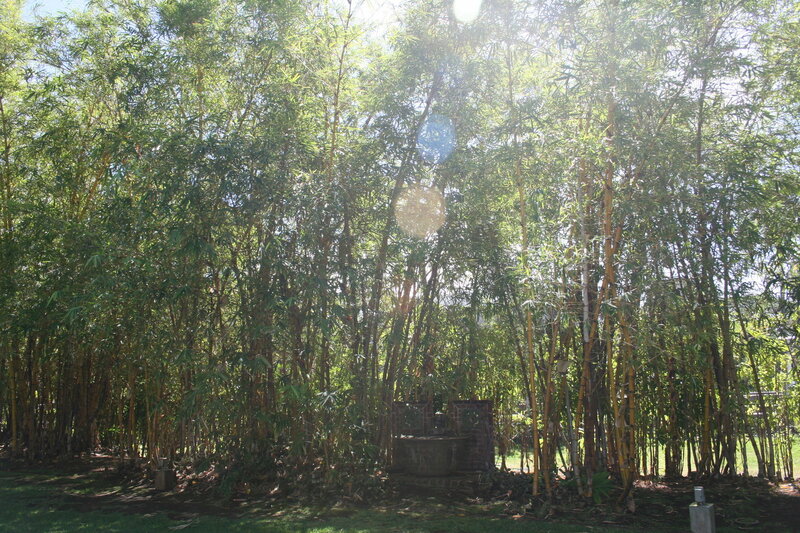 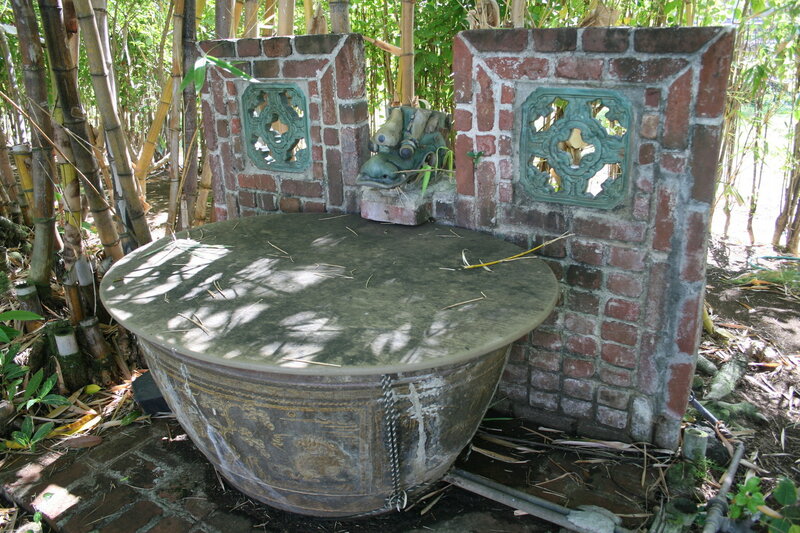 The group were then led on tours of the hale, visiting with members of each Hawaiian Home Lands division.